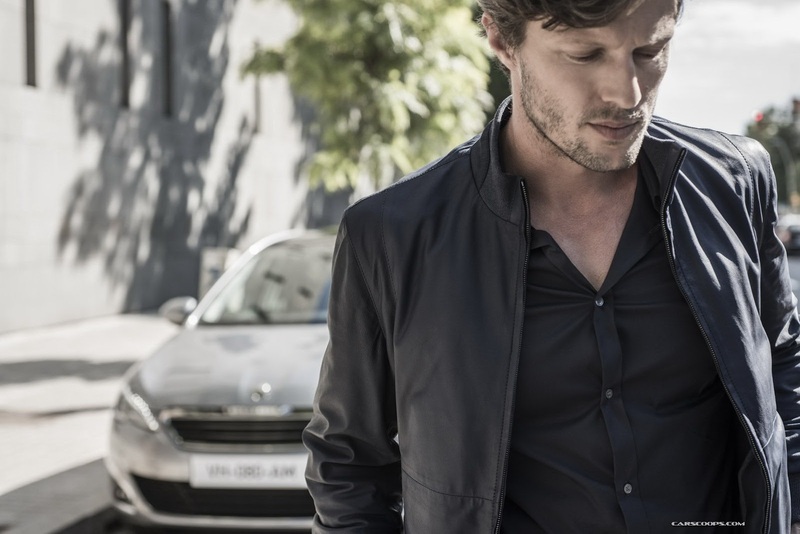 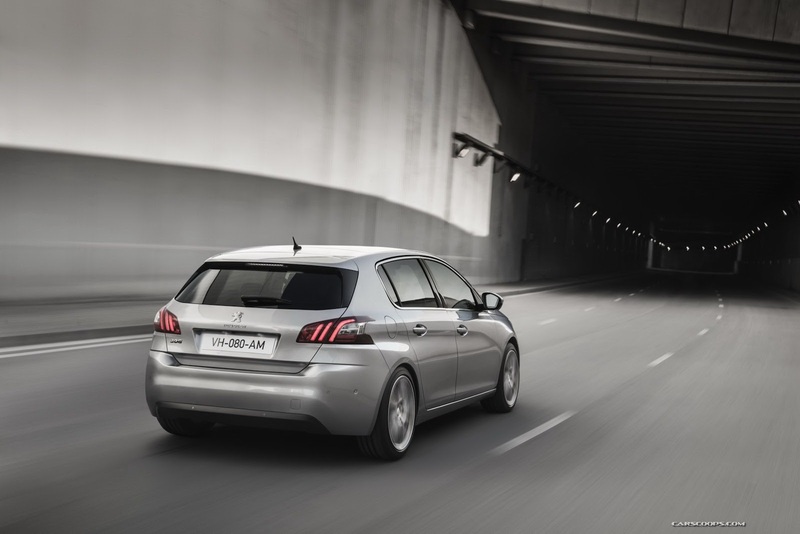 The Peugeot designers and engineers have created a hatchback that is audacious, intuitive and modern, to a refined and classy design. 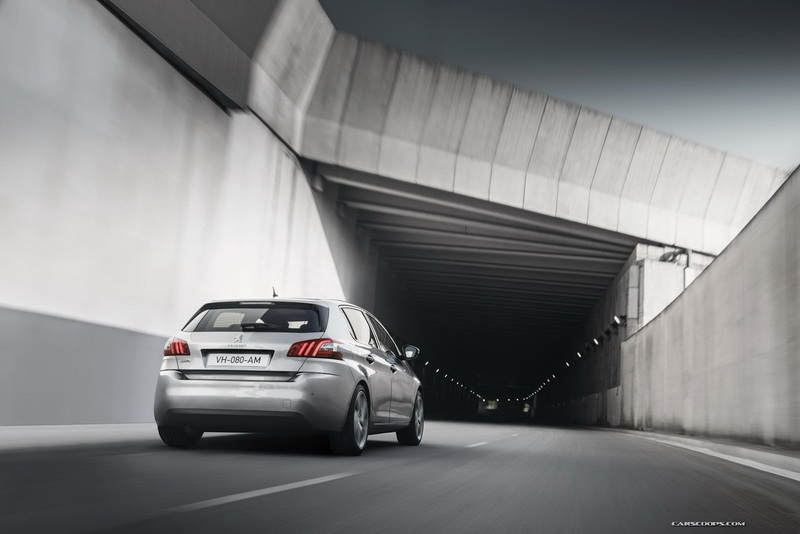 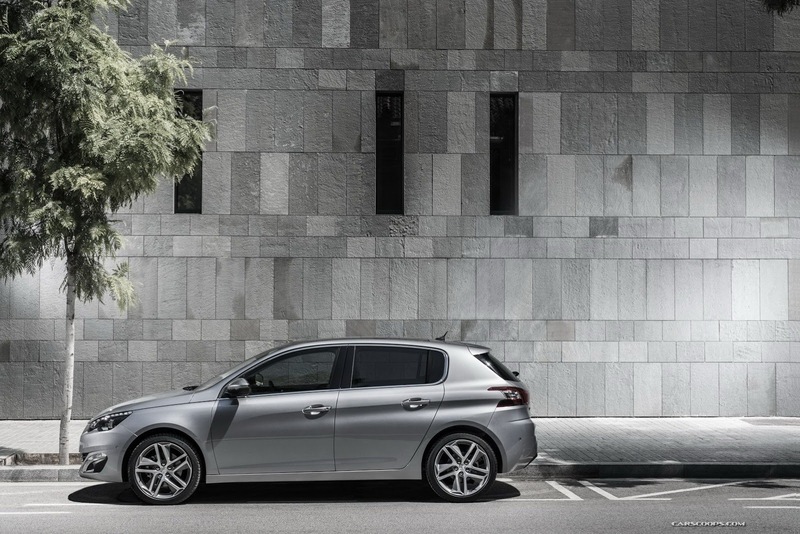 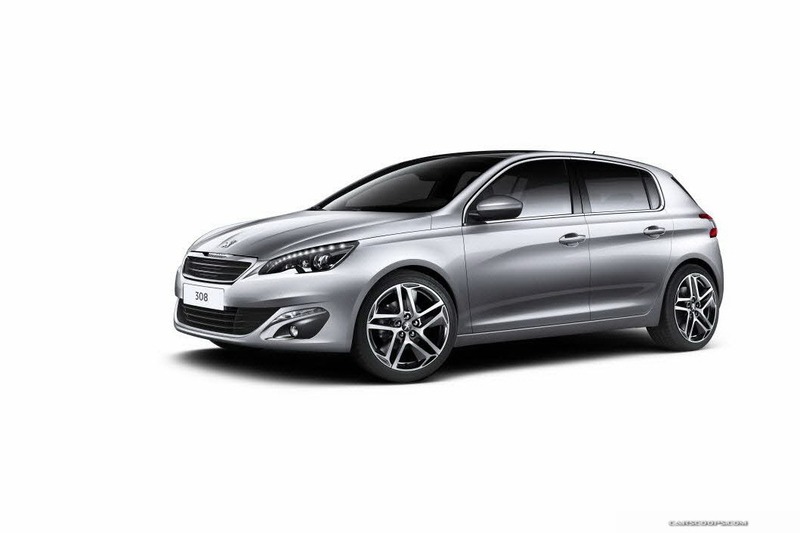 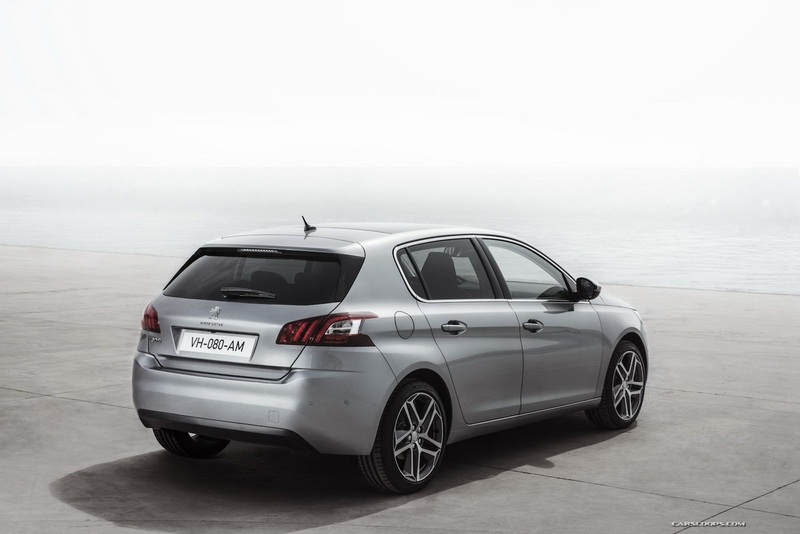 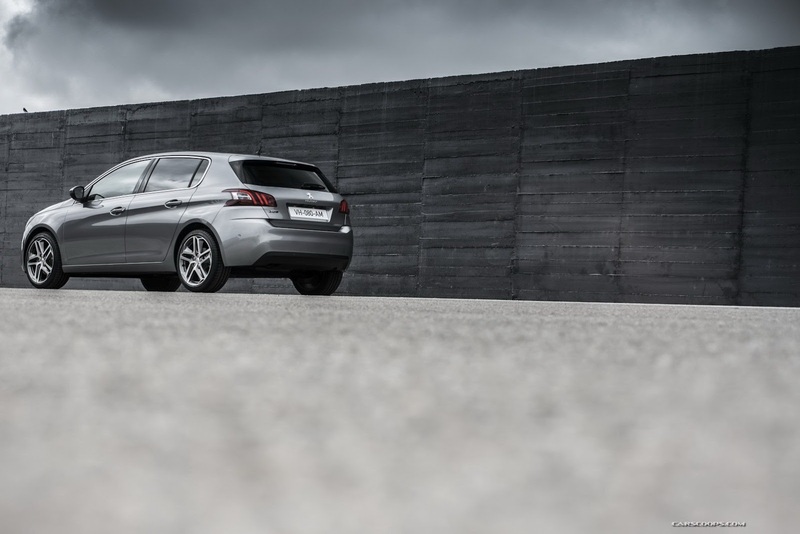 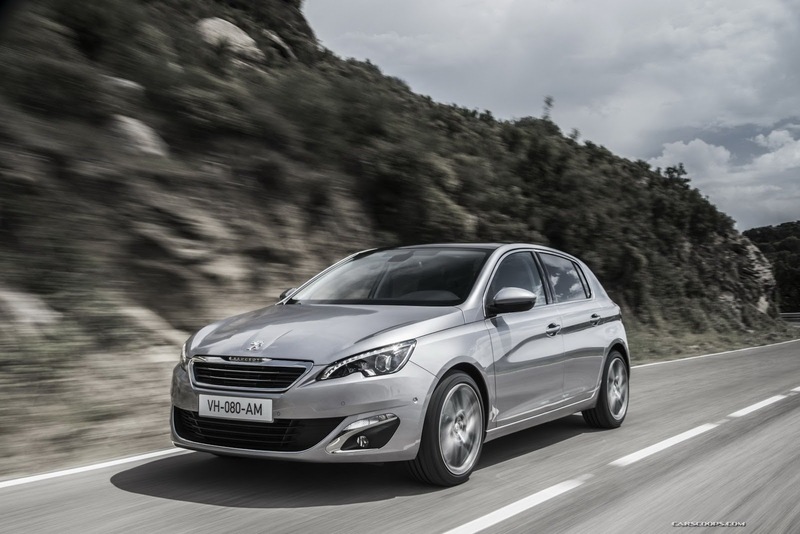 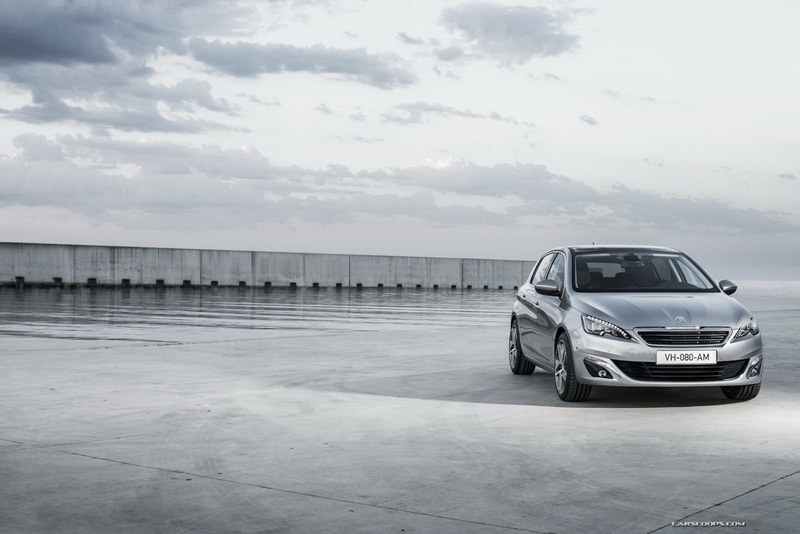 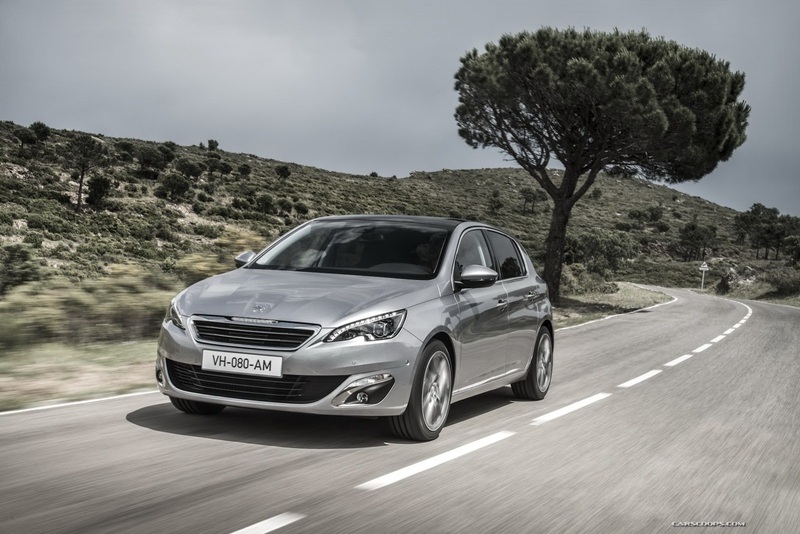 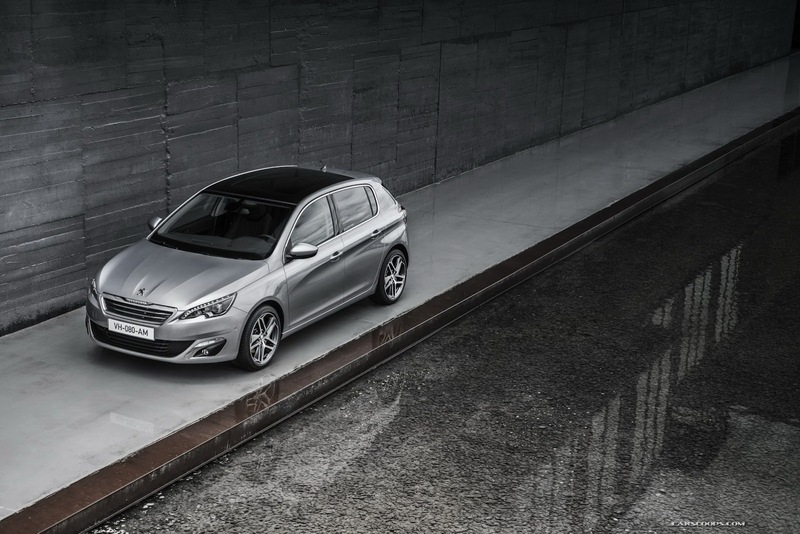 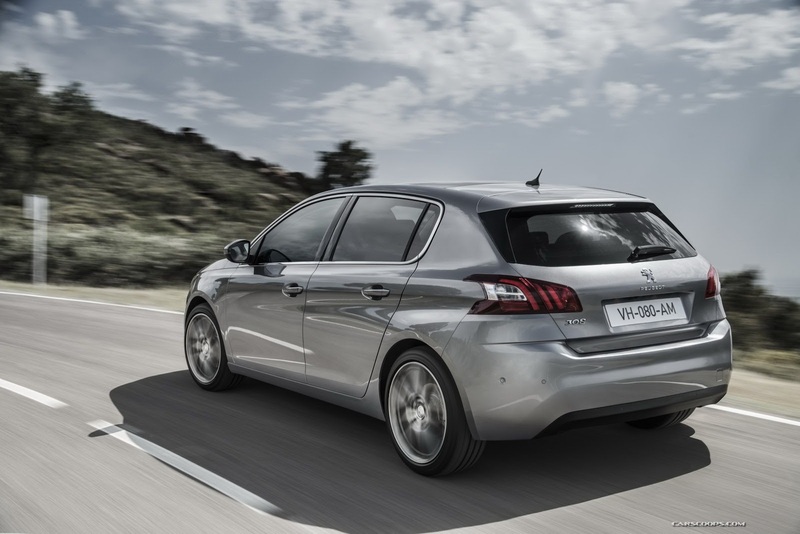 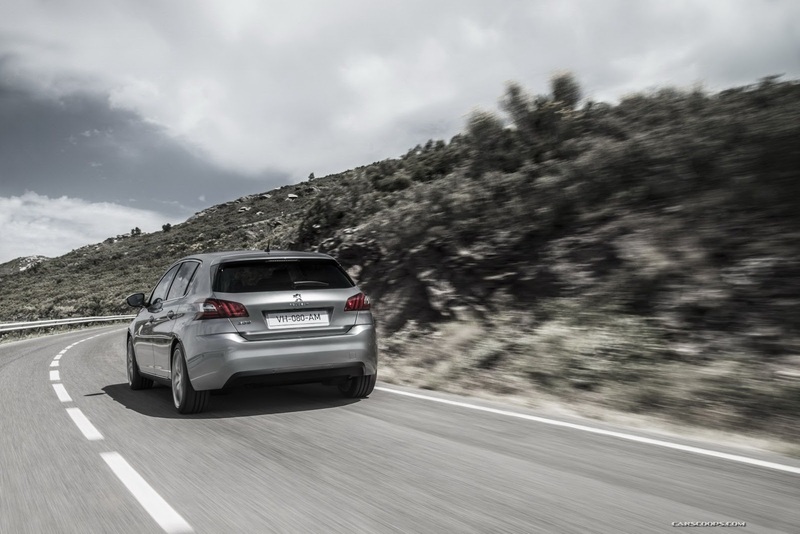 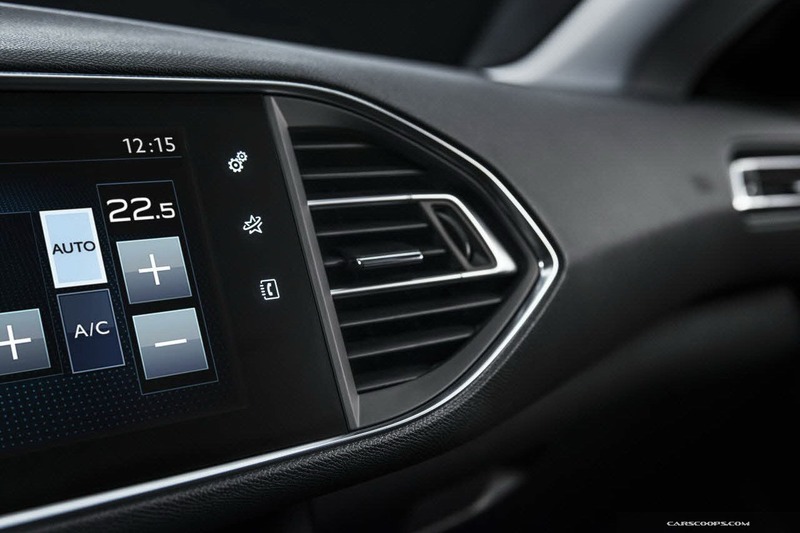 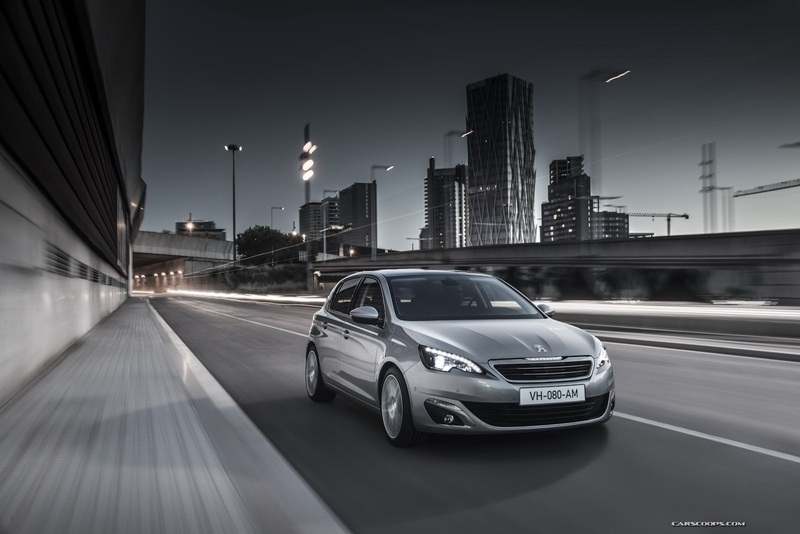 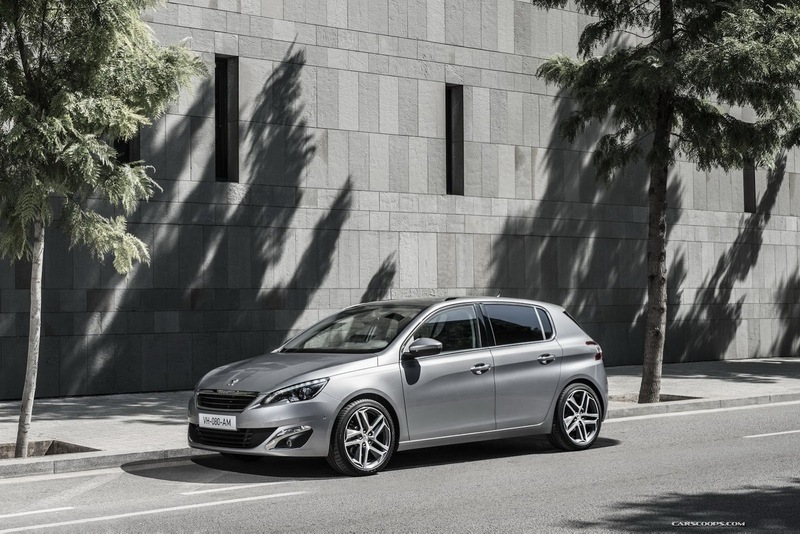 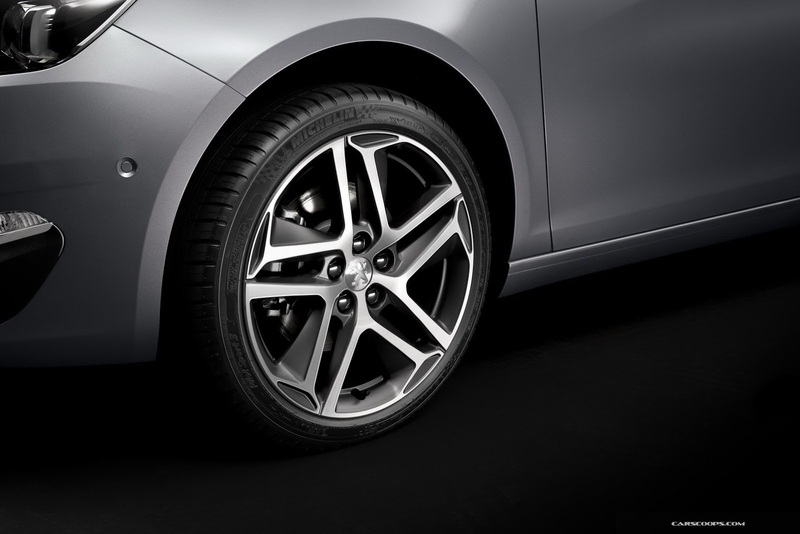 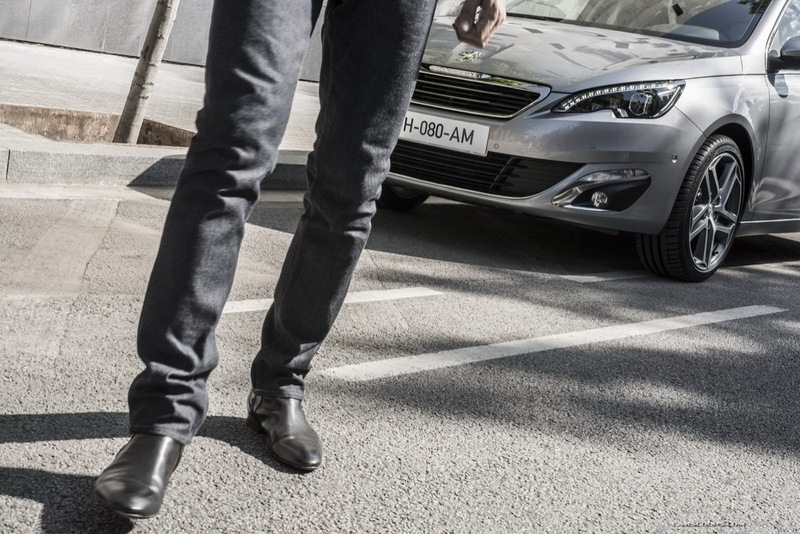 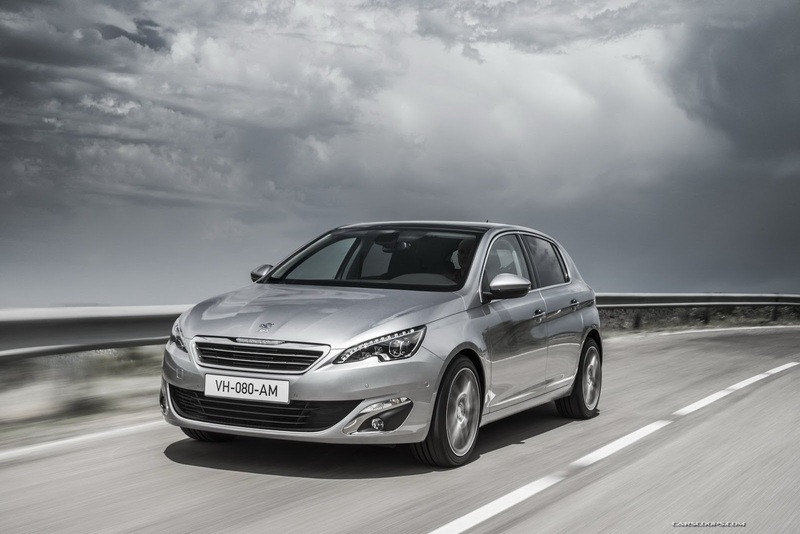 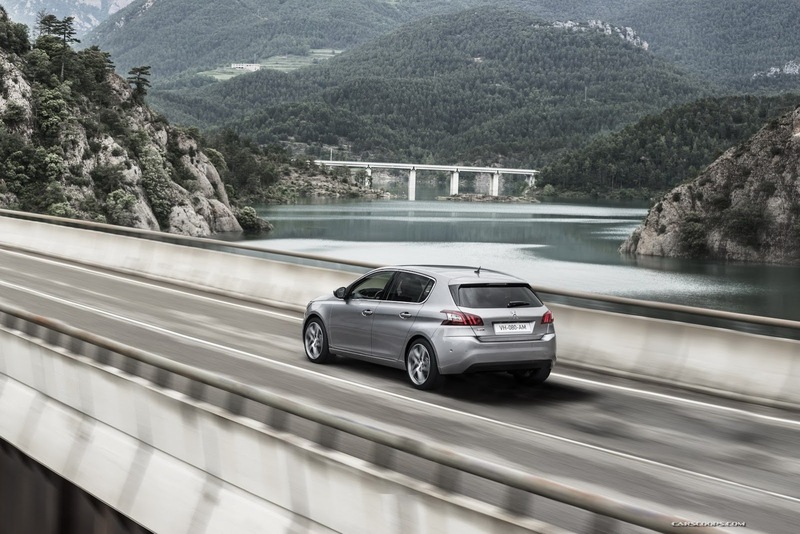 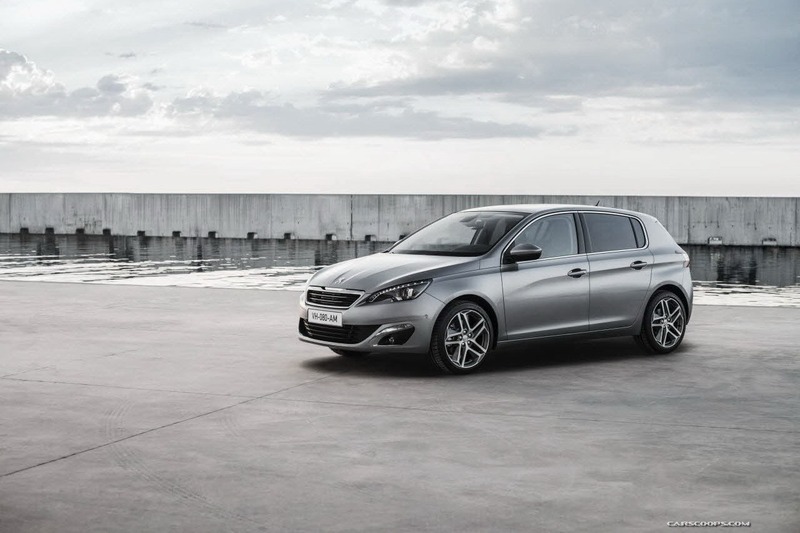 Due to the new EMP2 modular platform, the new Peugeot 308 has compact dimensions and reduced weight (-140kg). 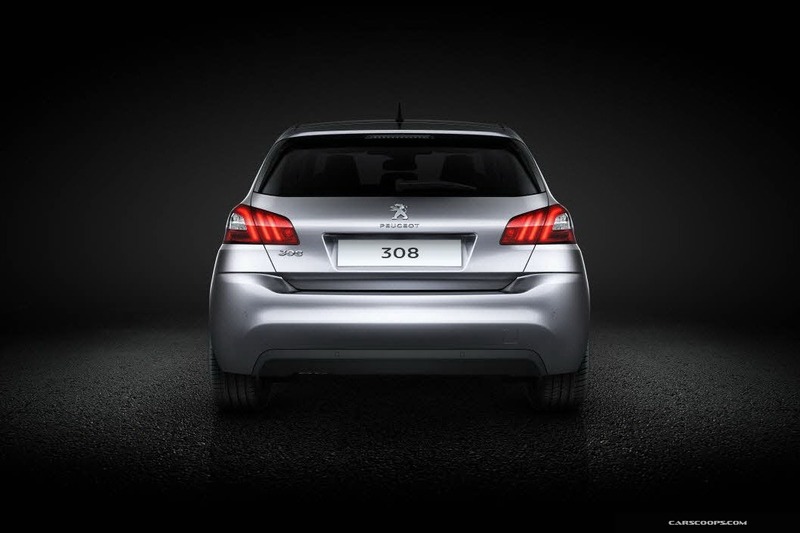 Its driving experience is top-class and its CO2 emissions create a new benchmark (with a version at less than 85 g/km). 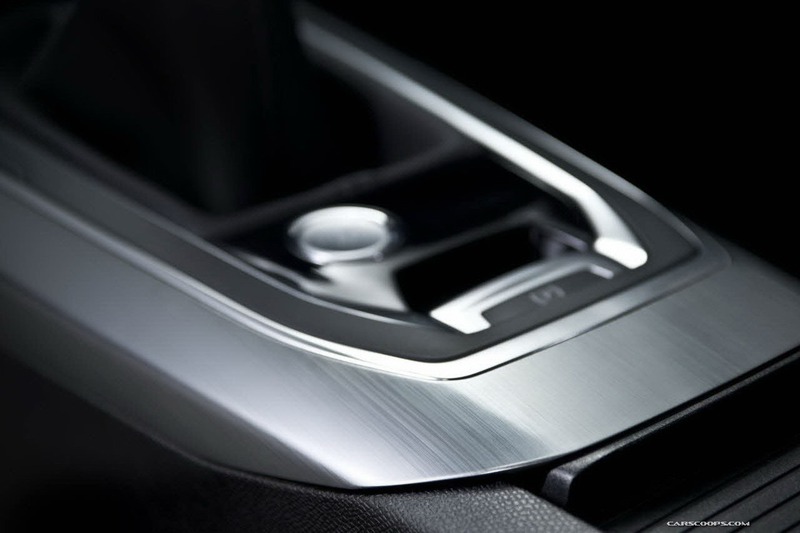 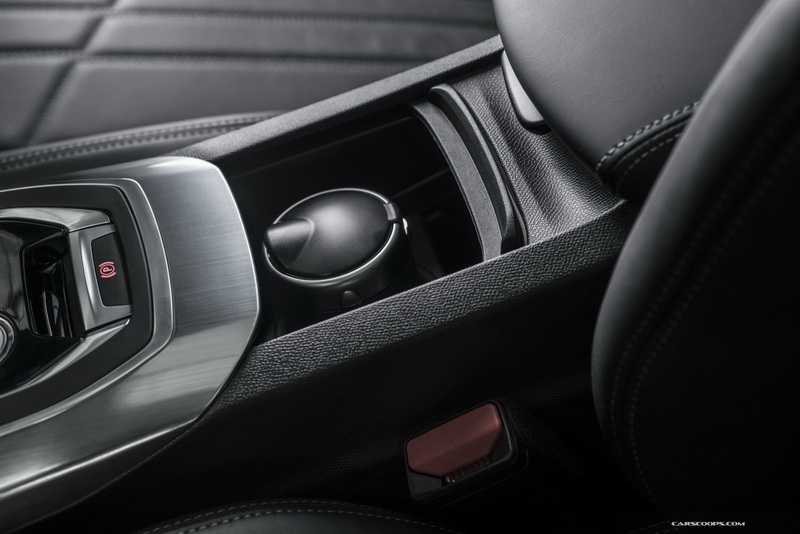 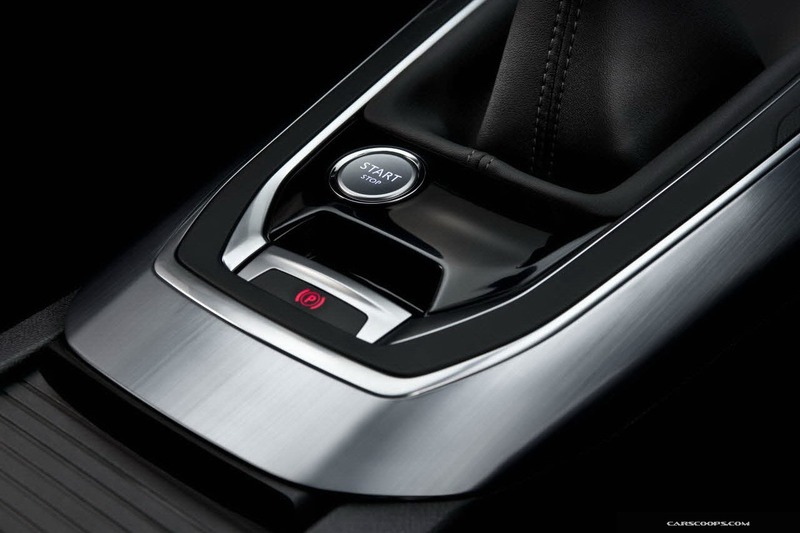 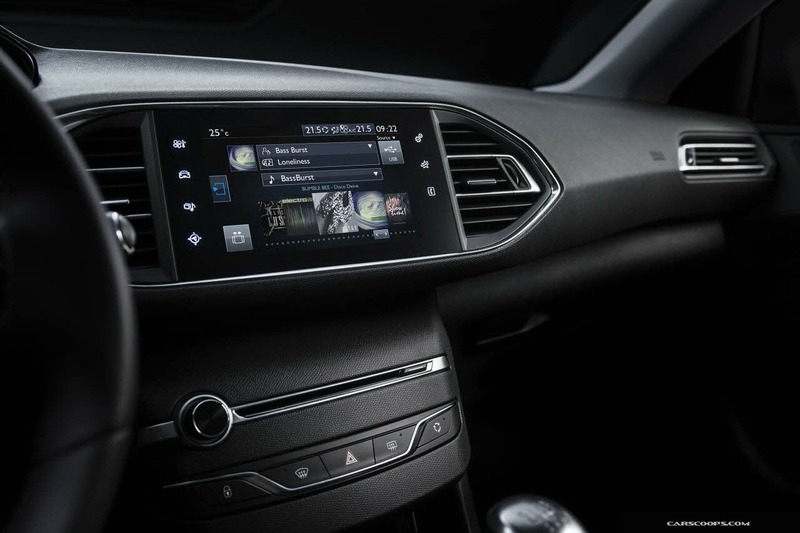 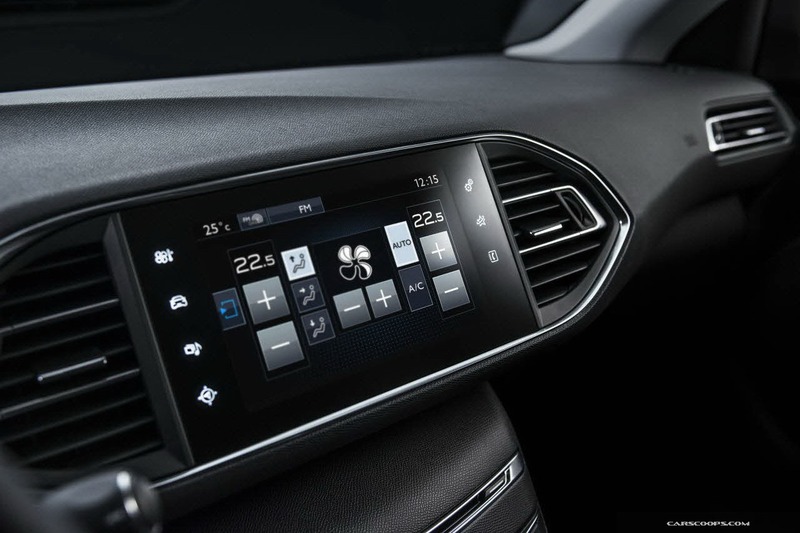 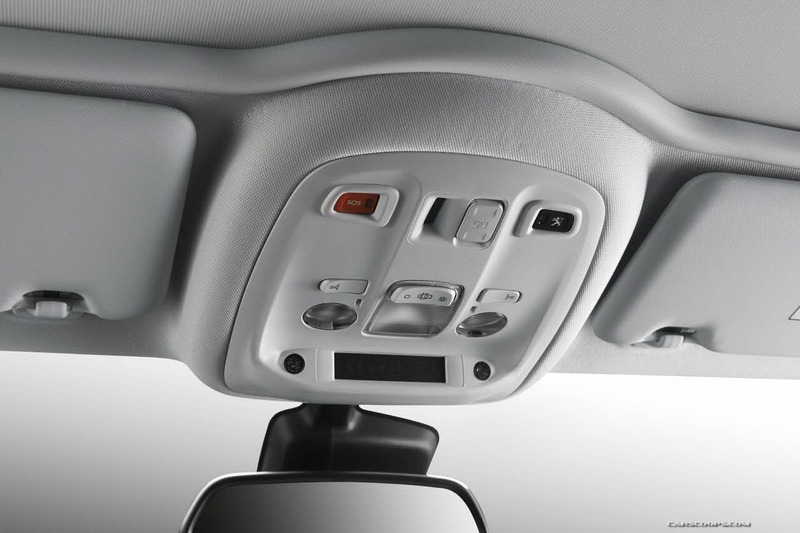 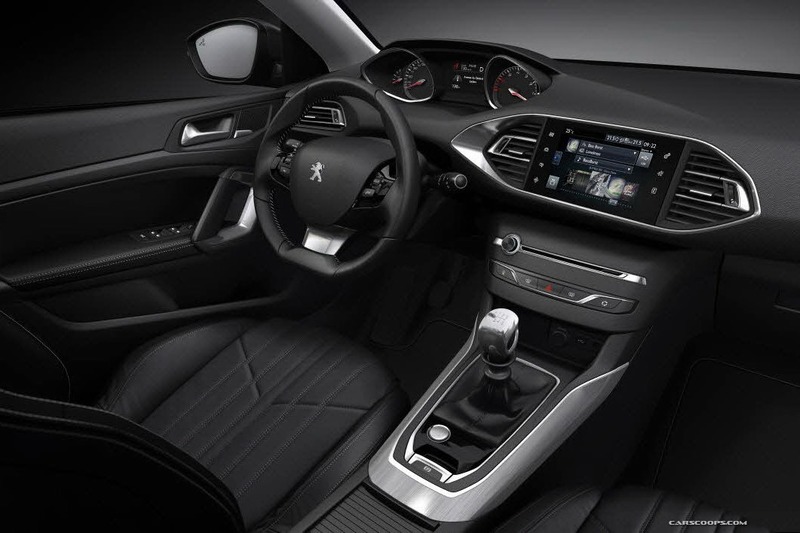 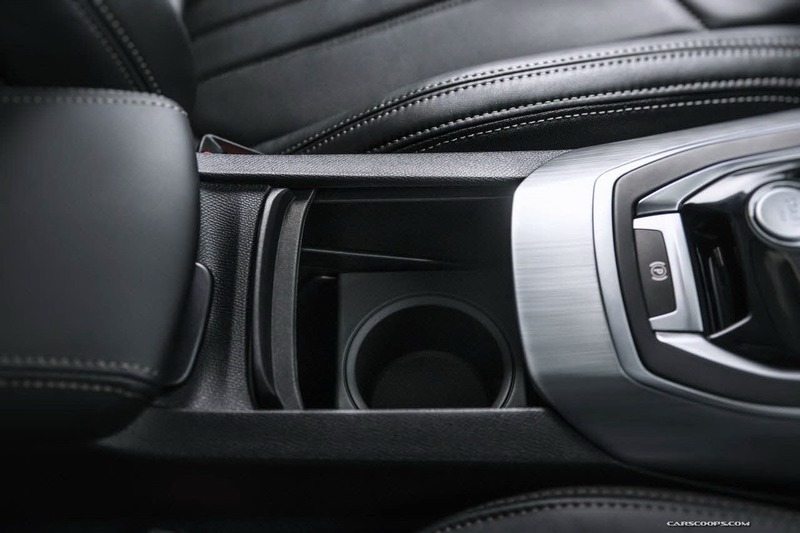 A refined interior and innovative instruments and controls (the Peugeot i-cockpit) promise a great driving experience. 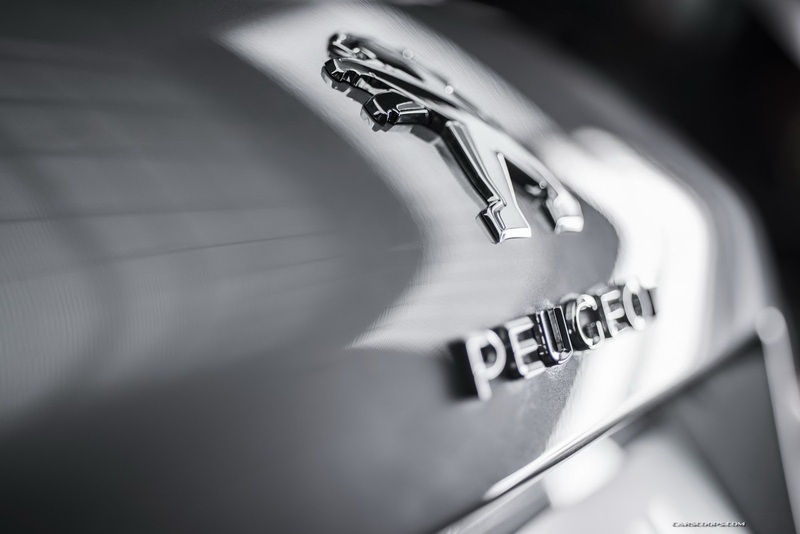 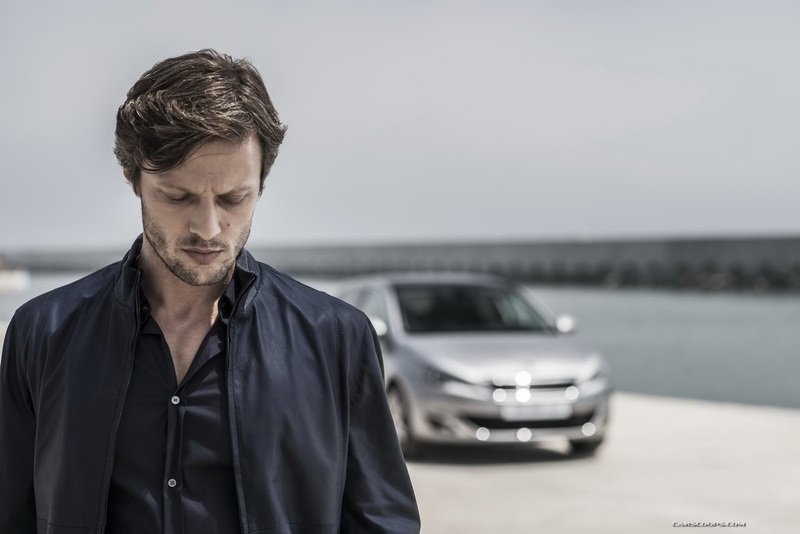 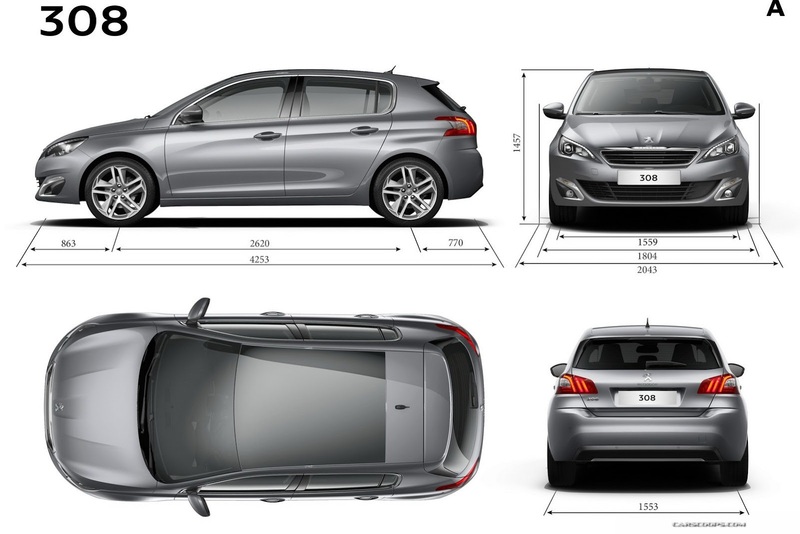 Its high level of quality, the result of a very ambitious initial design brief, positions the vehicle among the best, embodying Peugeot's move up-market. 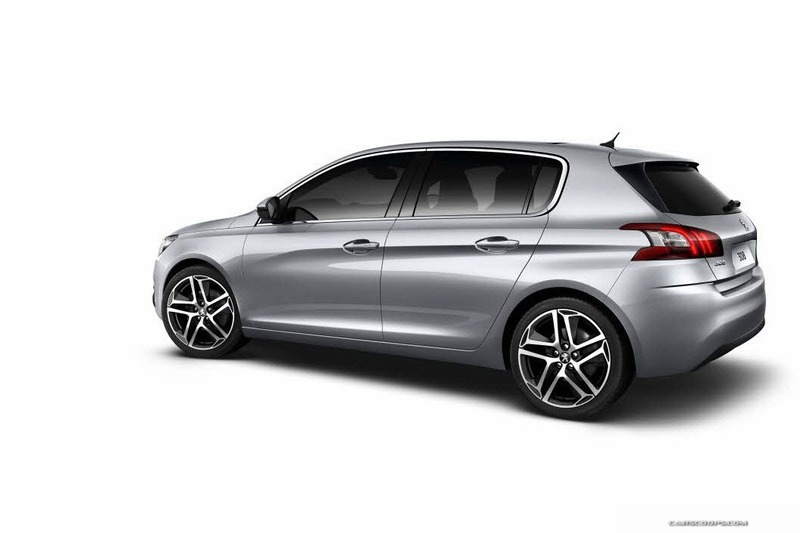 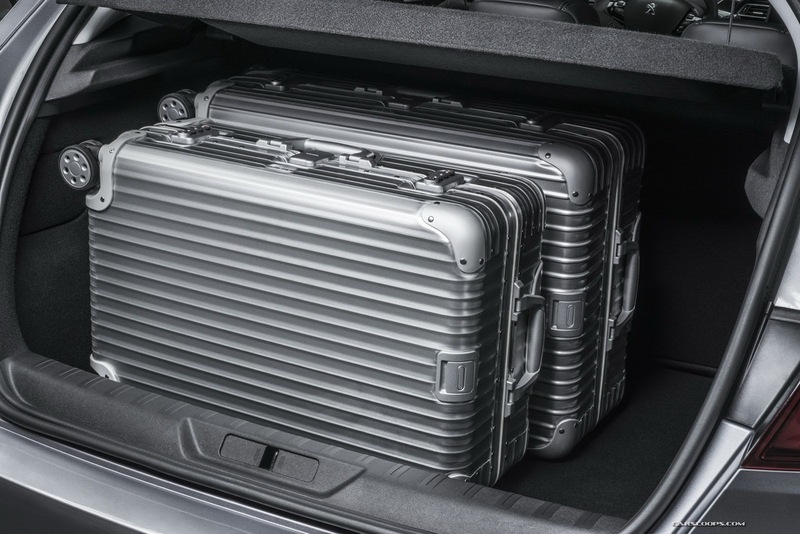 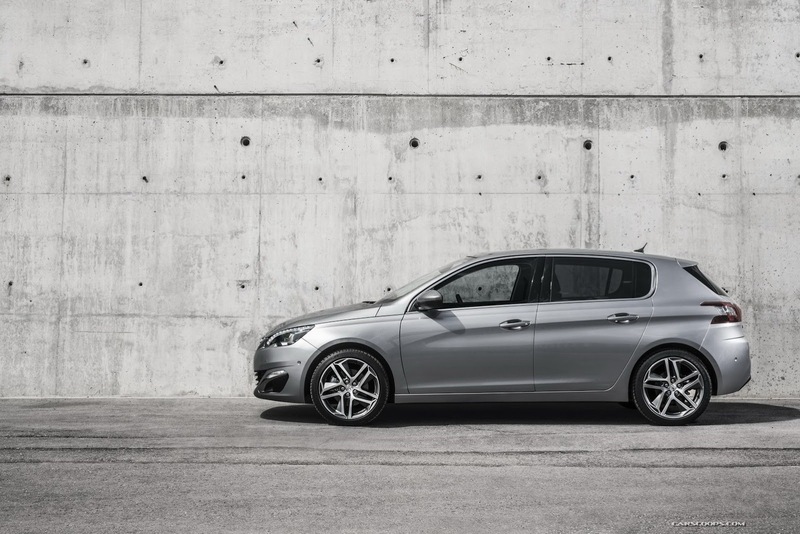 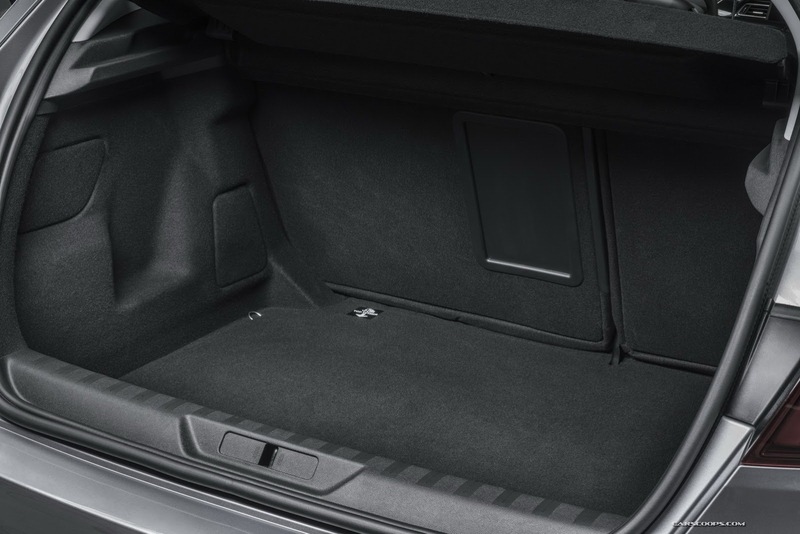 The new Peugeot 308 has all of the essential characteristics needed in the C segment, with its compact size (length: 4.25m and height: 1.46m), a spacious interior and a particularly large boot (470 litres below the shelf). 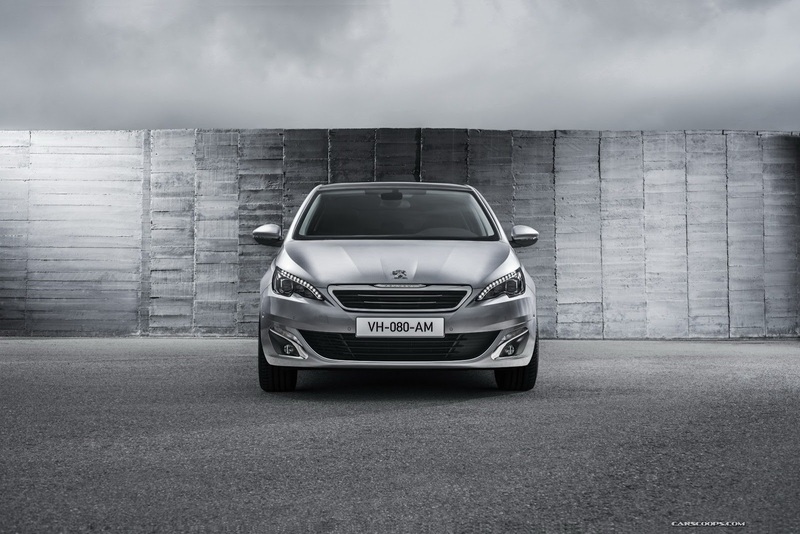 But it goes further, offering a strong and different alternative to win new customers. 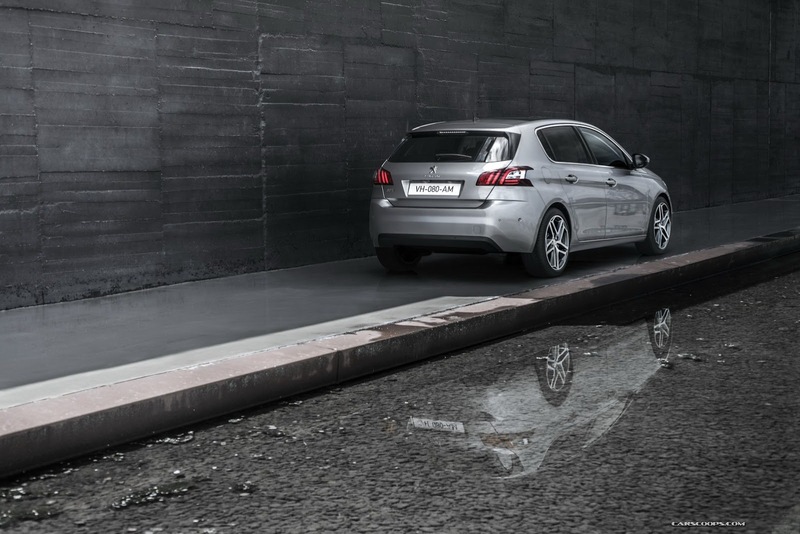 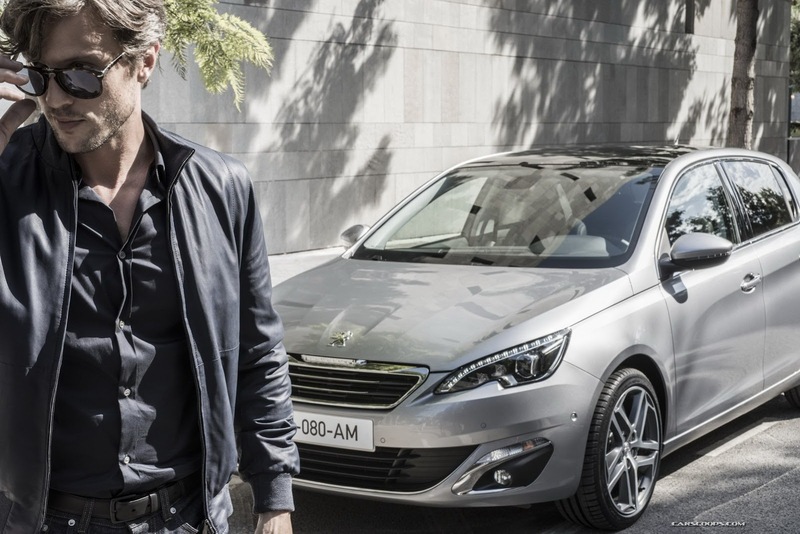 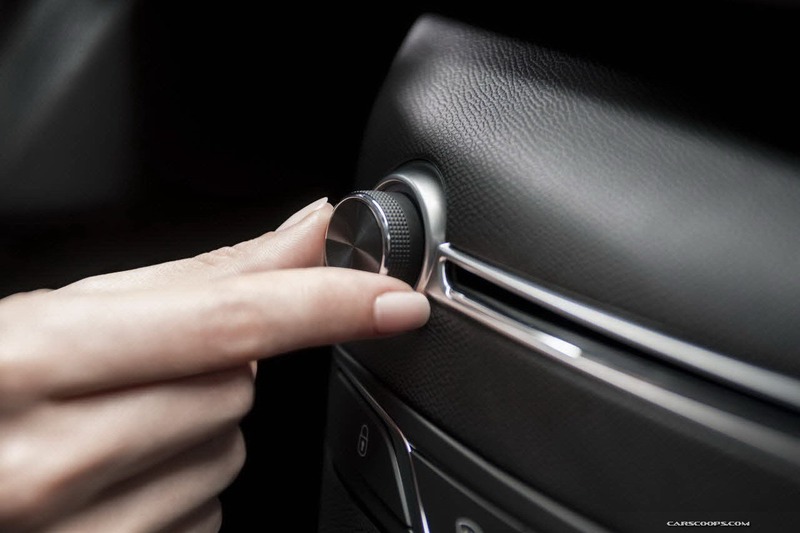 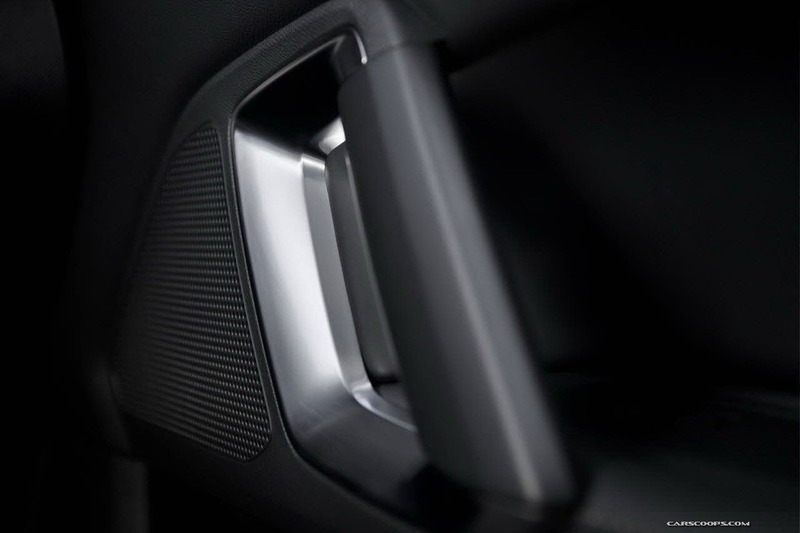 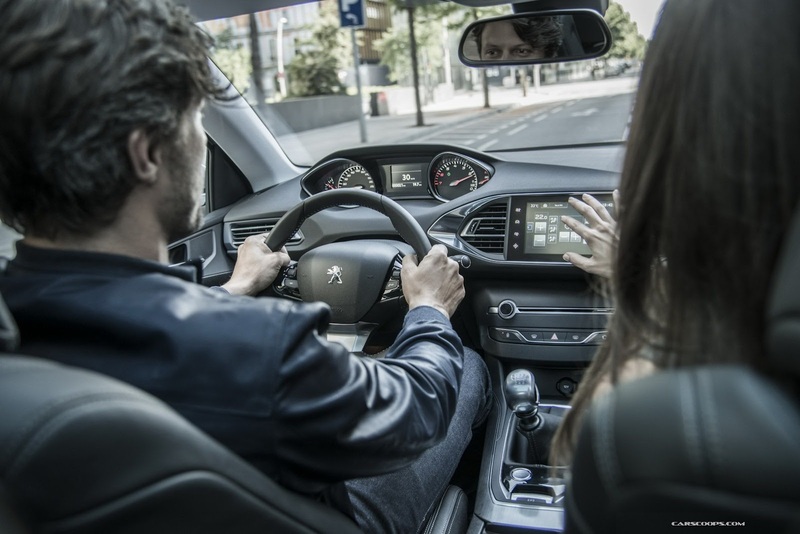 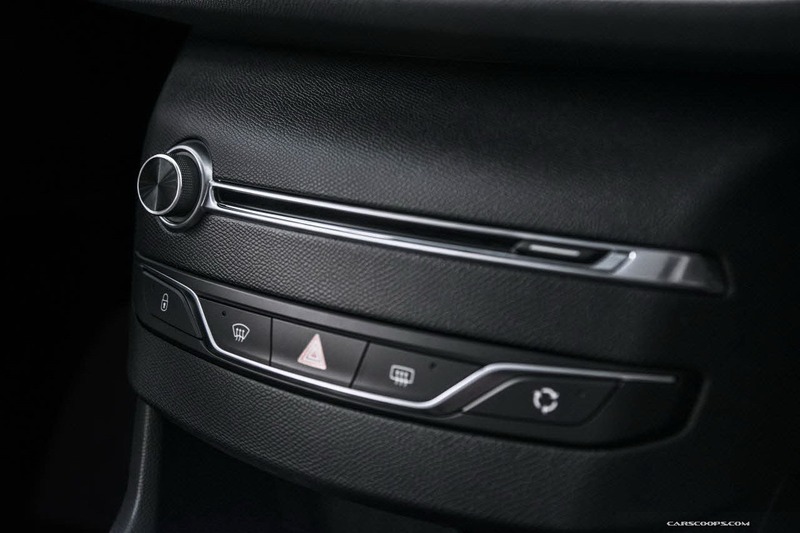 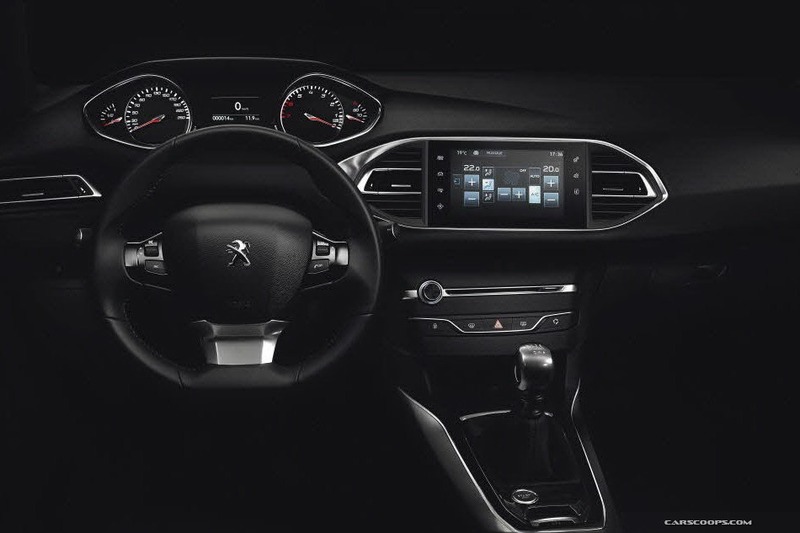 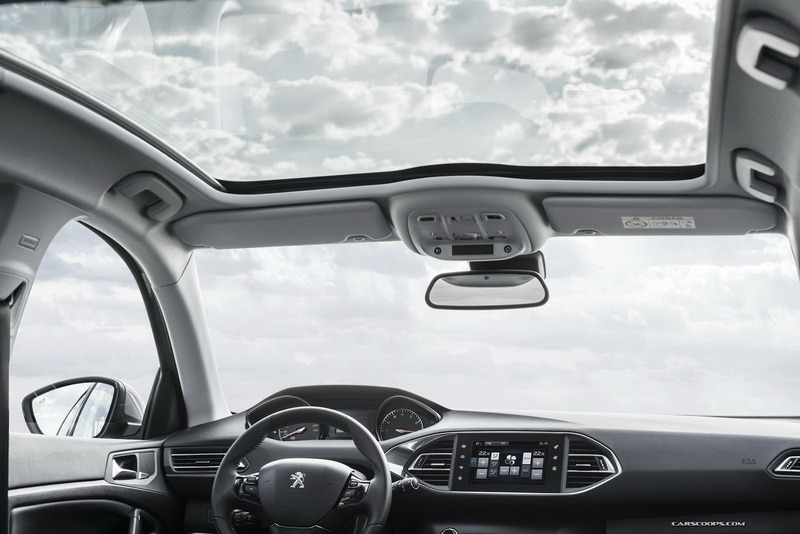 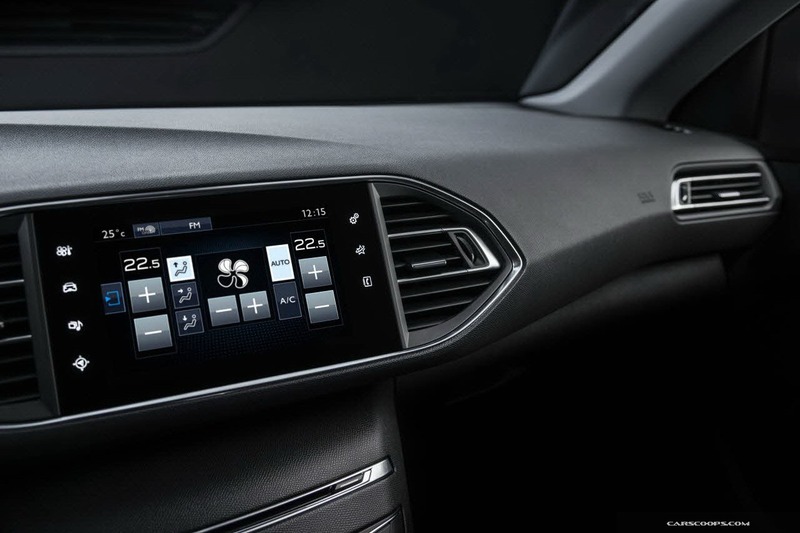 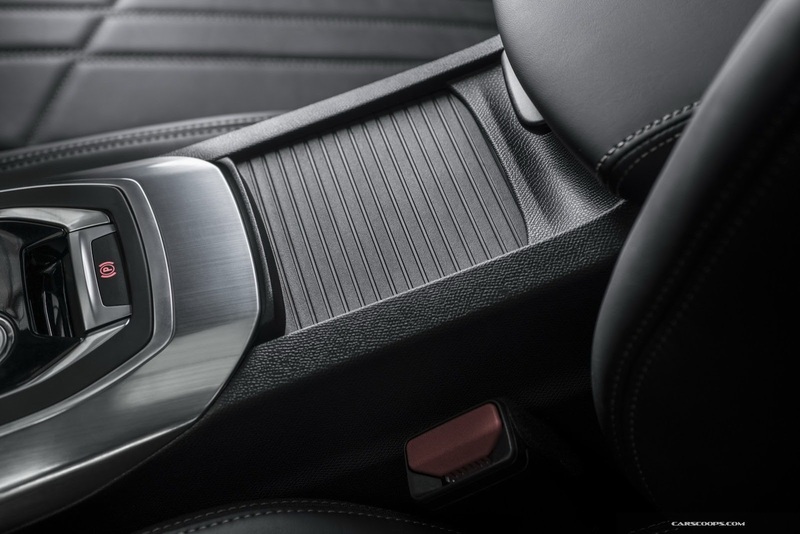 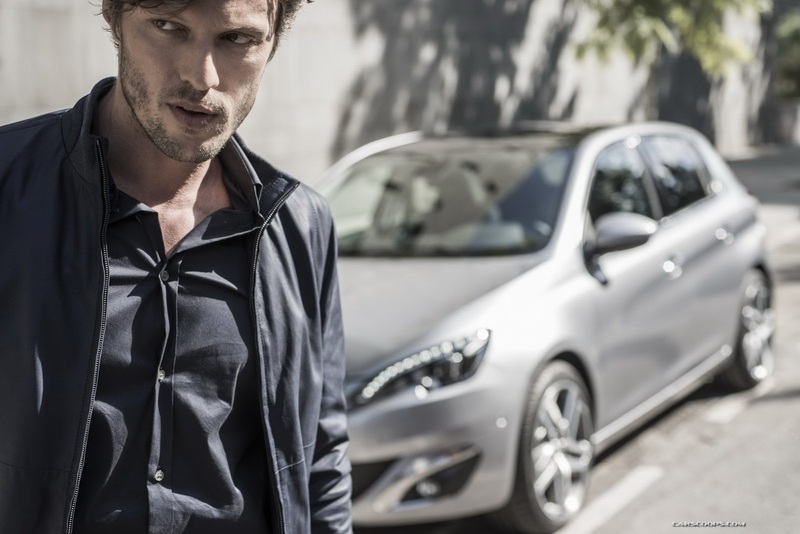 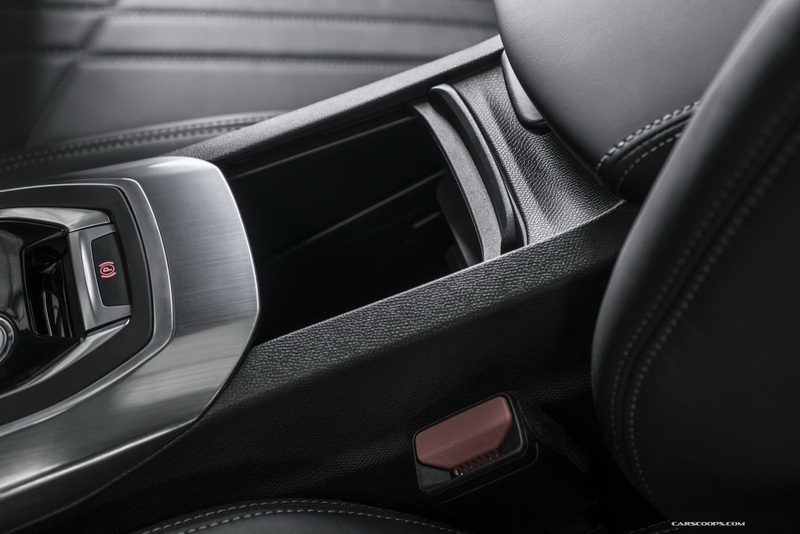 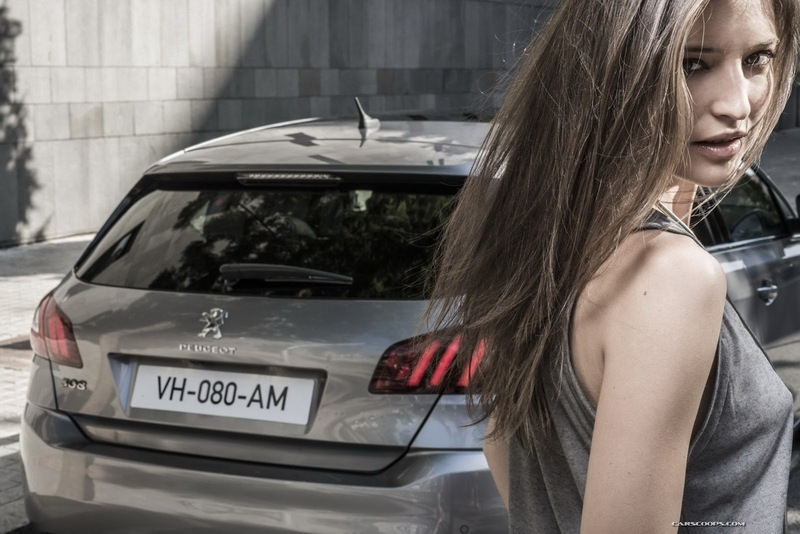 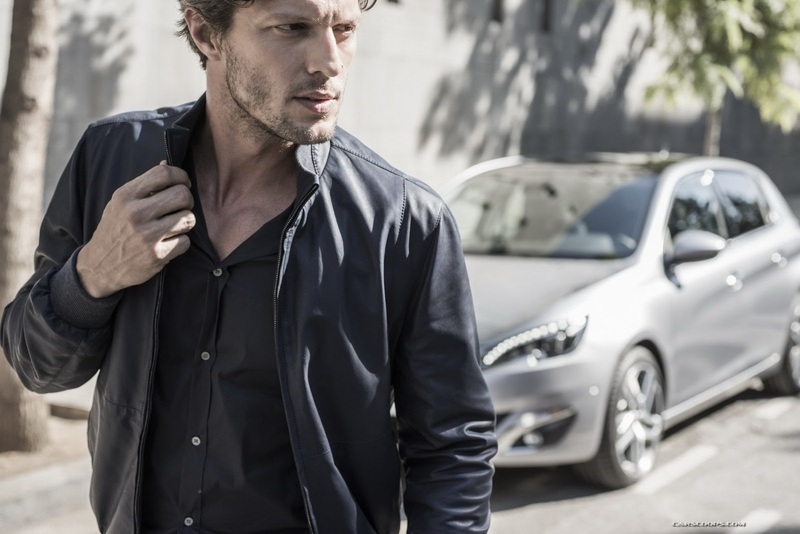 "The new Peugeot 308 has a pure and technological exterior design that speaks of high strength and high quality," says Gilles Vidal, Design Director, Peugeot. 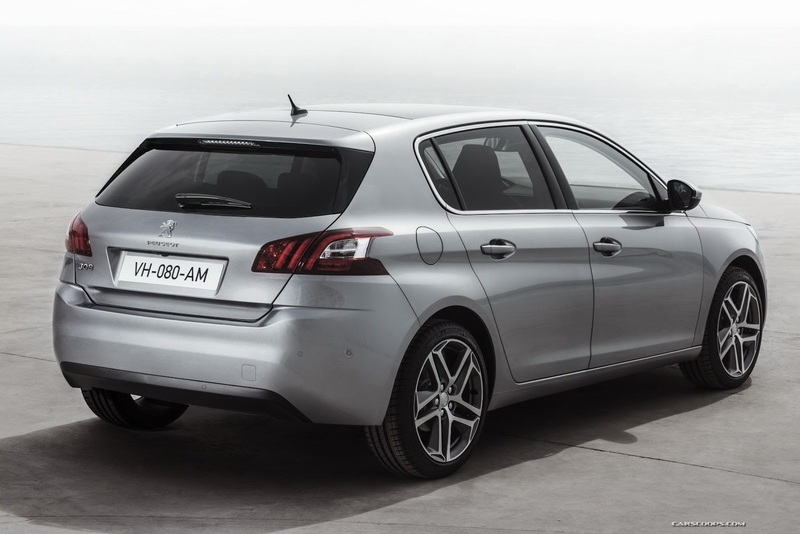 With its compact length of 4.25 metres and well-balanced proportions, the New Peugeot 308 projects a classy and sophisticated presence. 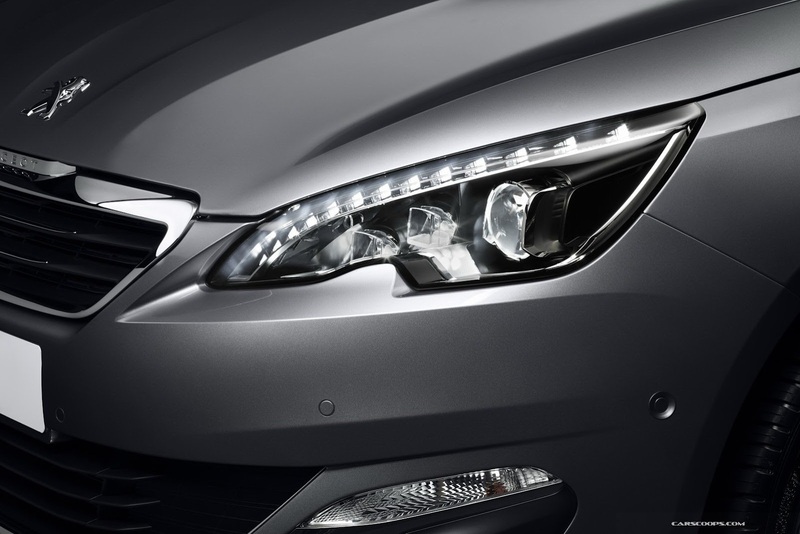 The front is dominated by an evolutionary reinterpretation of the brand's 'floating' front grille, and by the strong lighting signature. 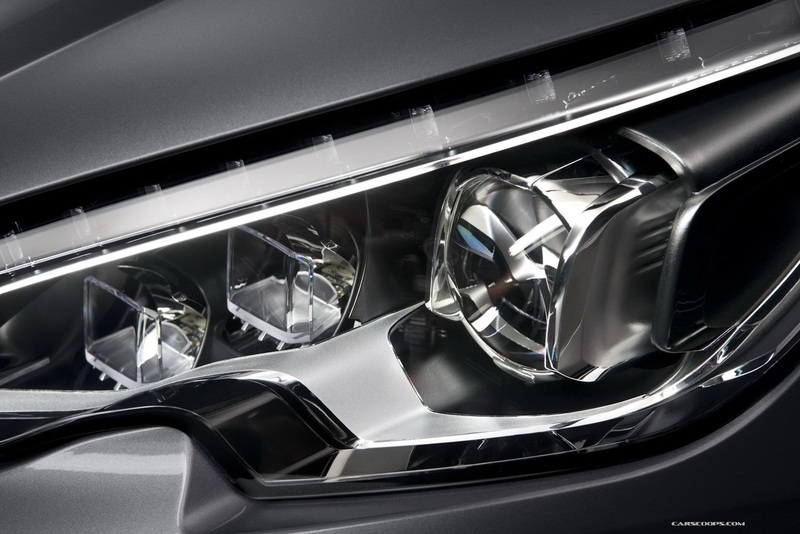 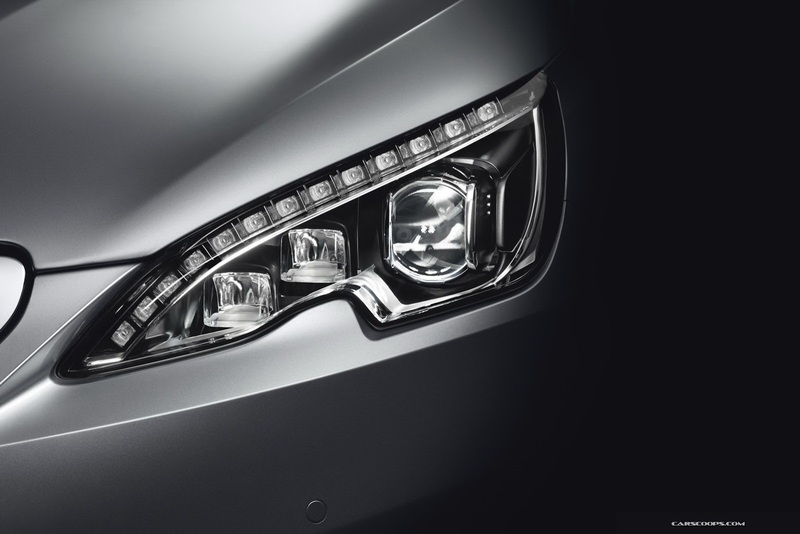 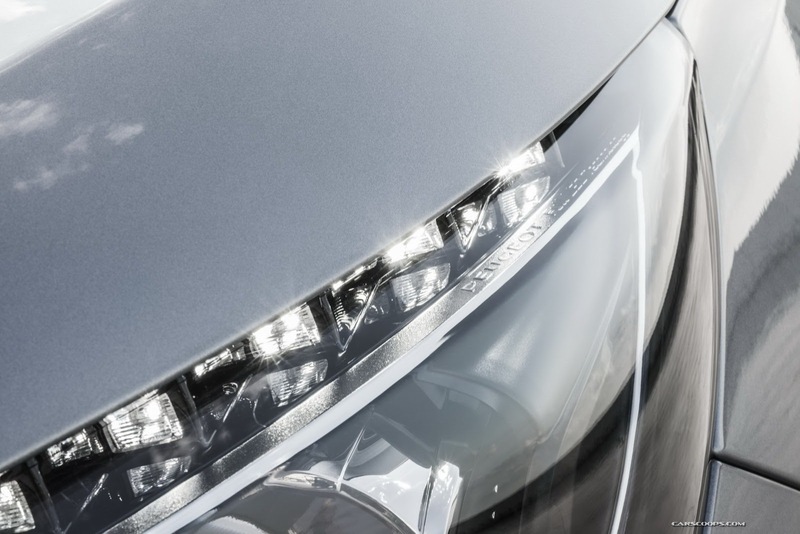 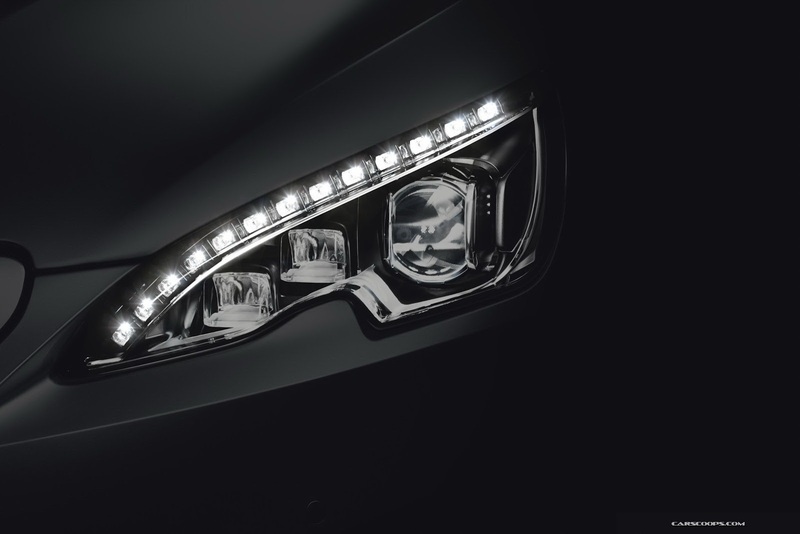 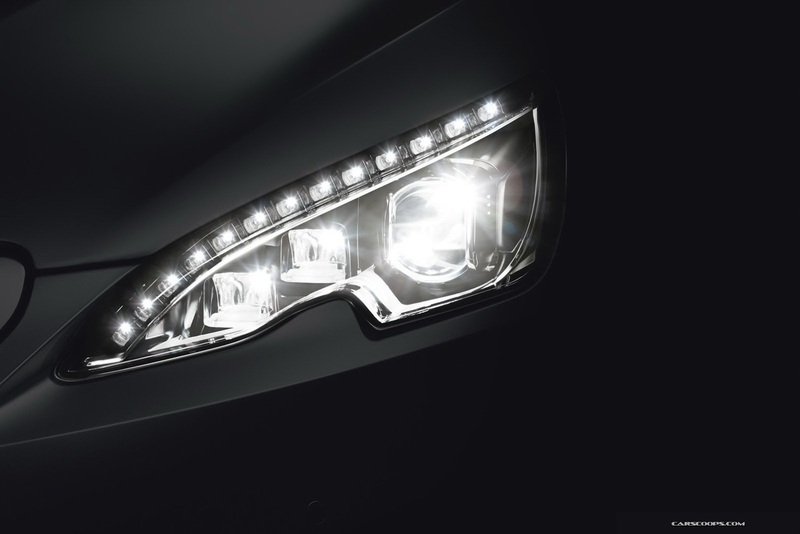 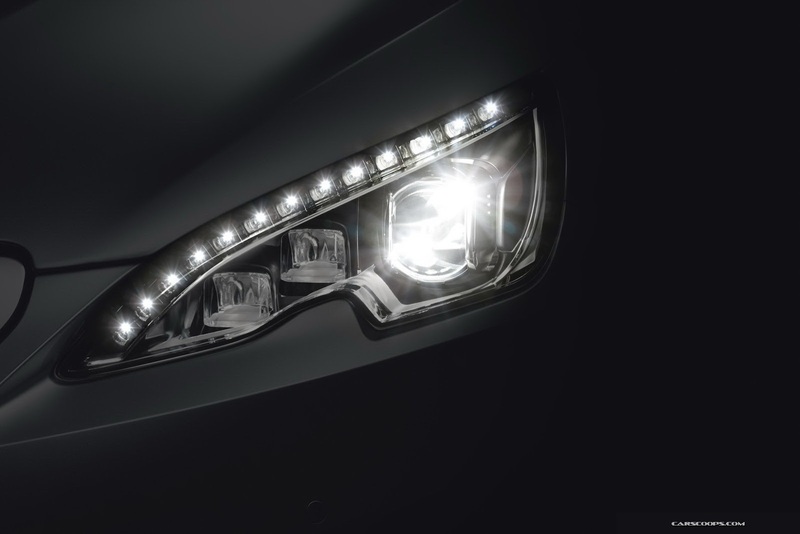 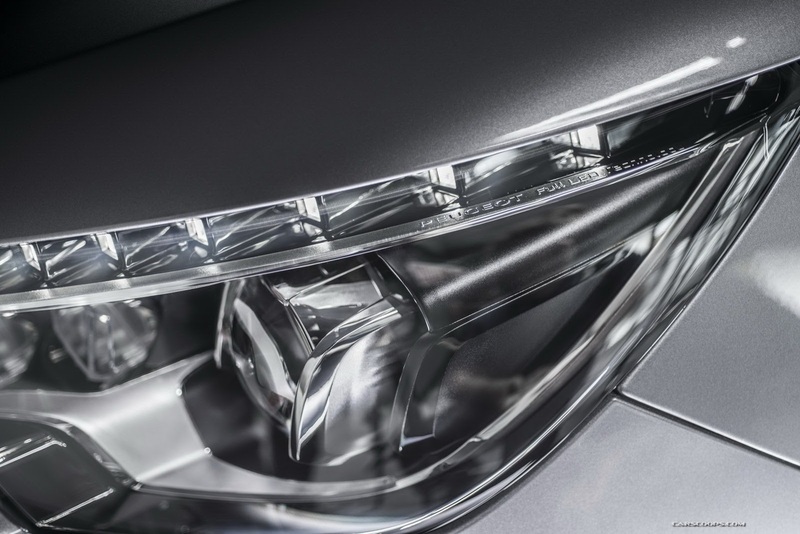 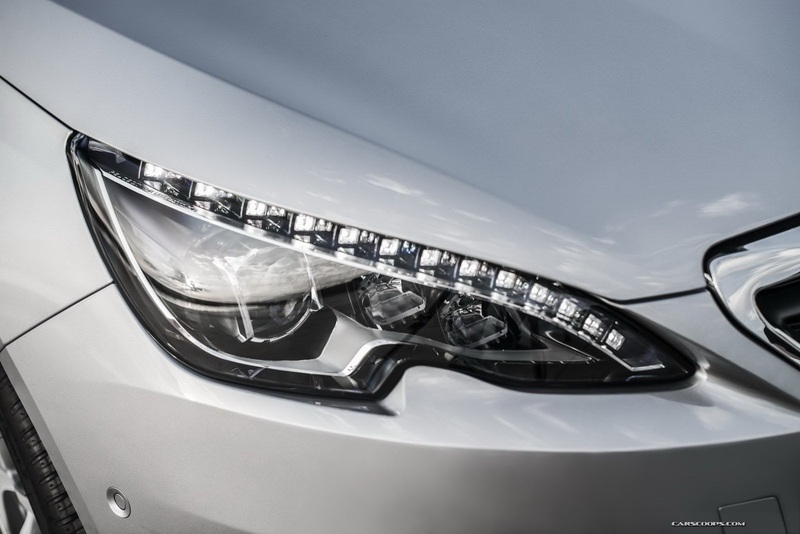 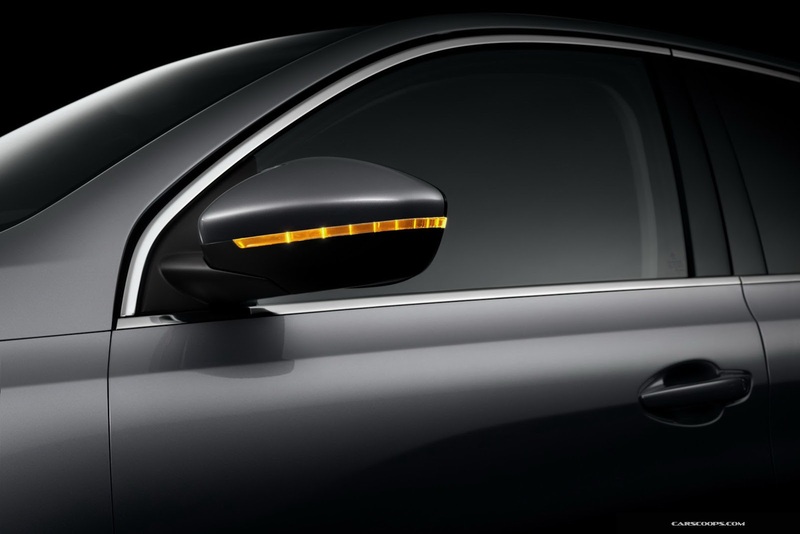 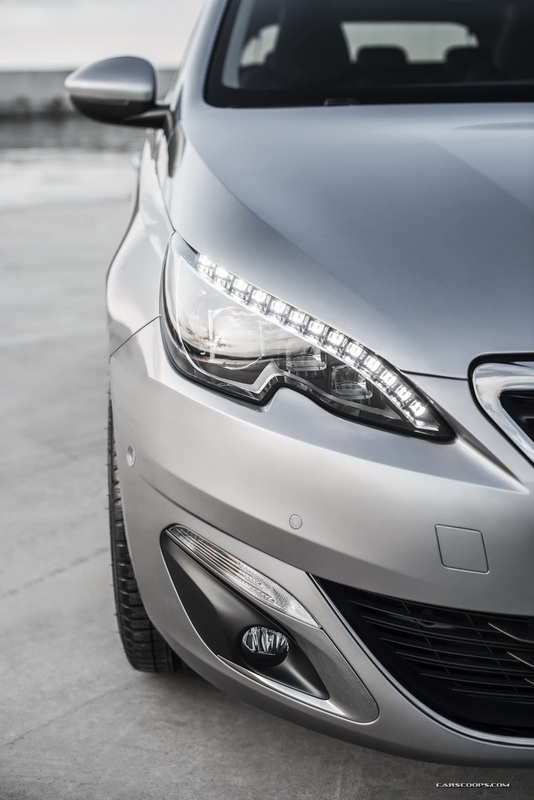 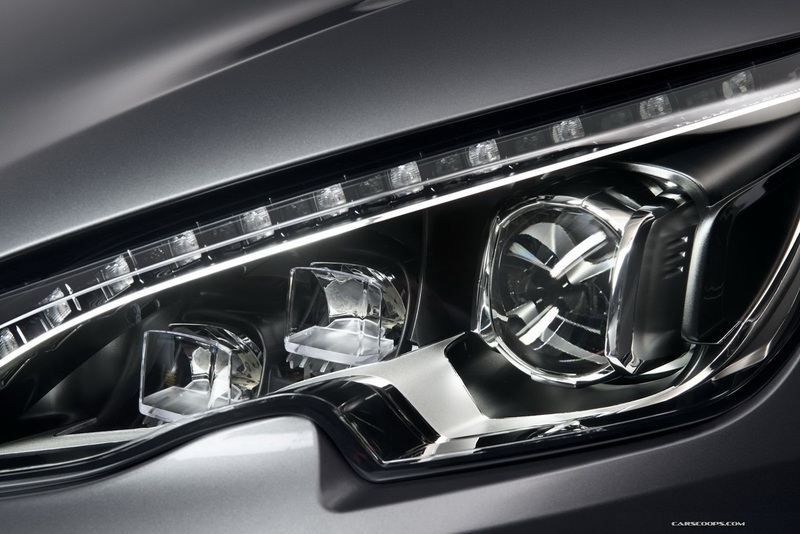 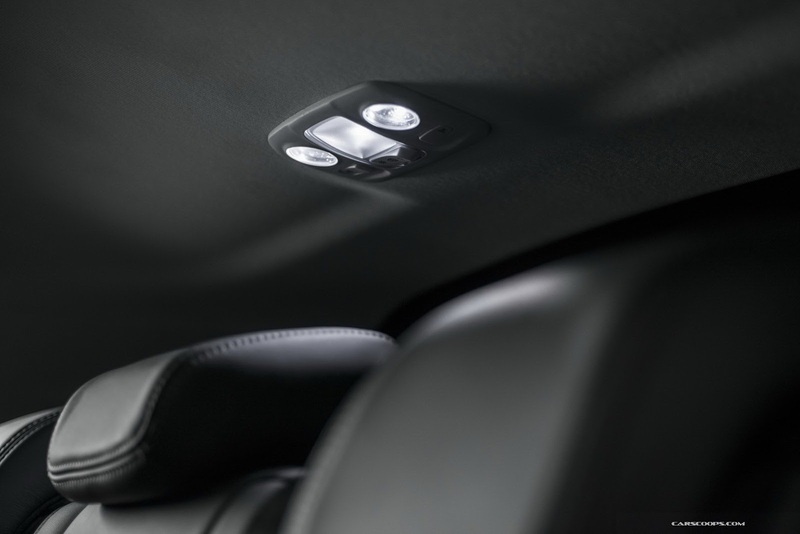 Slim full-LED headlamps are standard on the majority of trim levels and a world-first in the segment. 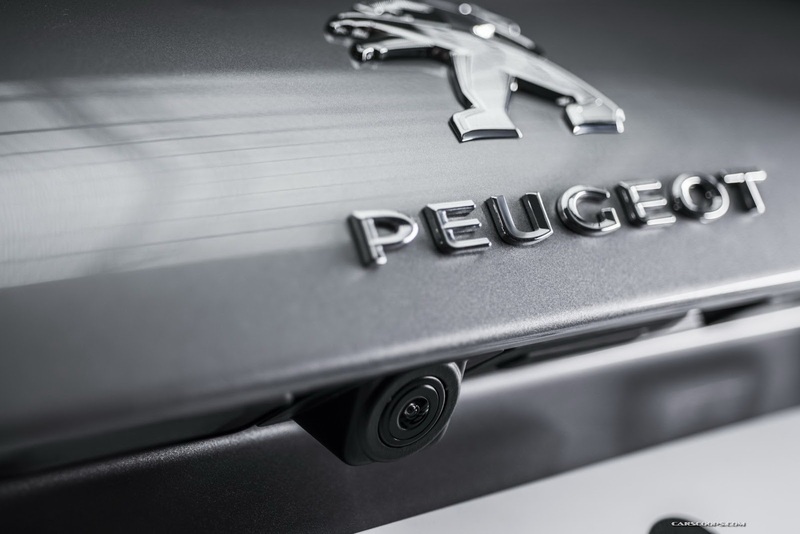 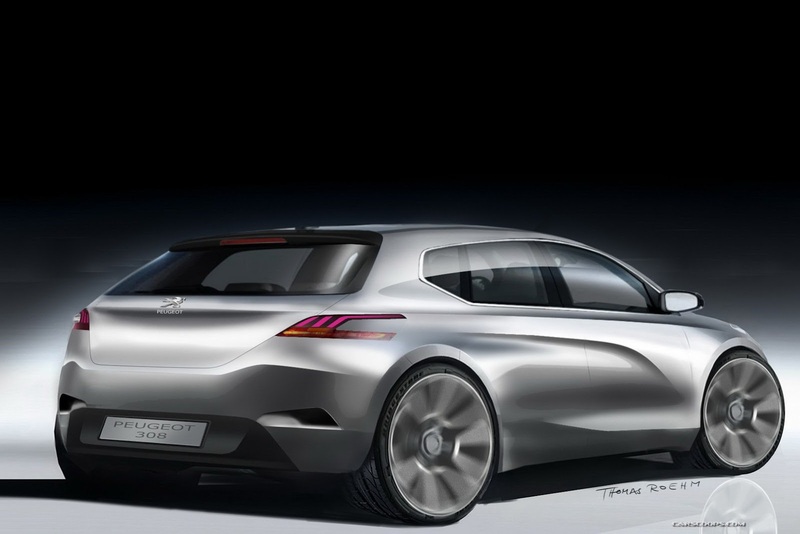 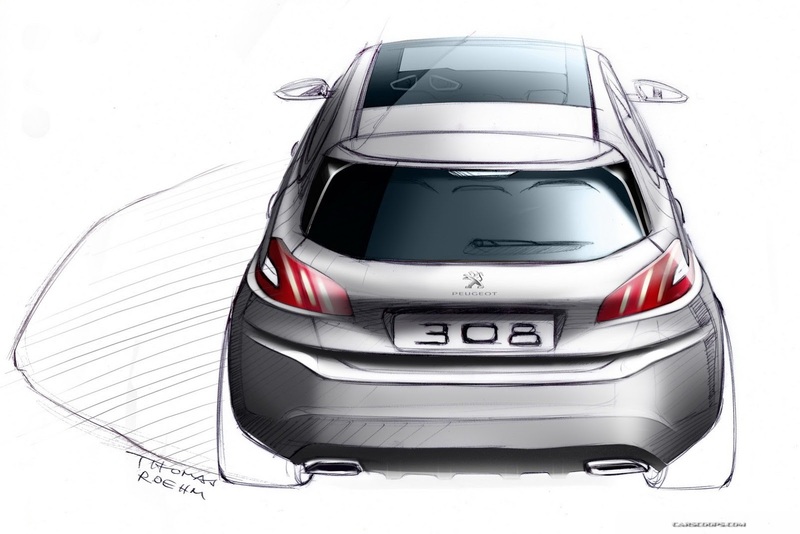 The high quality of design continues at the rear, with the three Peugeot (lion) 'claws' drawn by the rear LED lamps. 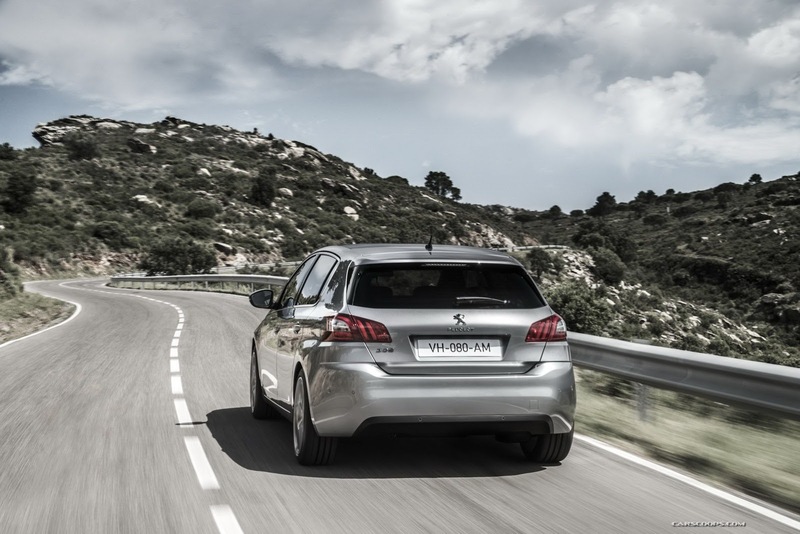 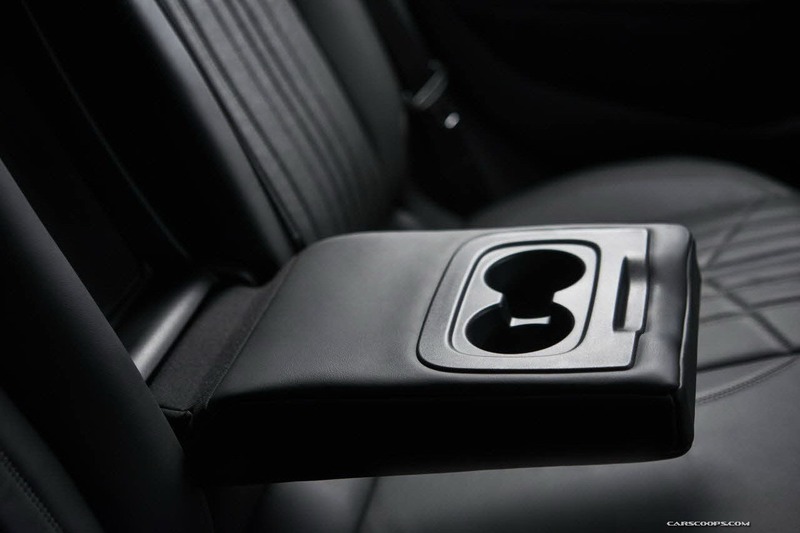 "On the road, driving pleasure is enhanced by the new EMP2 modular platform. 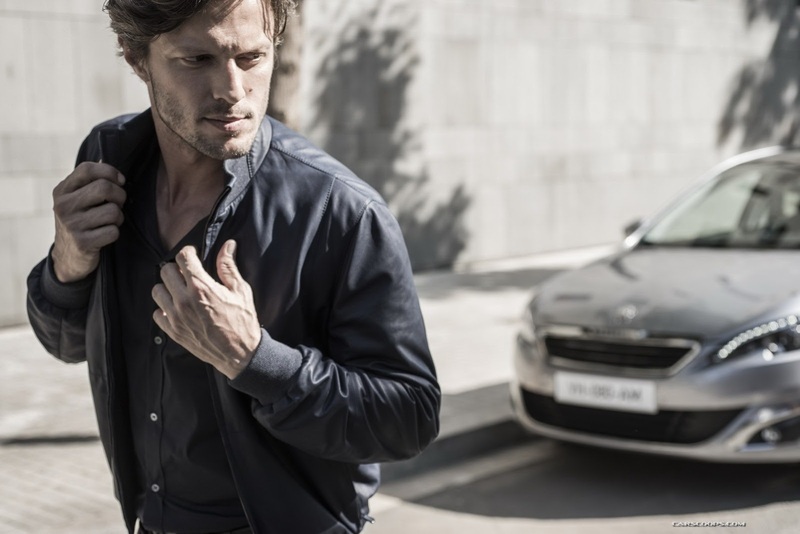 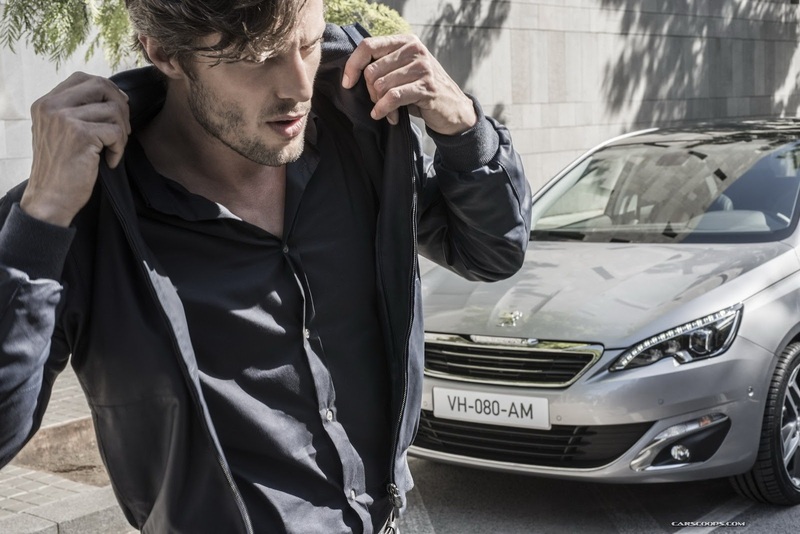 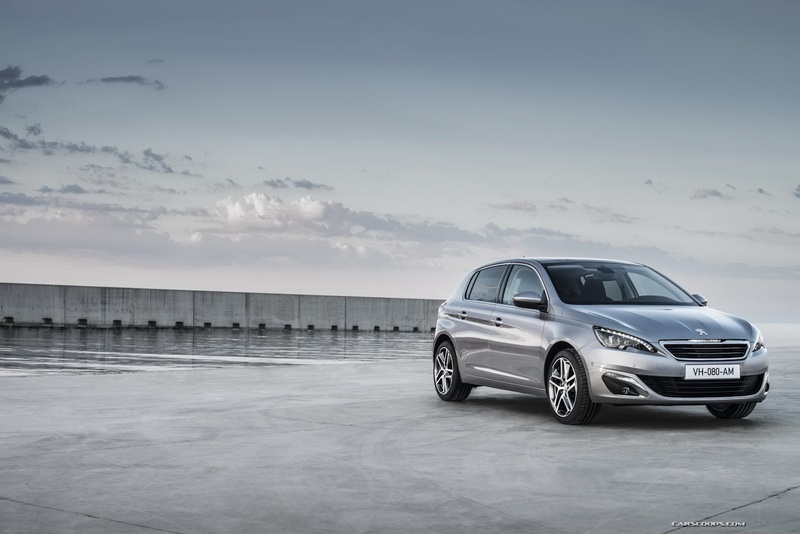 With its considerable reduction in weight, it contributes to the dynamism and easy handling of the New Peugeot 308," says Laurent Declerck, New 308 Project Director, Peugeot. 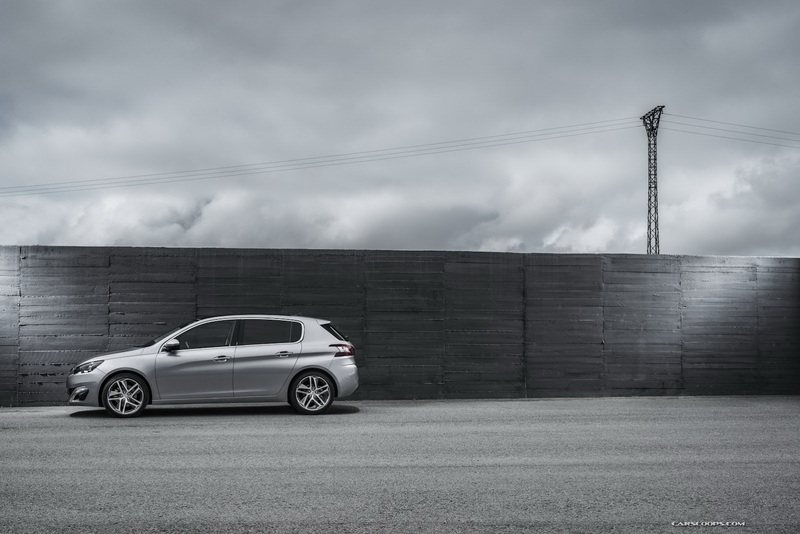 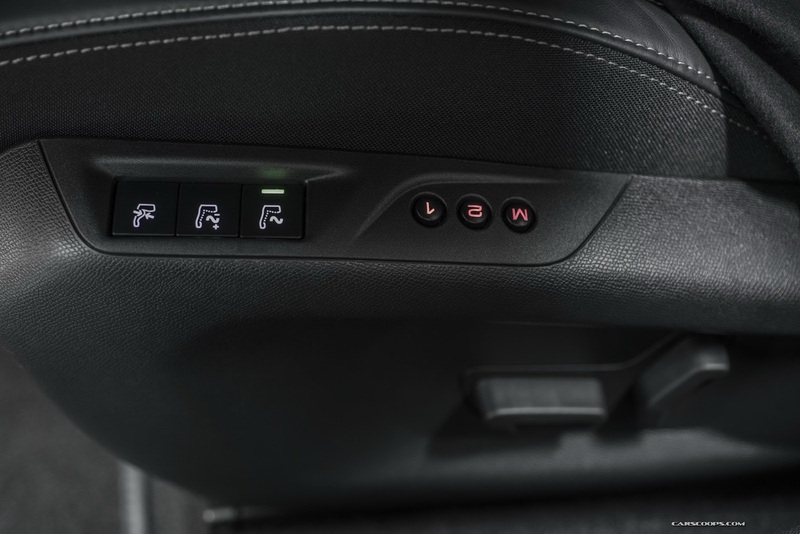 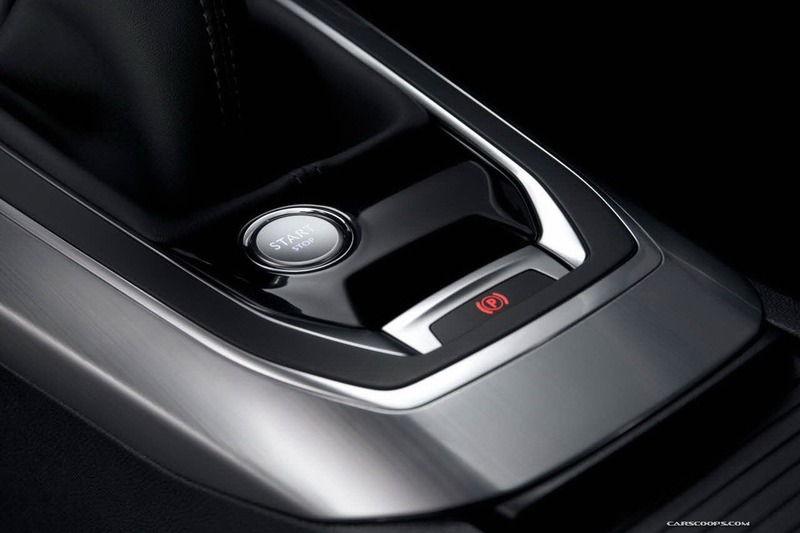 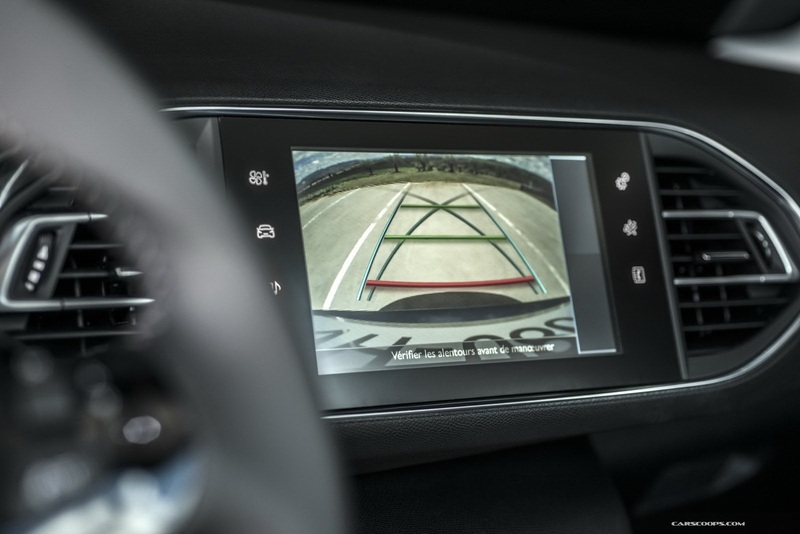 The driving experience of the New Peugeot 308 draws on the brand's expertise in suspension and steering, and takes them to a new high due to the benefits of the new EMP2 platform. 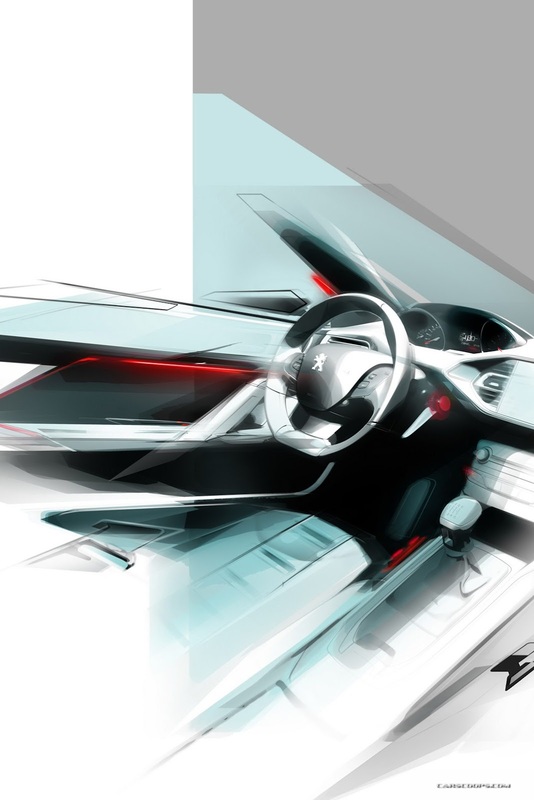 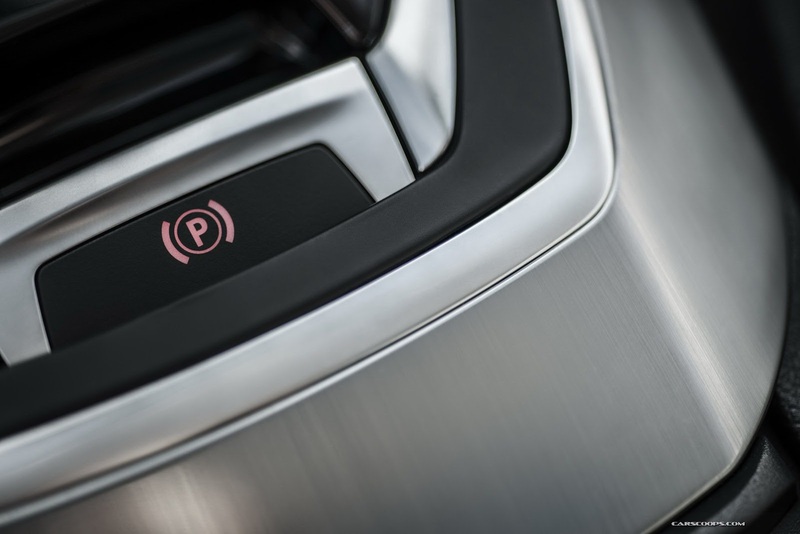 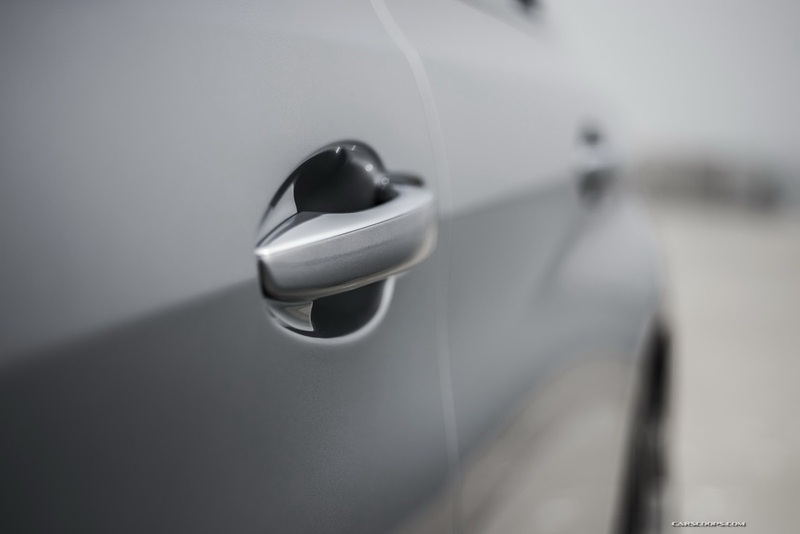 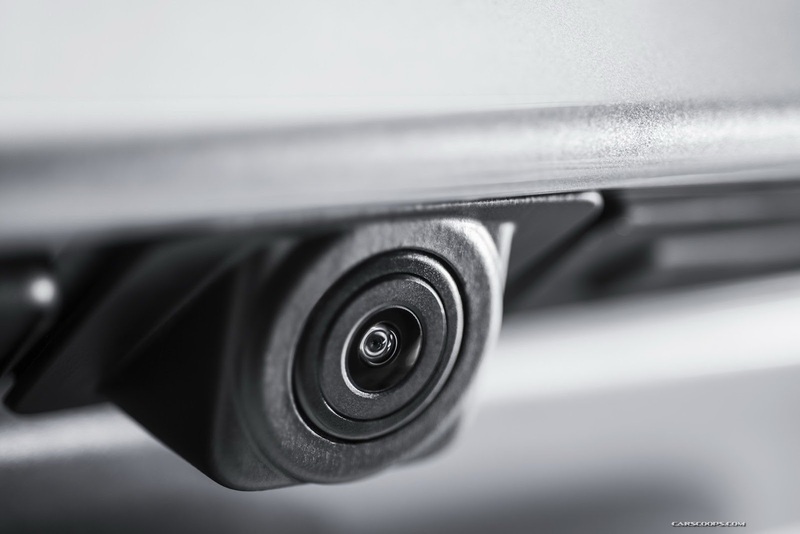 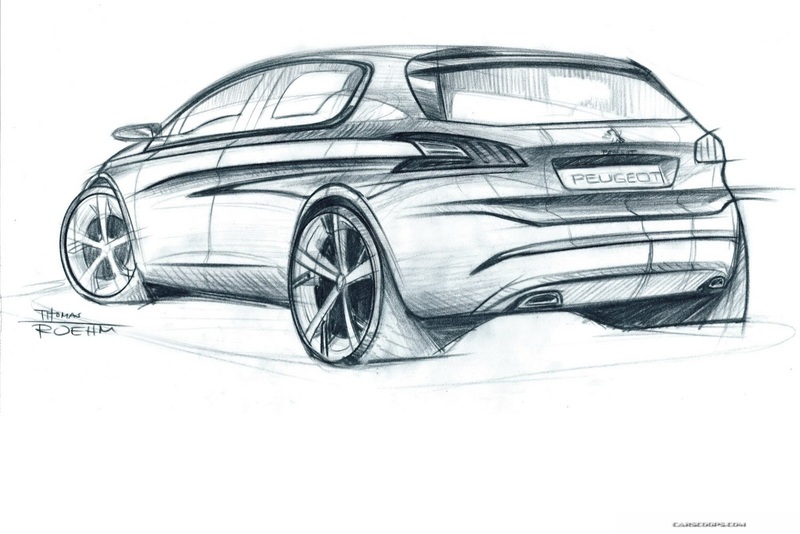 Development of this new PSA Group architecture has resulted in 116 patent applications and contributes towards the vehicle's excellent dynamic qualities. 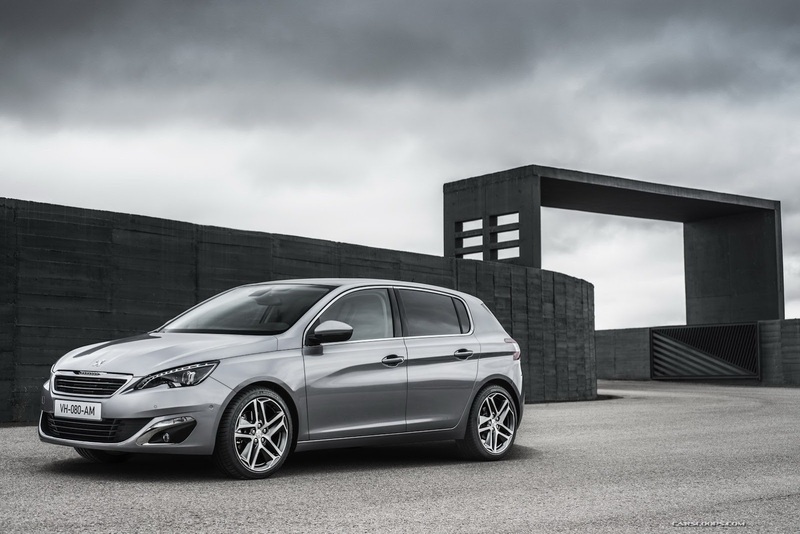 It also plays a key role in the car's considerable weight reduction, by an average of 140kg compared to the current generation Peugeot 308. 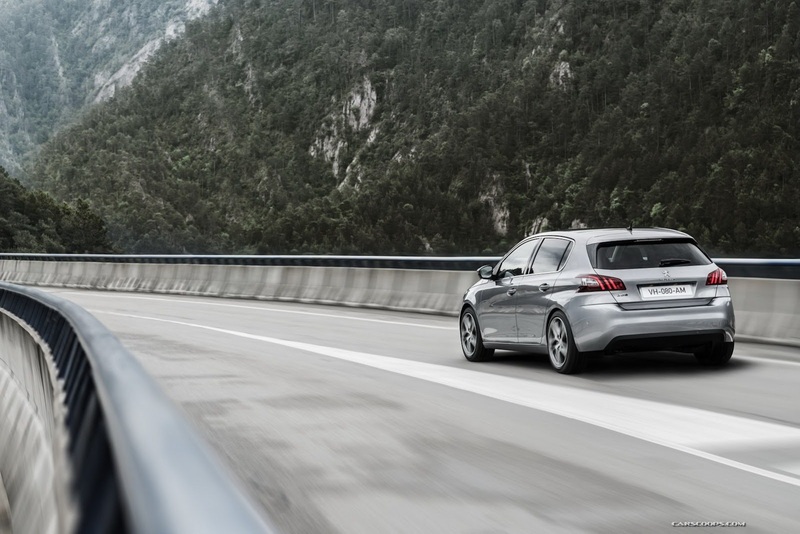 Breakthrough engineering has allowed many of the vehicle's major units to be reduced in size - also cutting overall weight - leading to significant reductions in CO2 emissions. As a result, this new Peugeot 308 establishes an environmental benchmark, with one model offering CO2 emissions as low as 85g/km. 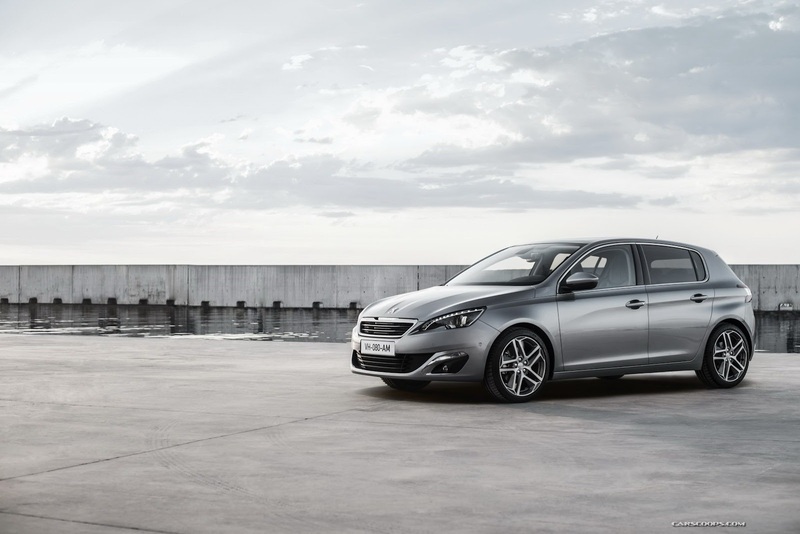 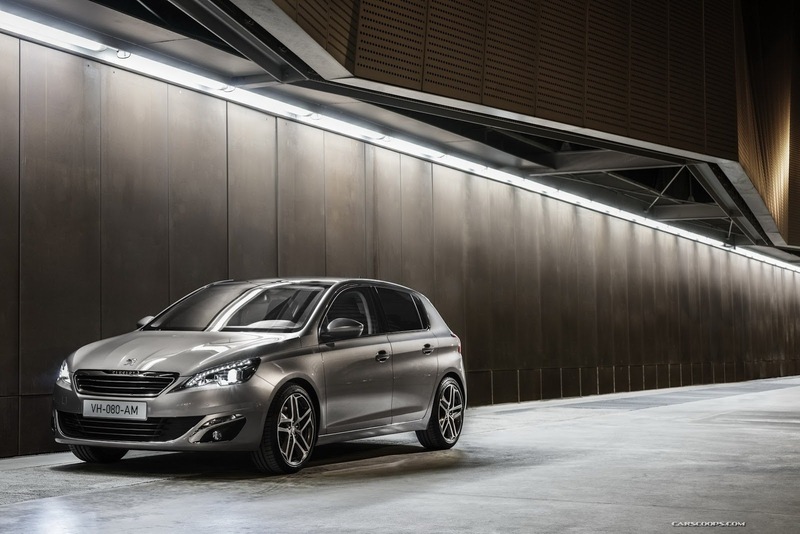 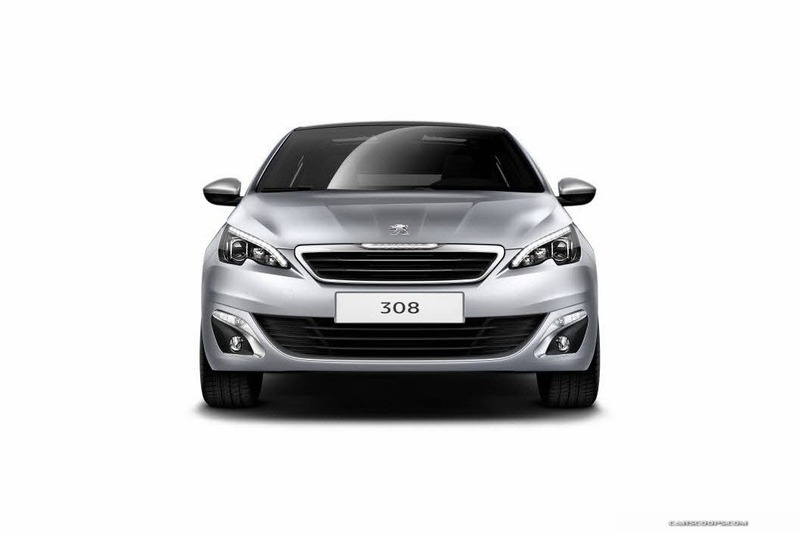 The New Peugeot 308 is the latest evidence of the brand's move up-market. 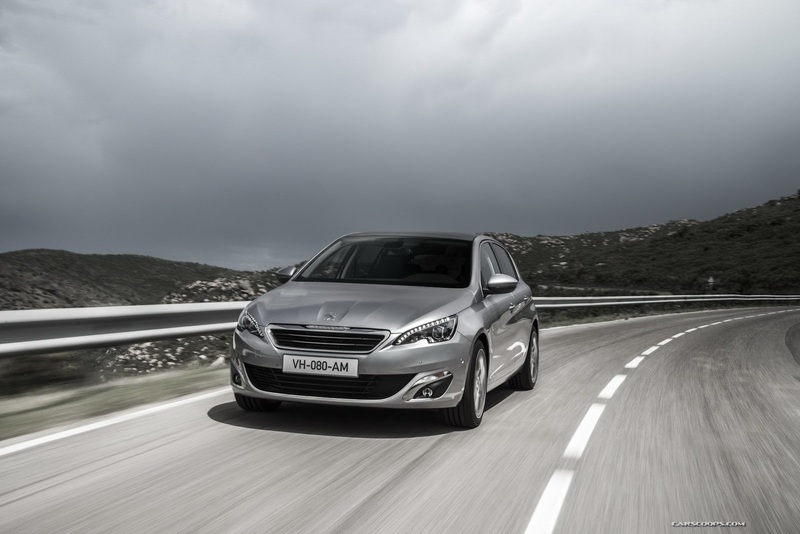 It's an initiative started several years ago and seen most recently with the 208 and 2008. 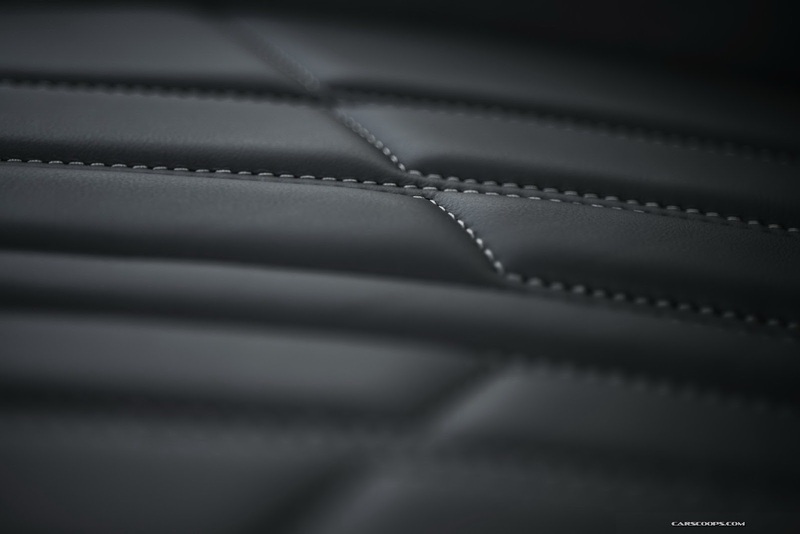 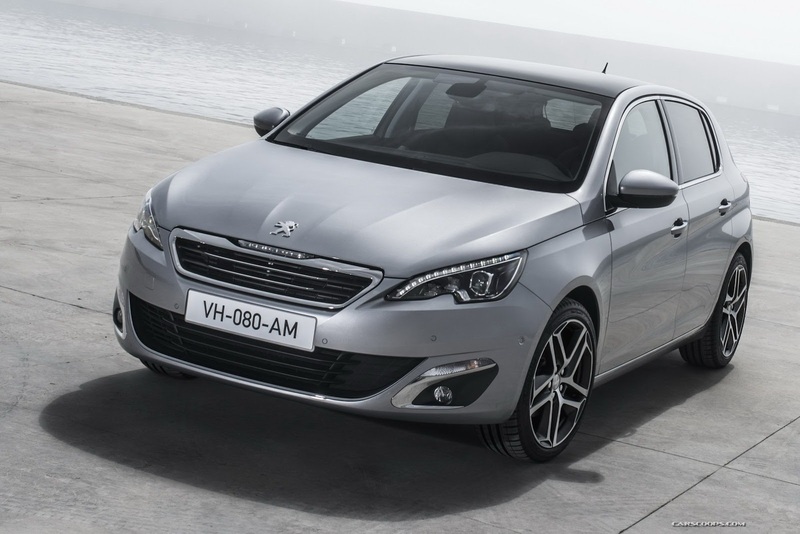 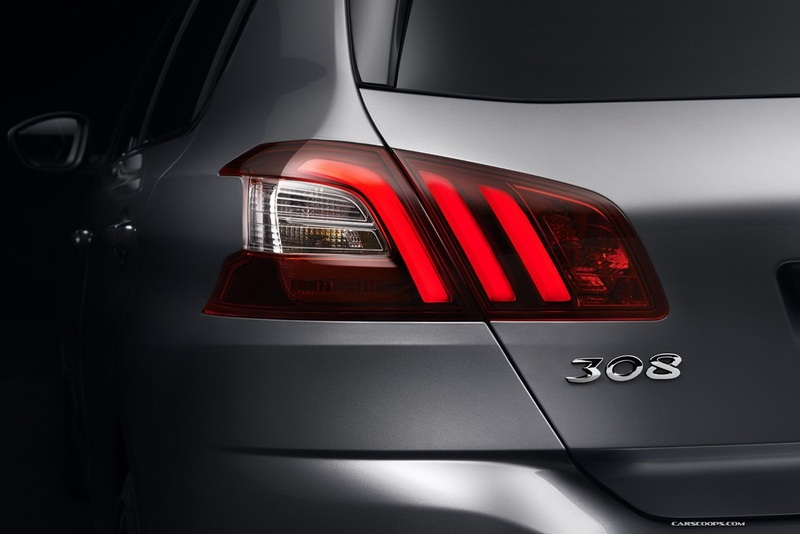 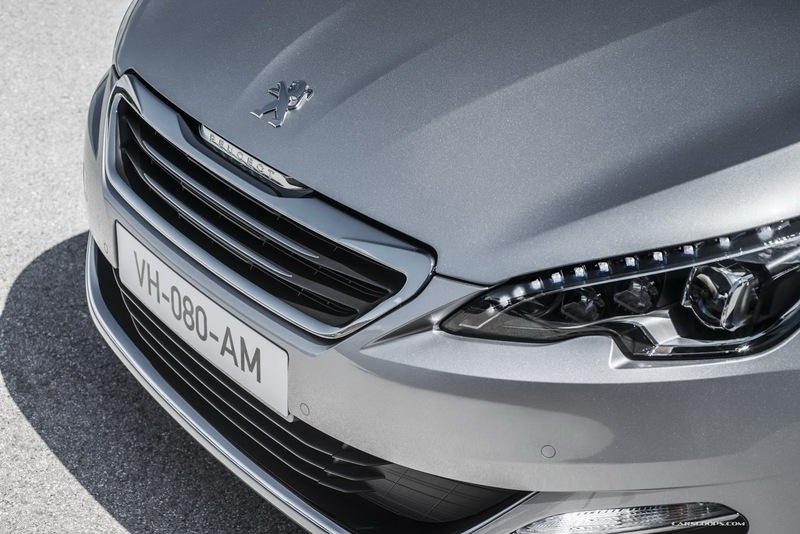 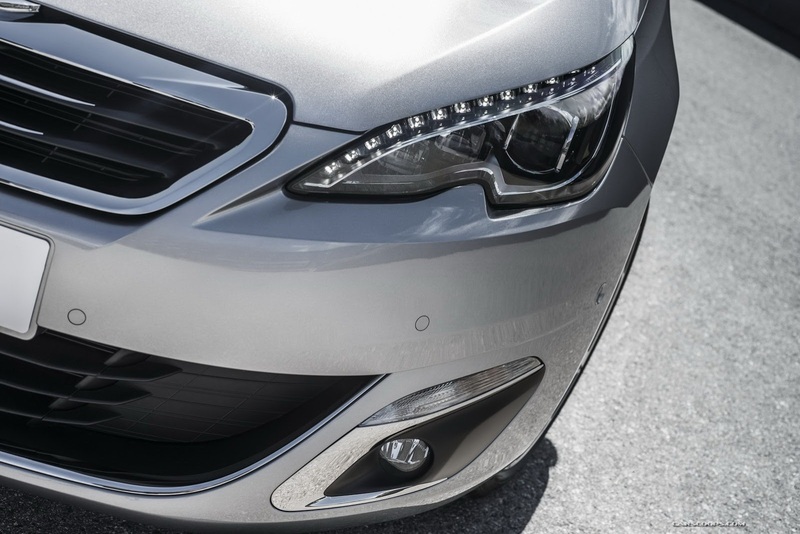 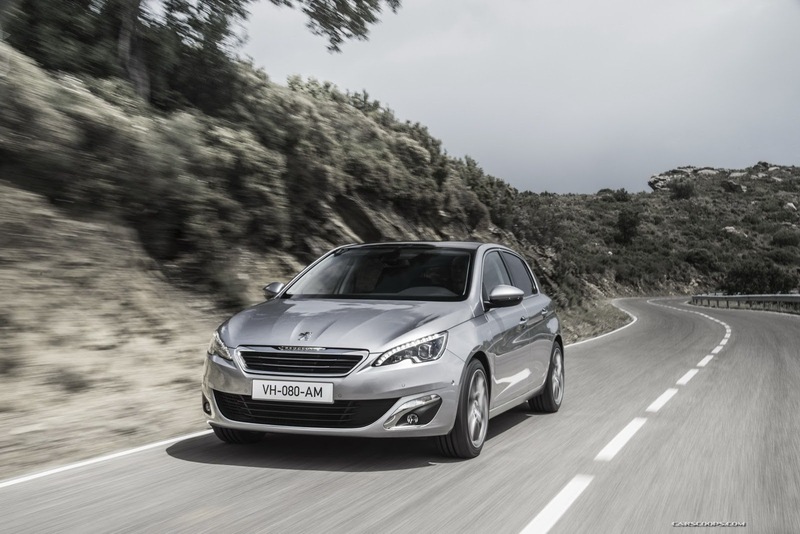 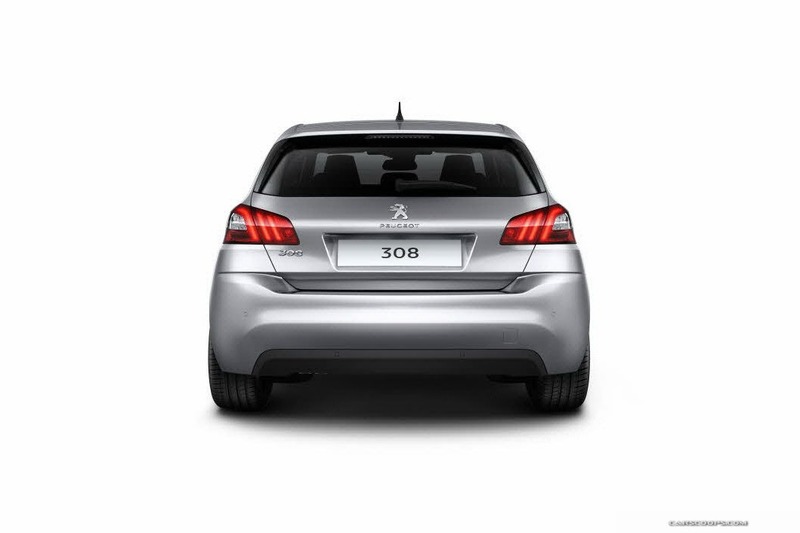 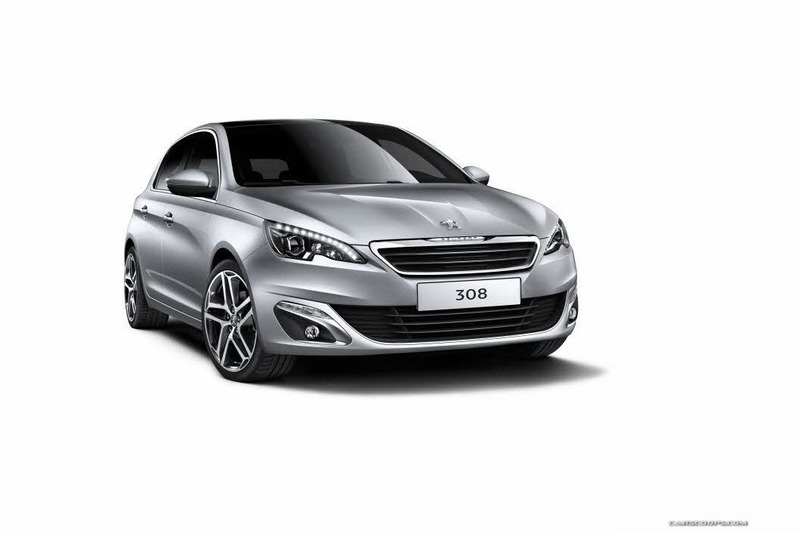 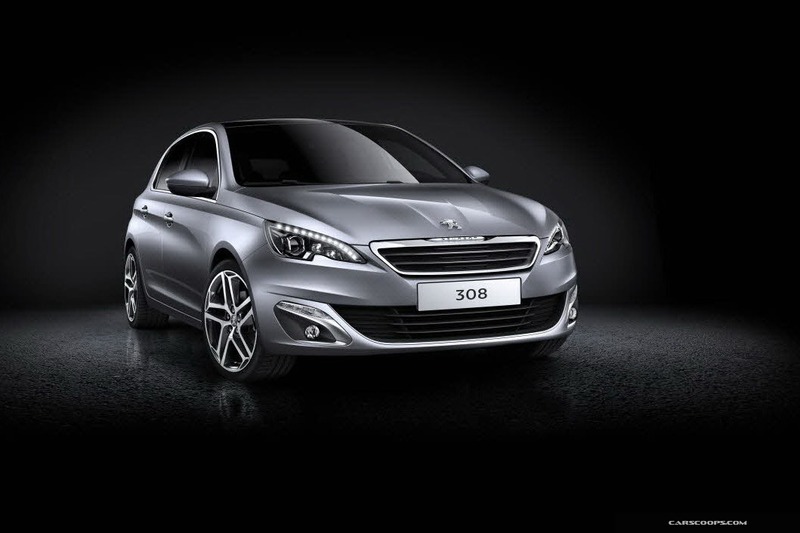 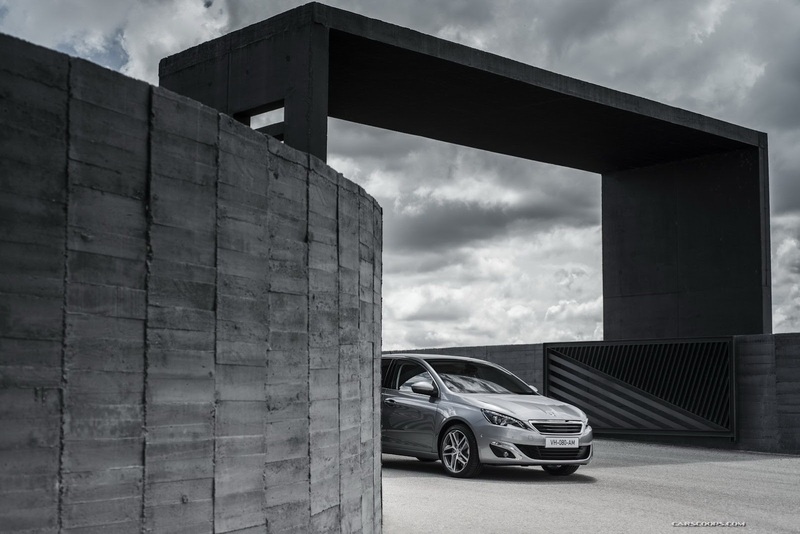 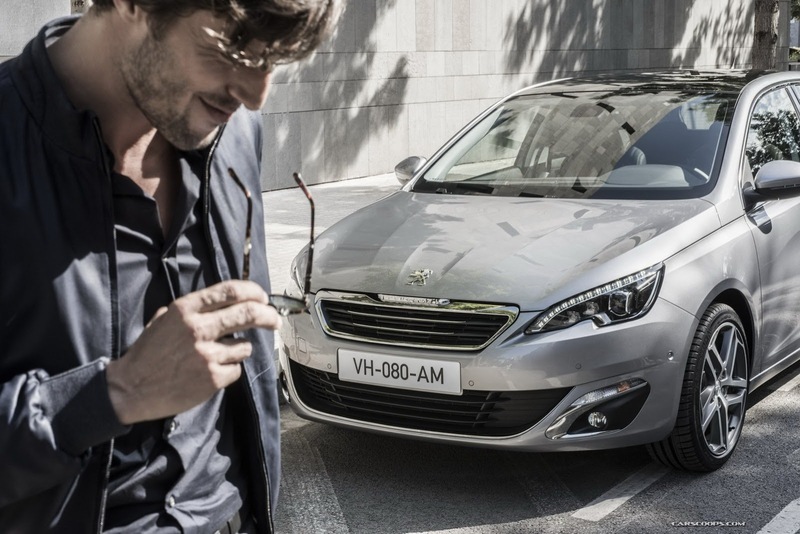 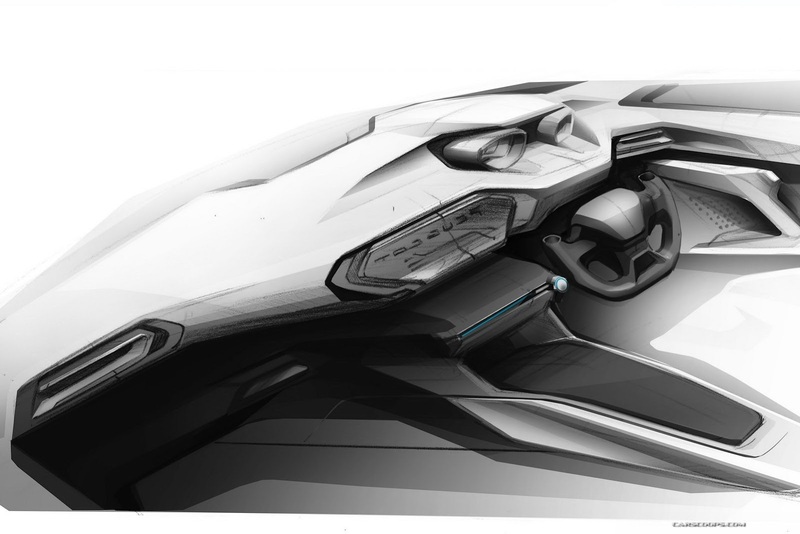 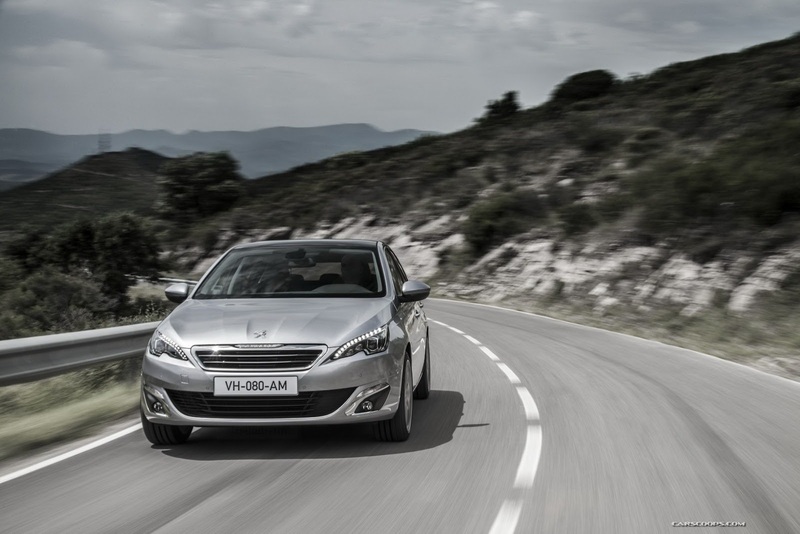 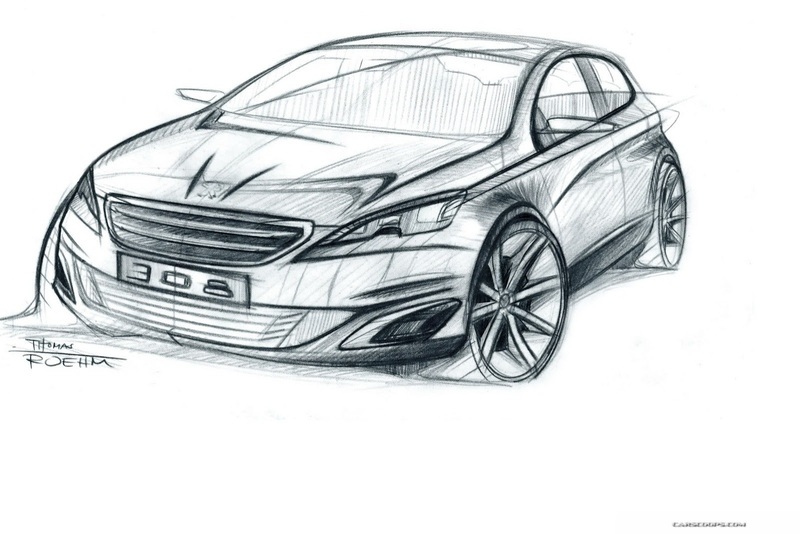 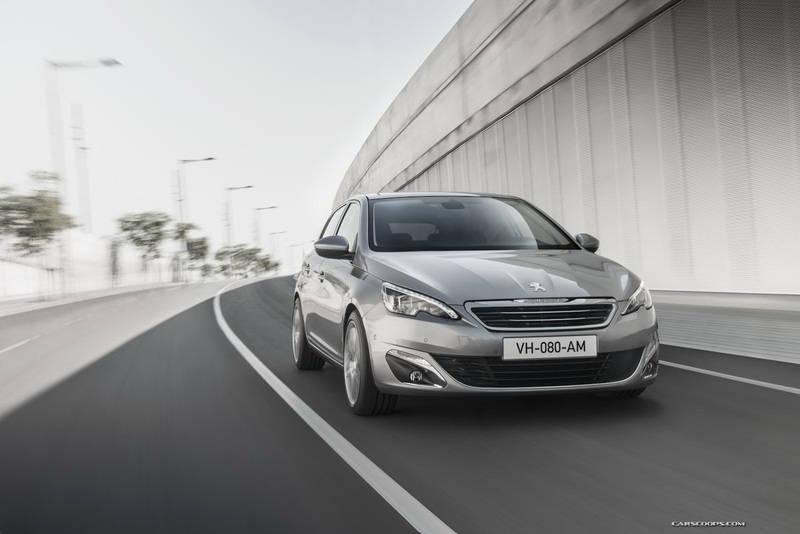 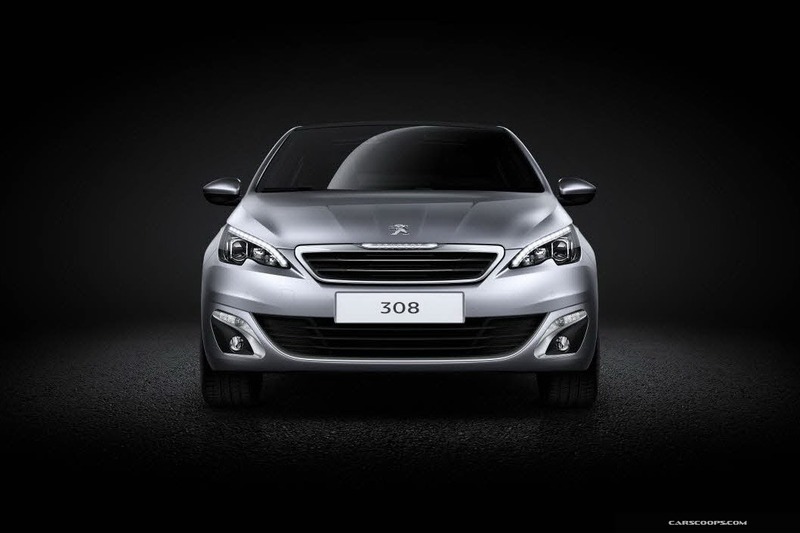 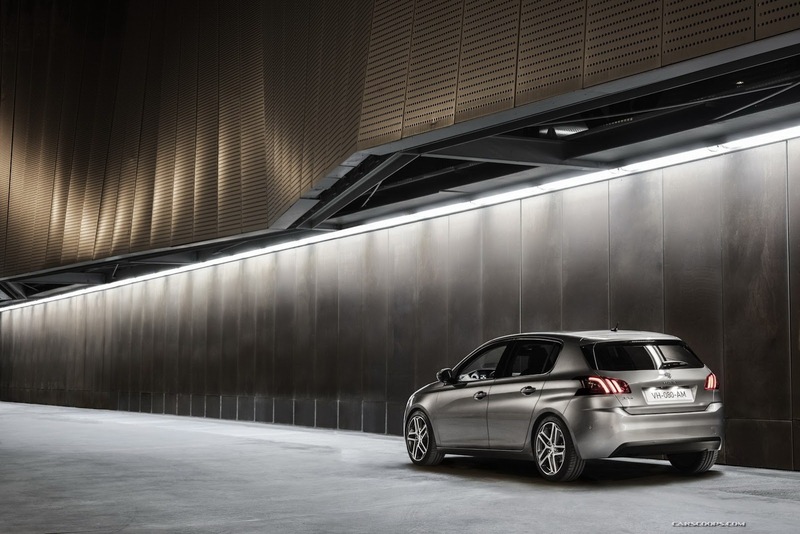 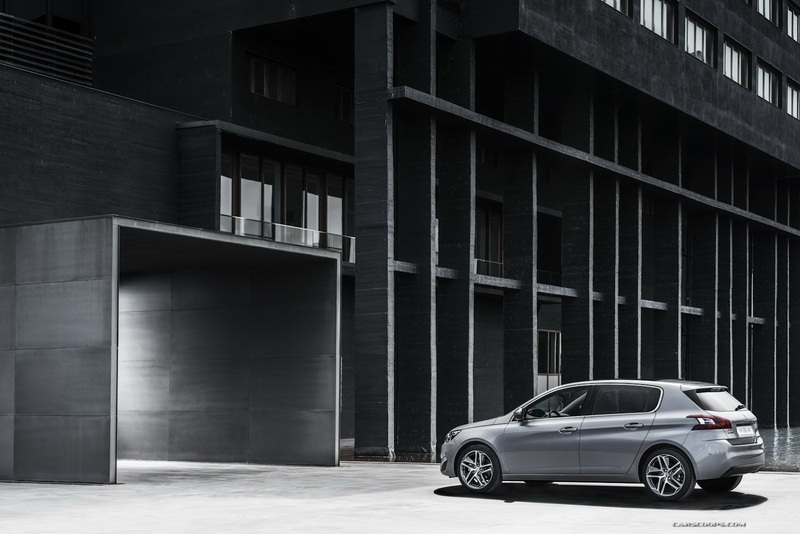 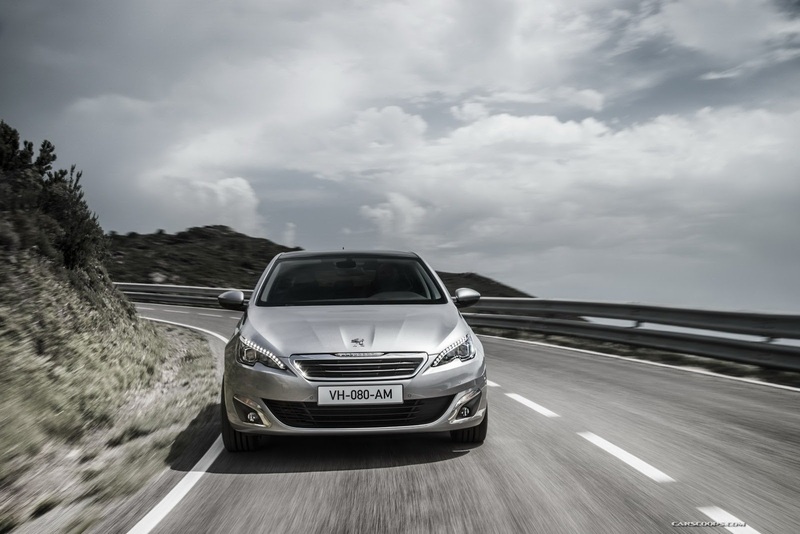 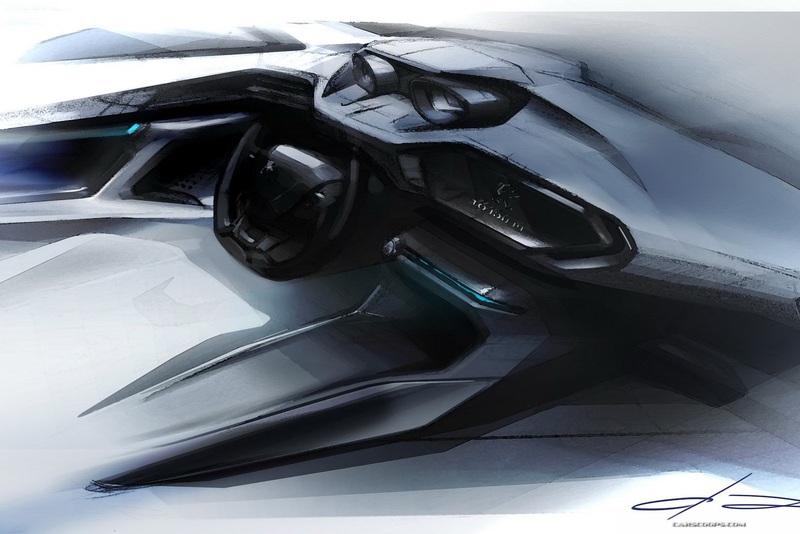 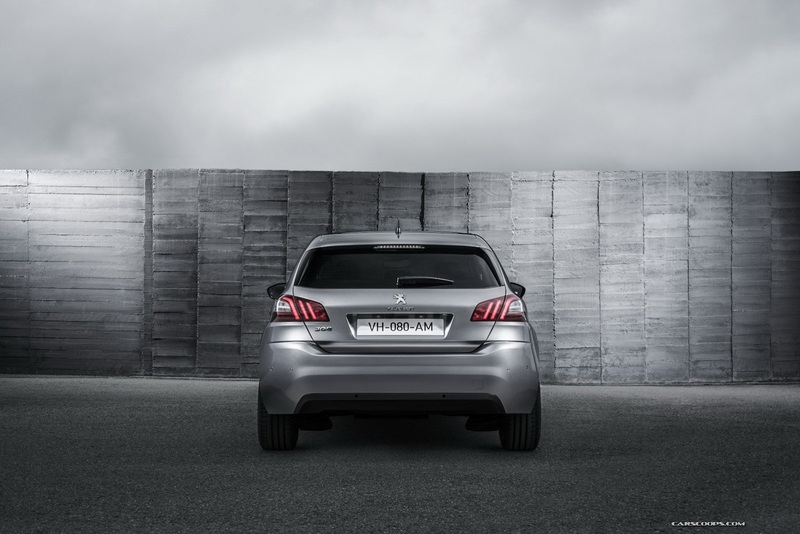 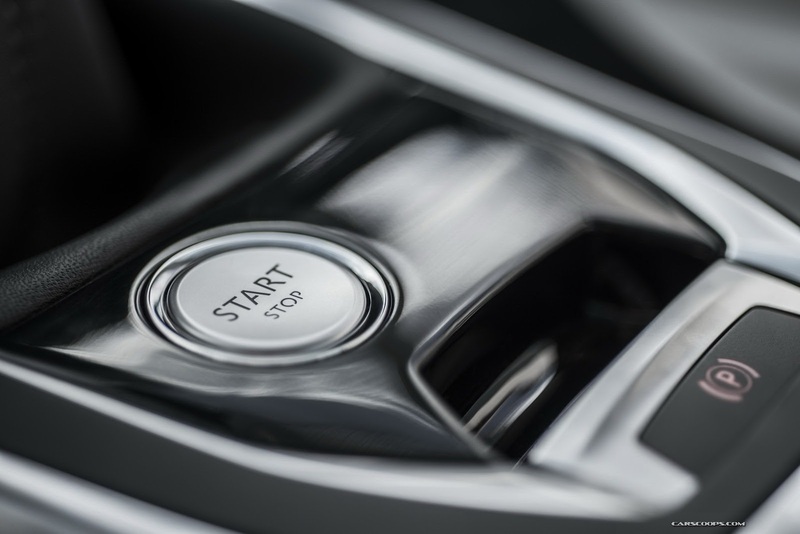 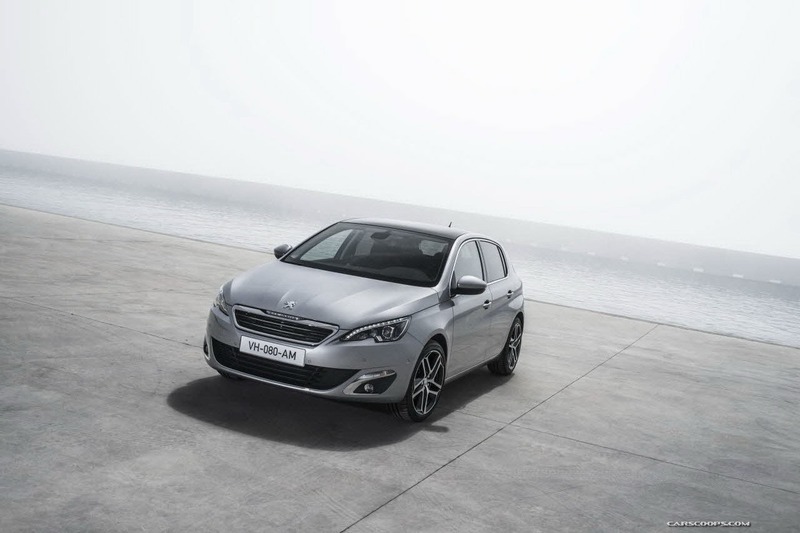 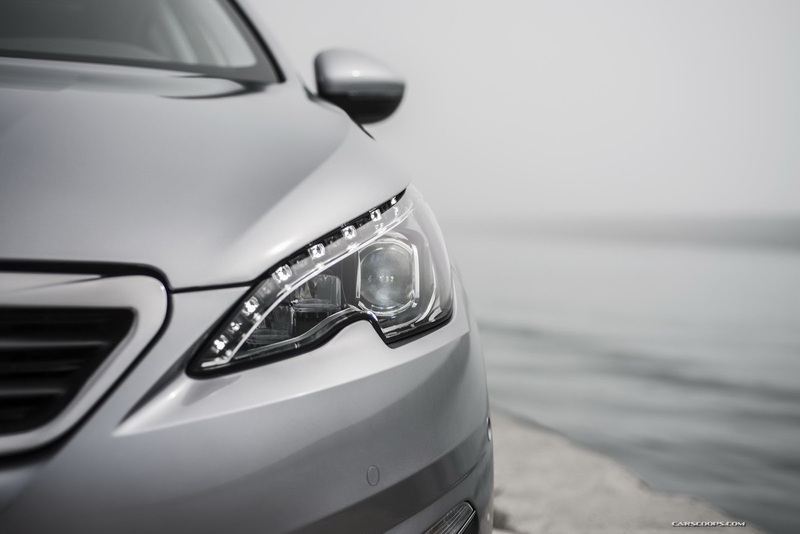 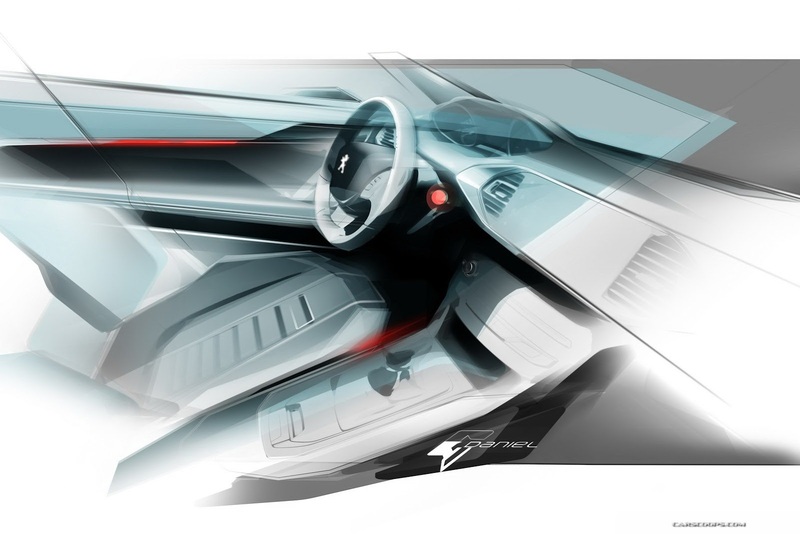 The initial design brief of the New 308 had the highest levels of quality at its core. 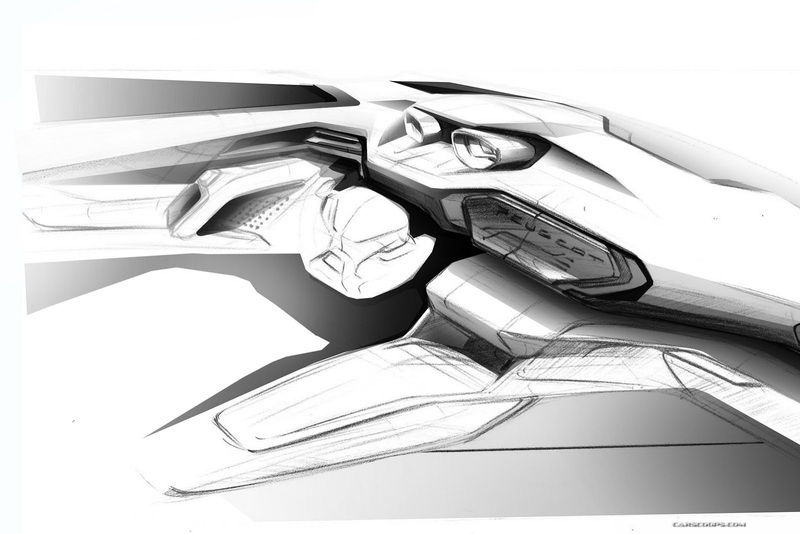 This ambition has guided the designers and engineers from the very start of the project. 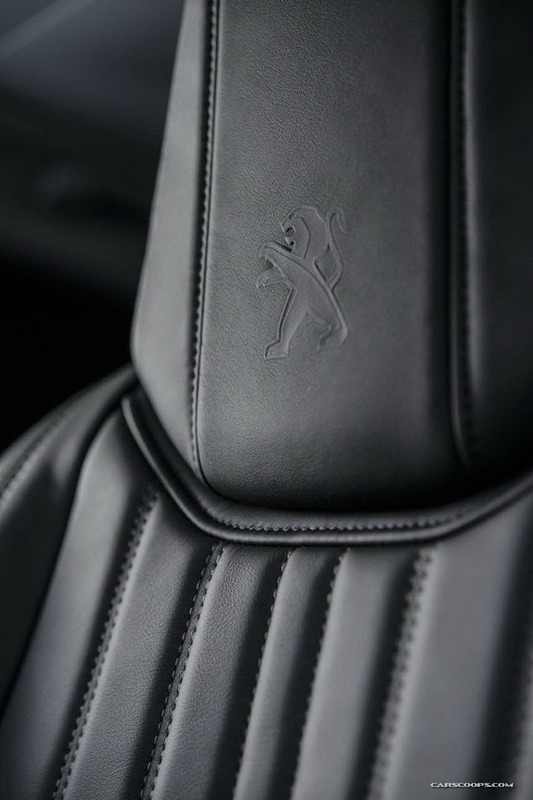 Every element, both inside and outside, has been developed and refined with exceptional attention to detail. 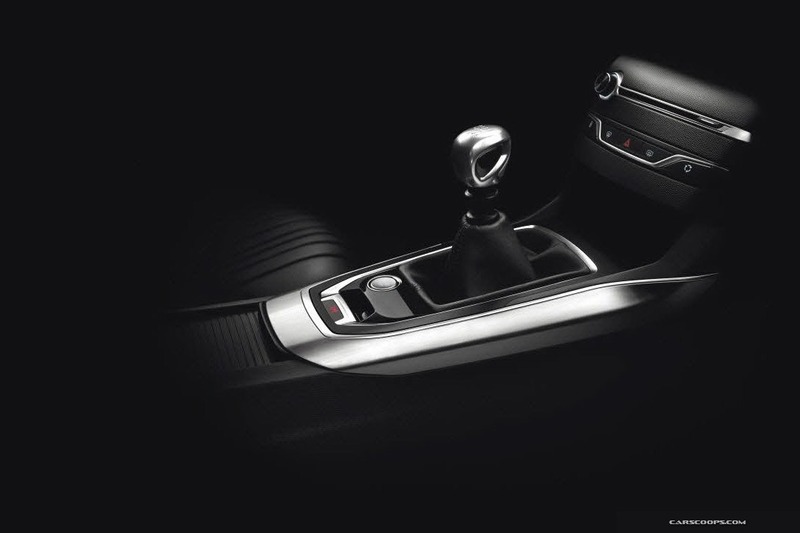 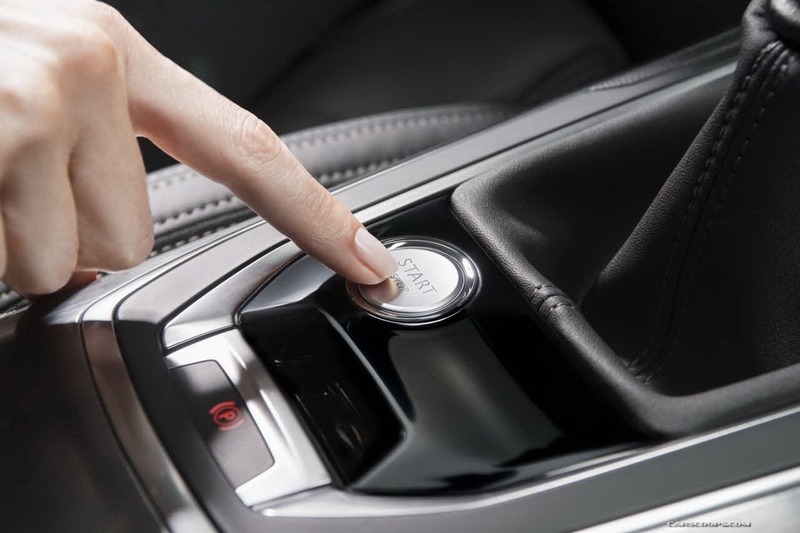 The choice of high quality interior materials and the satin chrome or gloss black detailing add to the feeling of sophistication and maturity in the car's design and assembly. 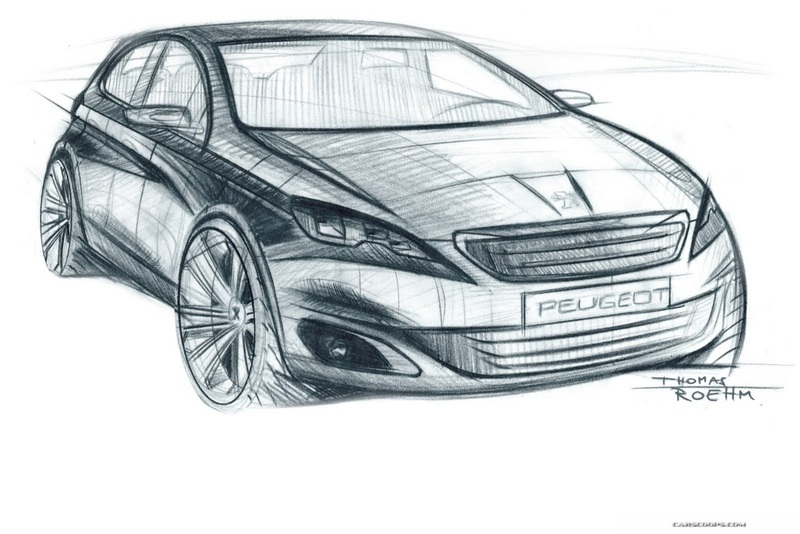 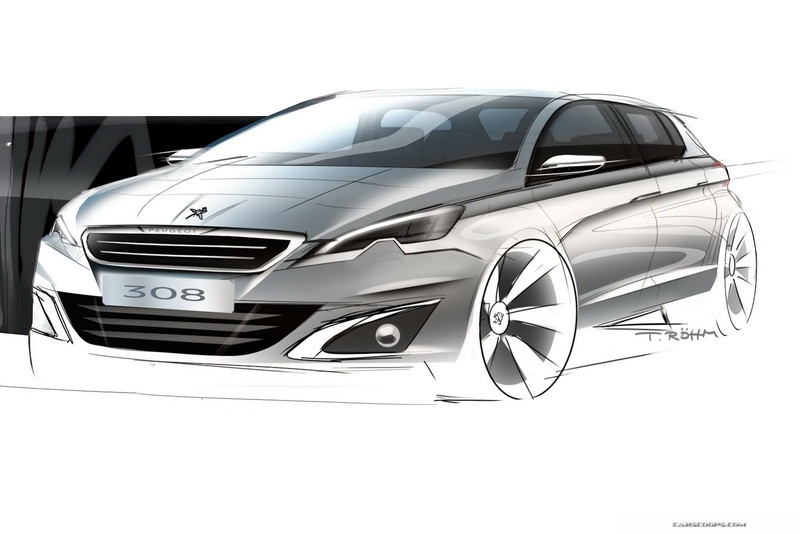 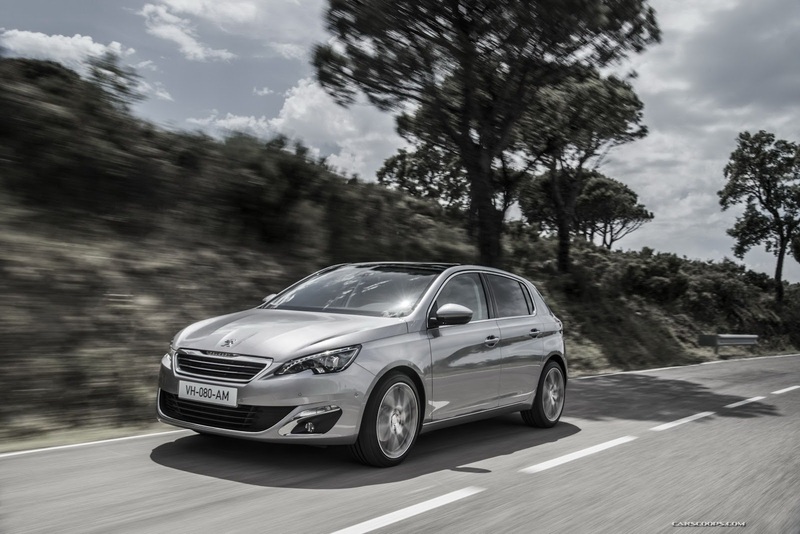 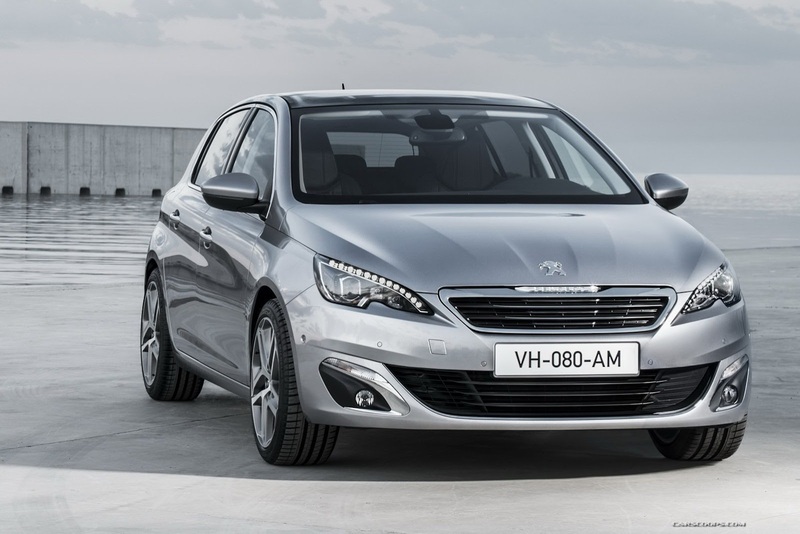 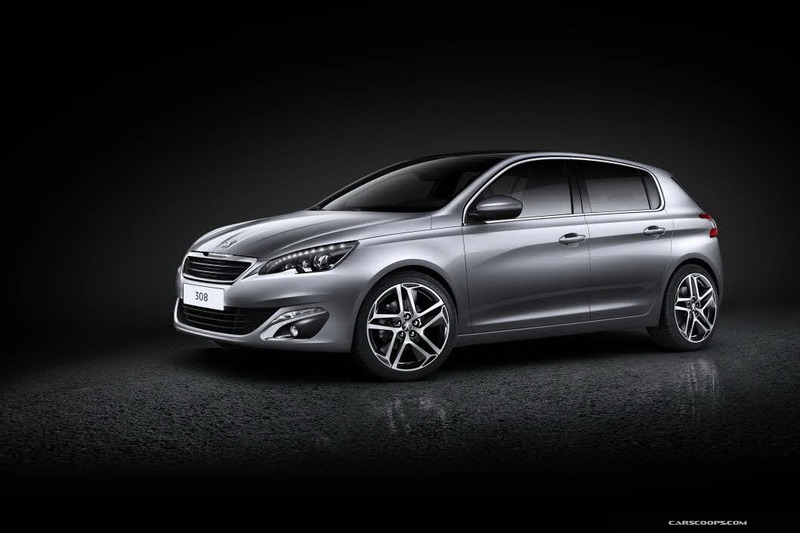 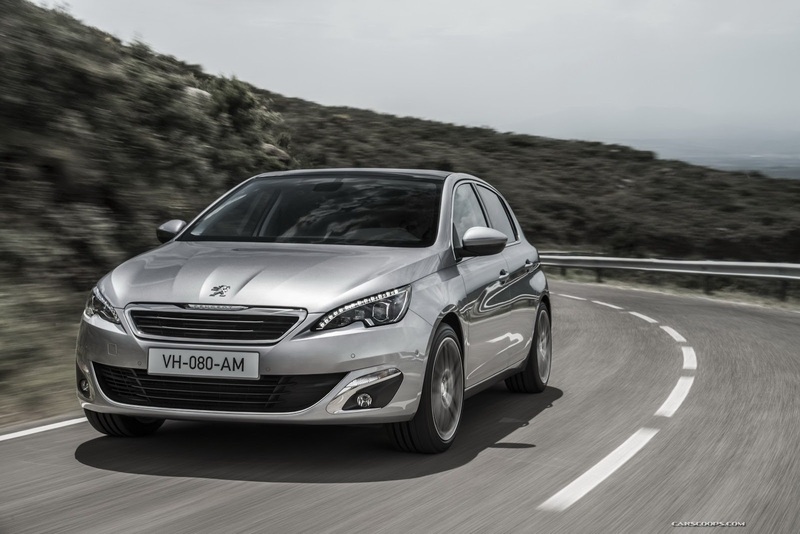 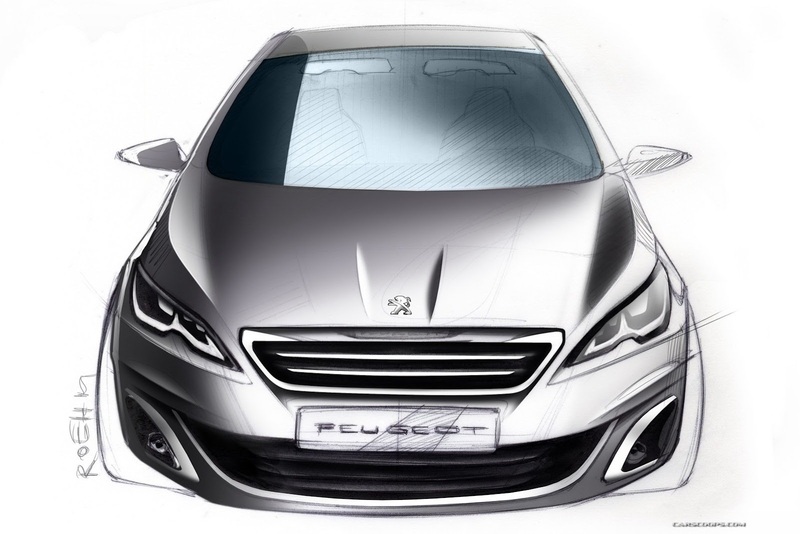 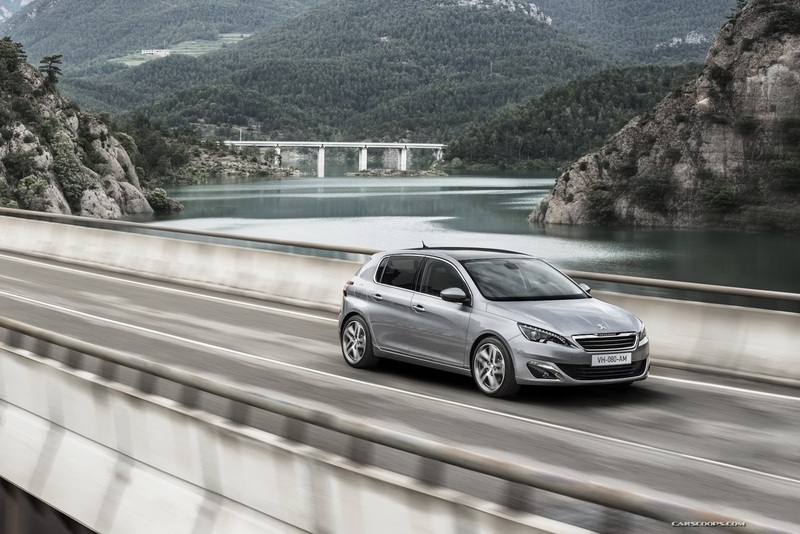 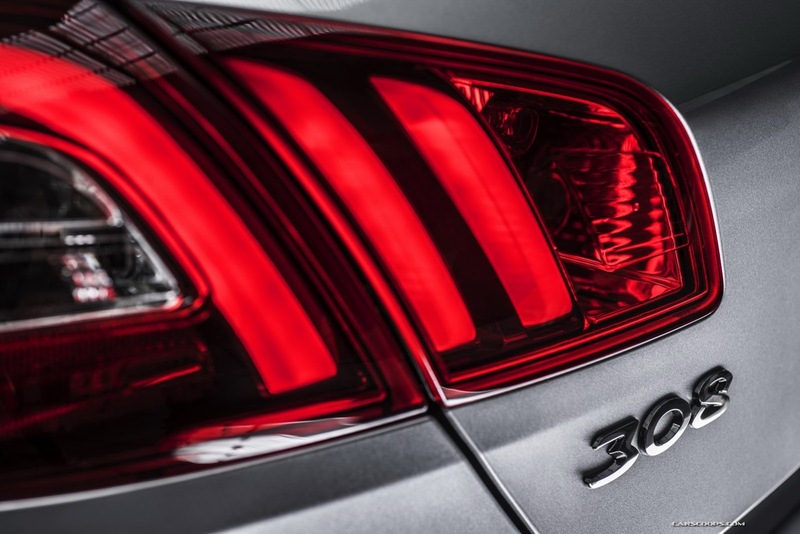 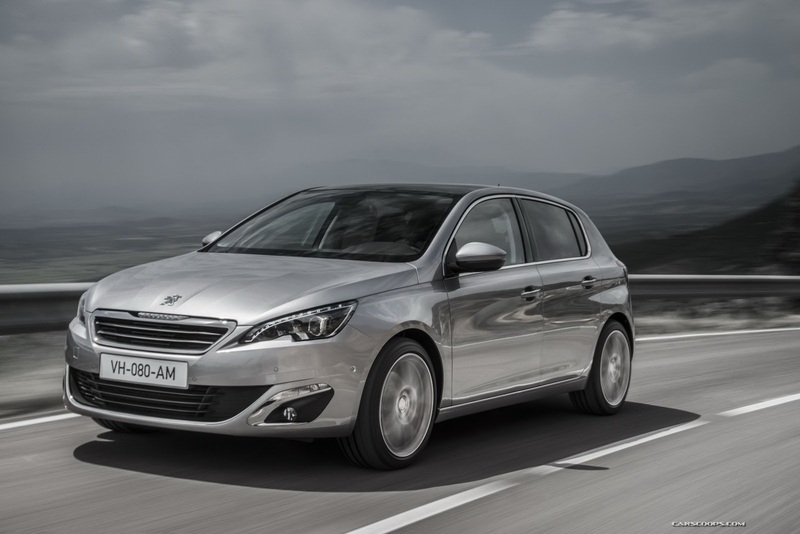 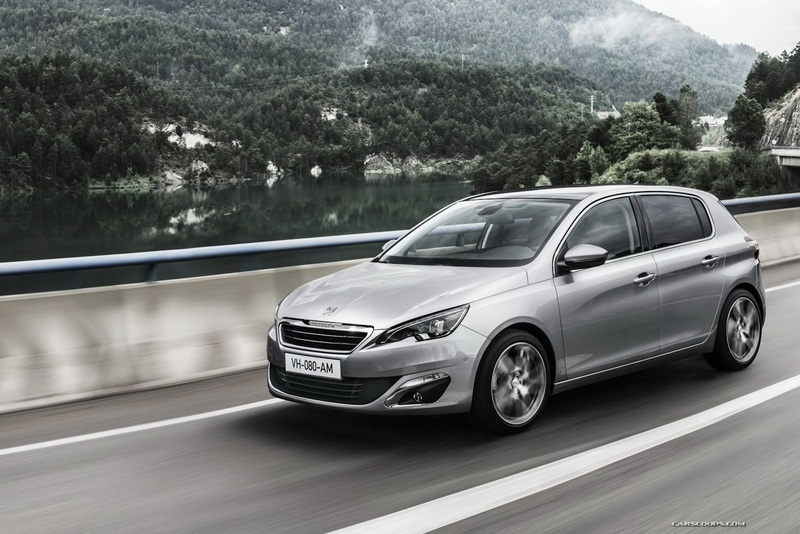 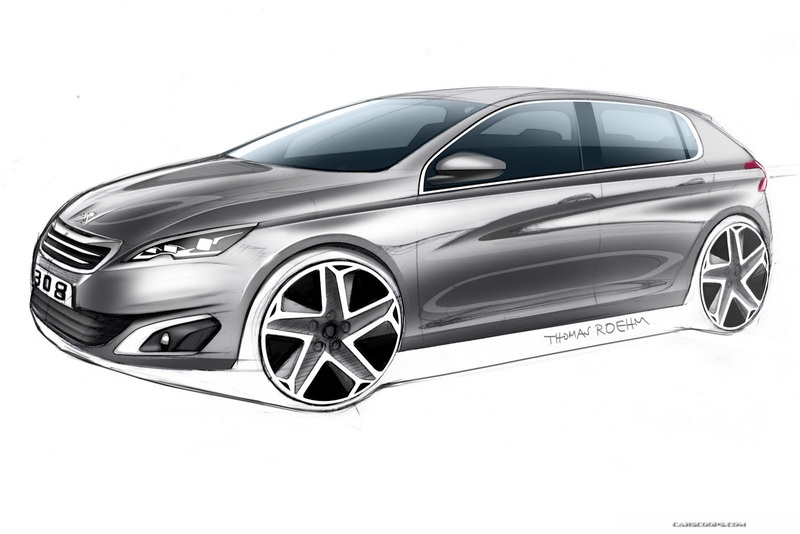 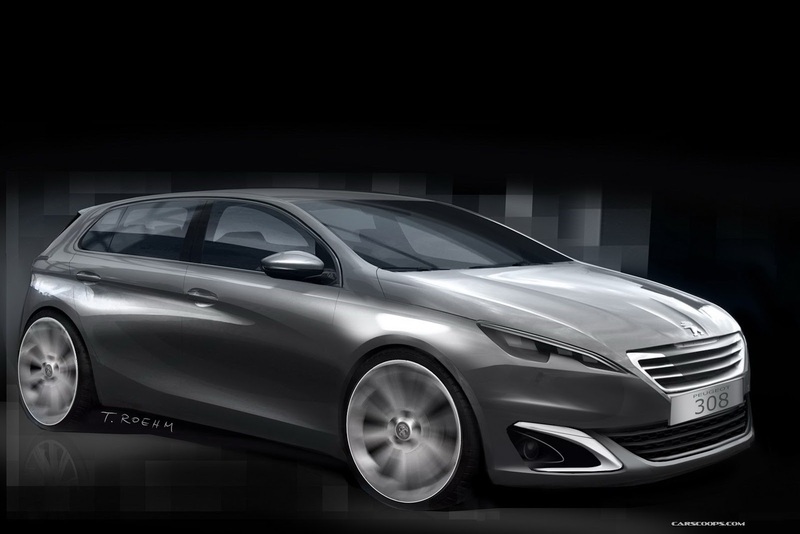 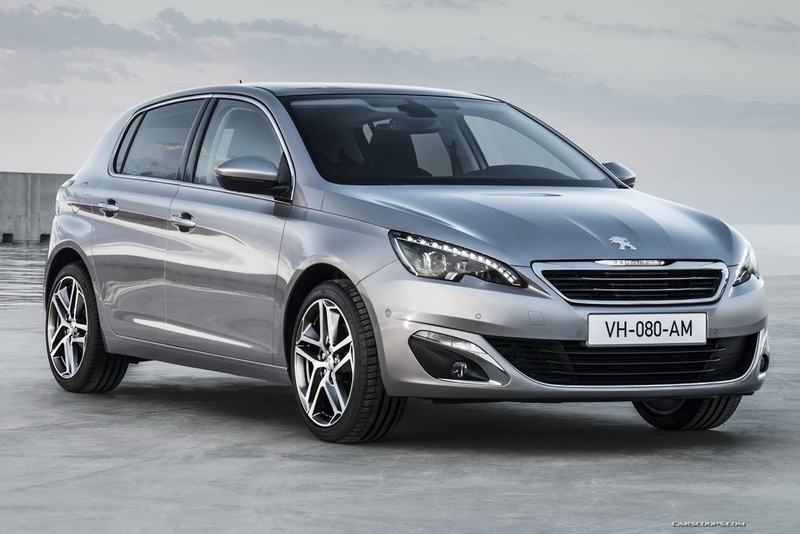 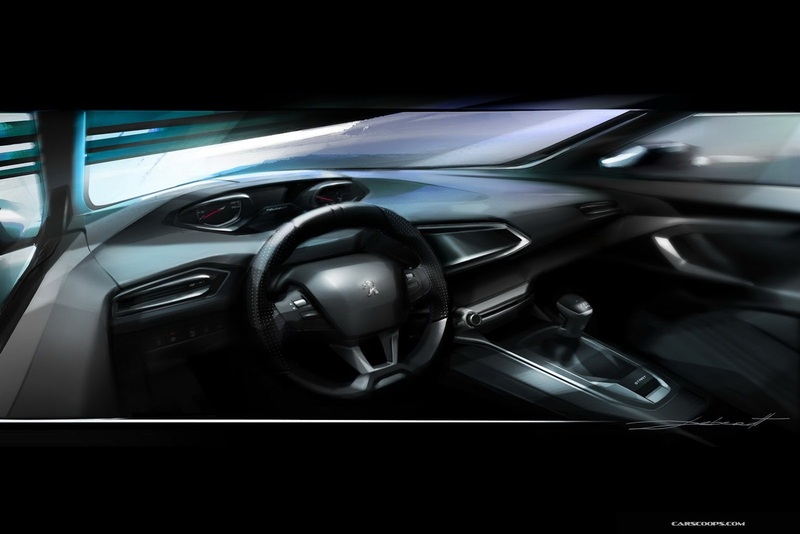 The New Peugeot 308 will be built at the Sochaux plant in France. 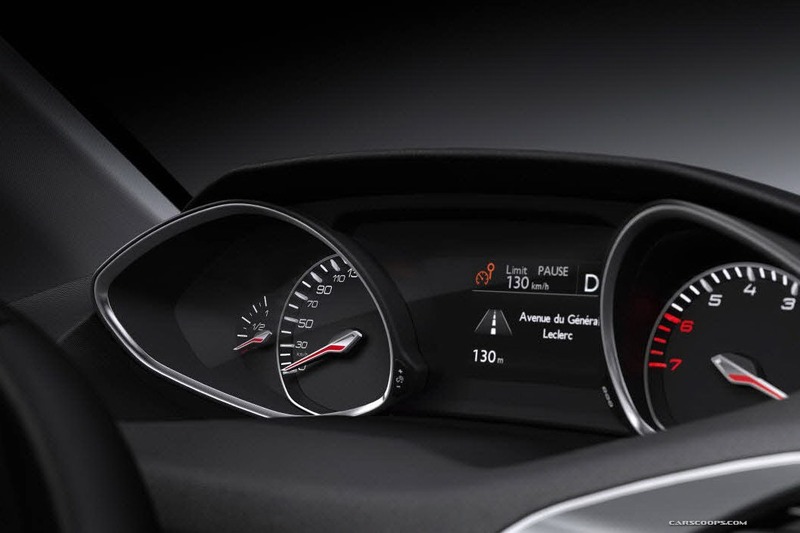 The Trémery and Douvrin sites will supply all of the power units. 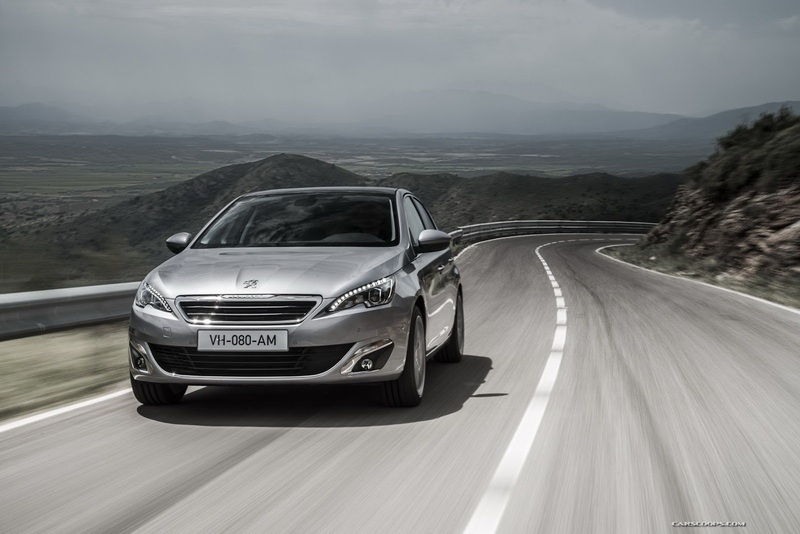 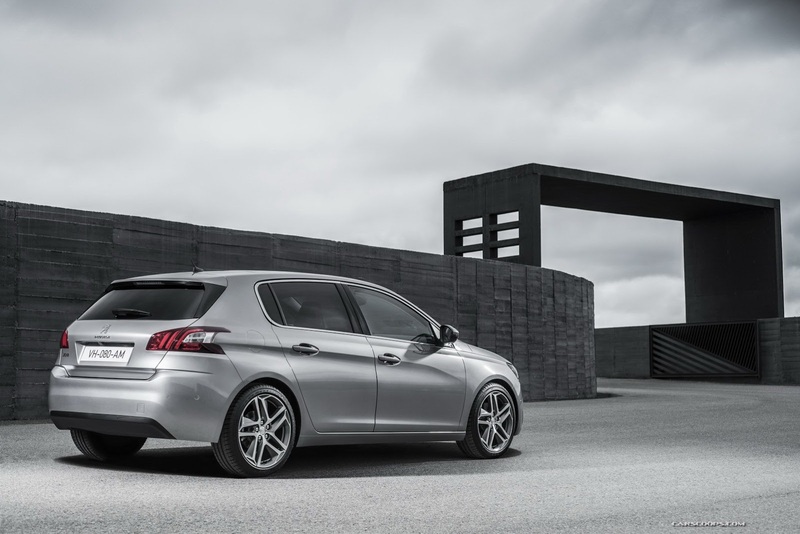 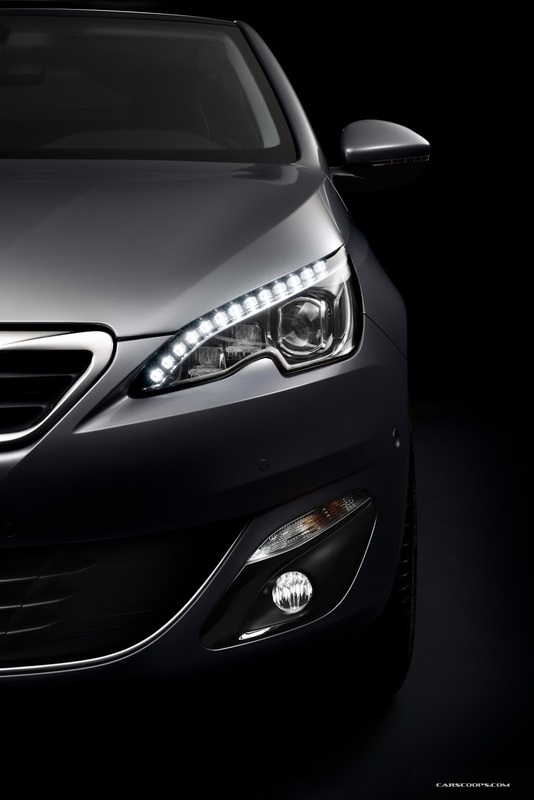 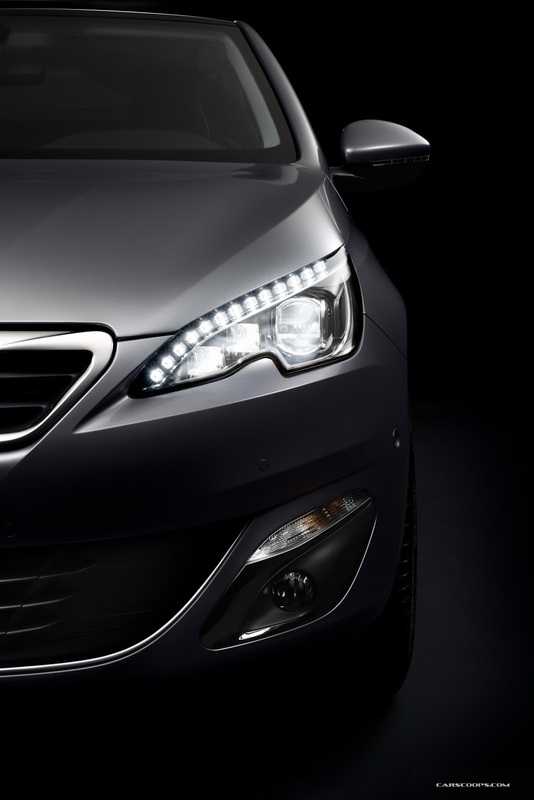 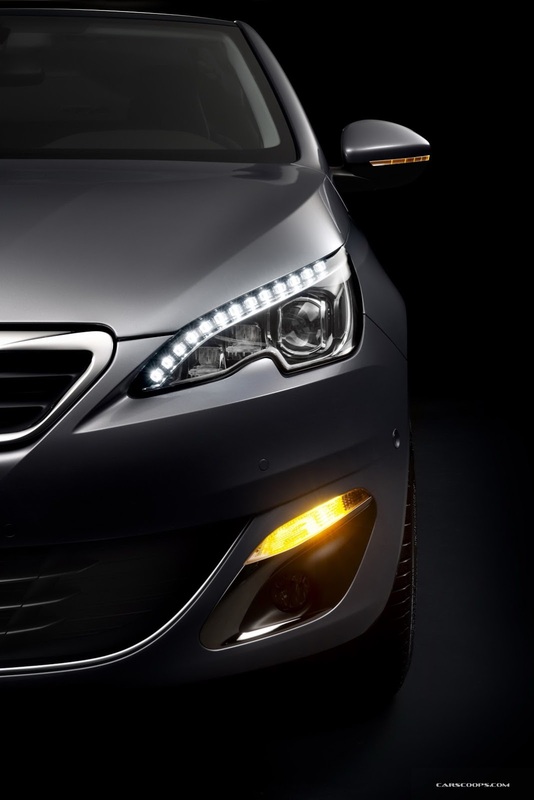 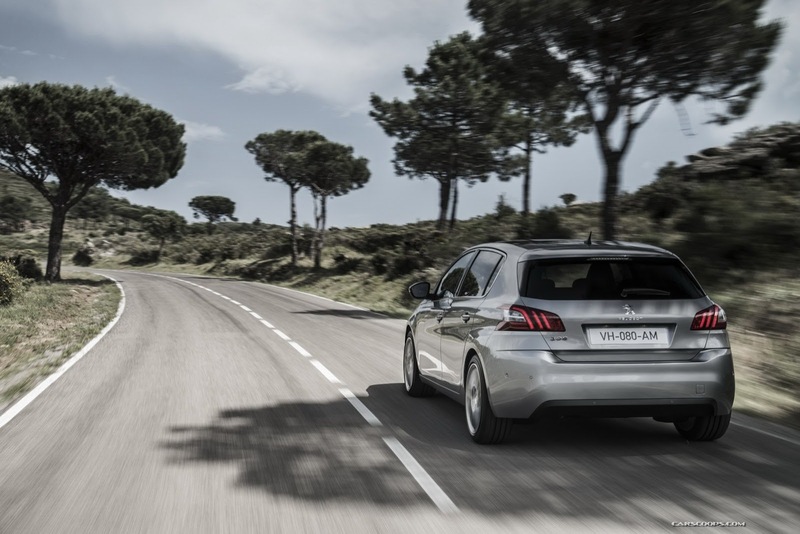 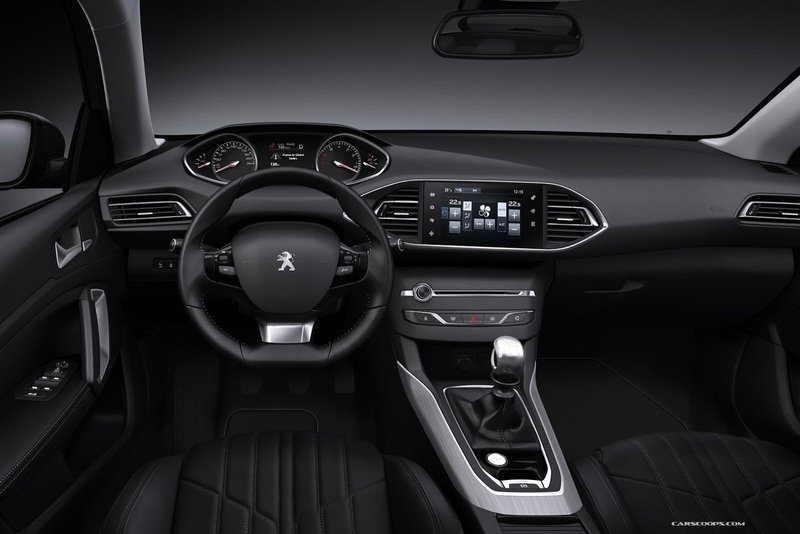 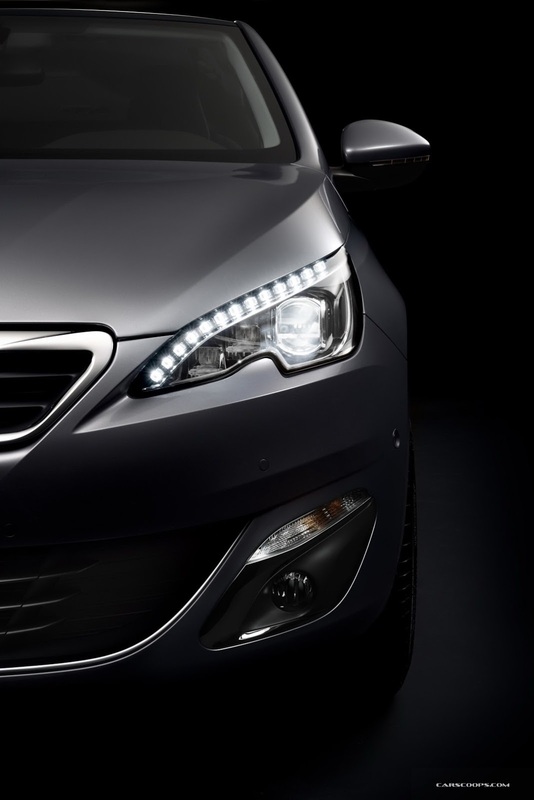 The New Peugeot 308 will make its world premiere at the 2013 Frankfurt Motor Show. 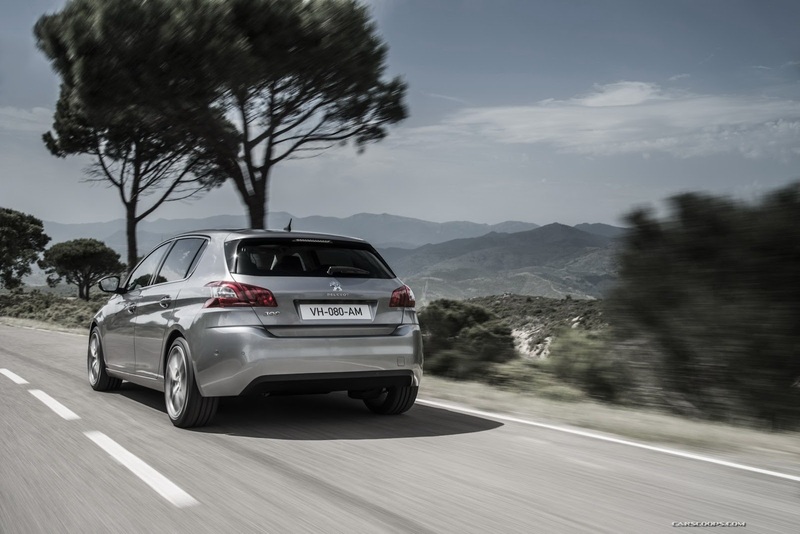 Sales will start shortly afterwards in mainland Europe and from January 2014 in the UK. 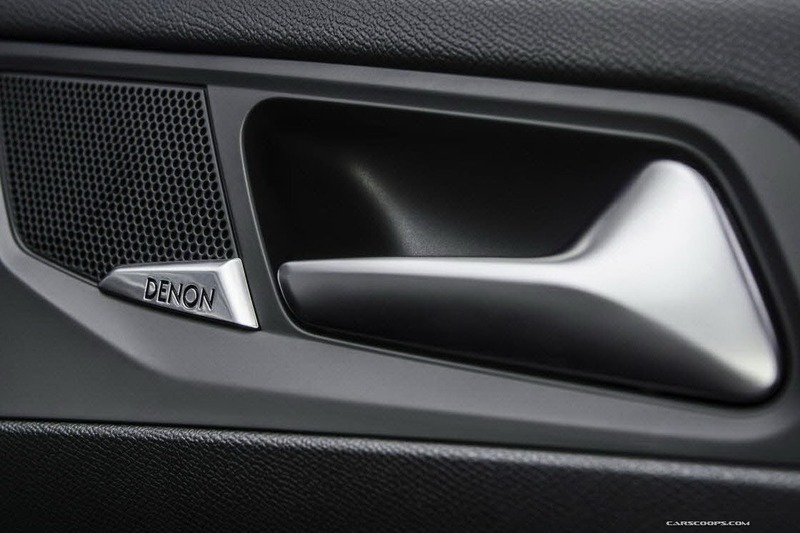 Non è male, soprattutto dentro. 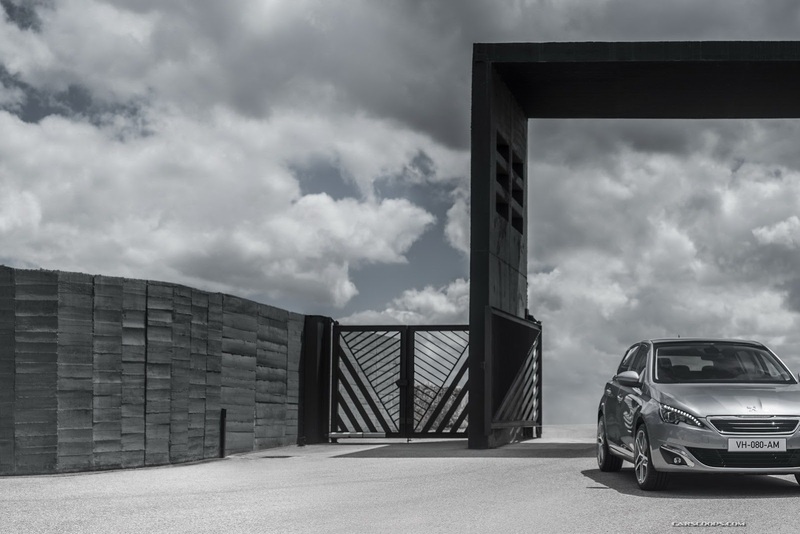 Devo capire bene qualche particolare esterno che non mi convince, come la parte bassa del paraurti anteriore - zona fendi compresa - e la zona posteriore, con il suo montante massiccio e il pararurti non da meno, di certo non aiutata dalla foto di 3/4 rilasciata. 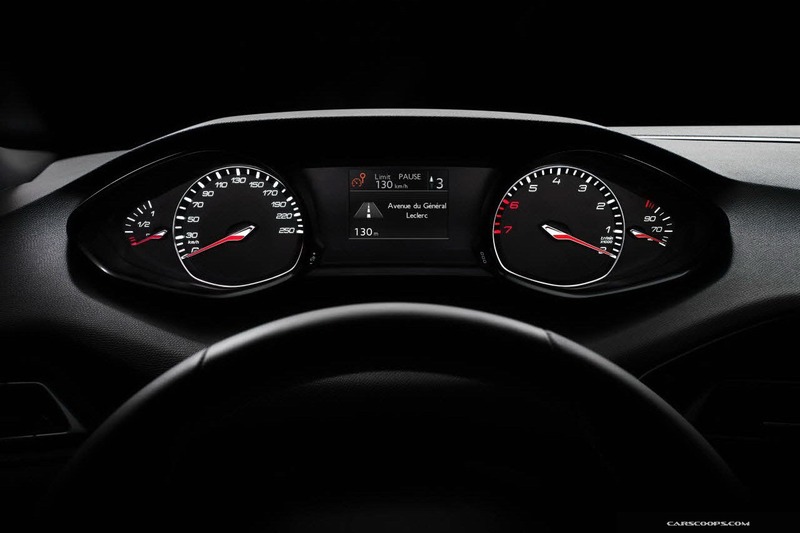 Dentro, come detto, mi piace: non sono stato mai un critico della strumentazione sopra il volante introdotta da 208 e qui riproposta, in più troviamo una zona media piacevole e delle bocchette non troppo pataccose. 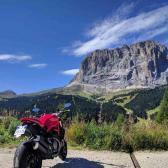 Sembra ben fatta. 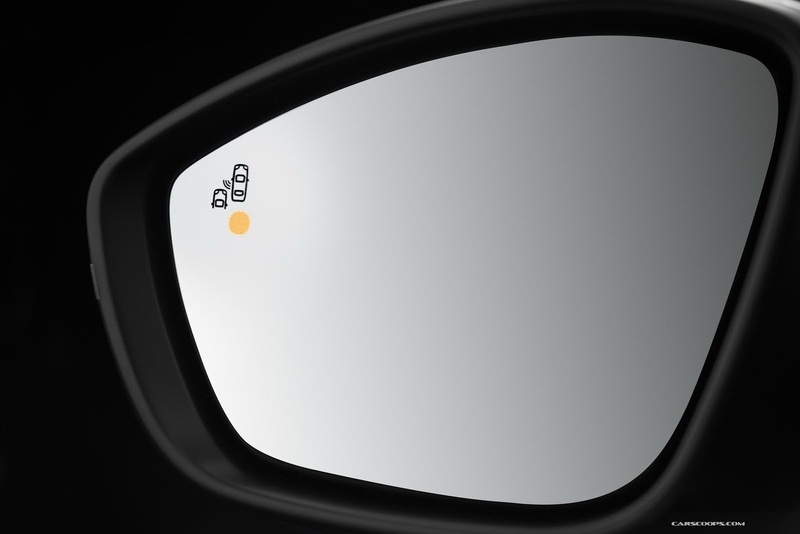 Realizzazione davvero piacevole, un ritorno ai (bei) tempi di 307, quando ancora le bocche erano proporzionate. 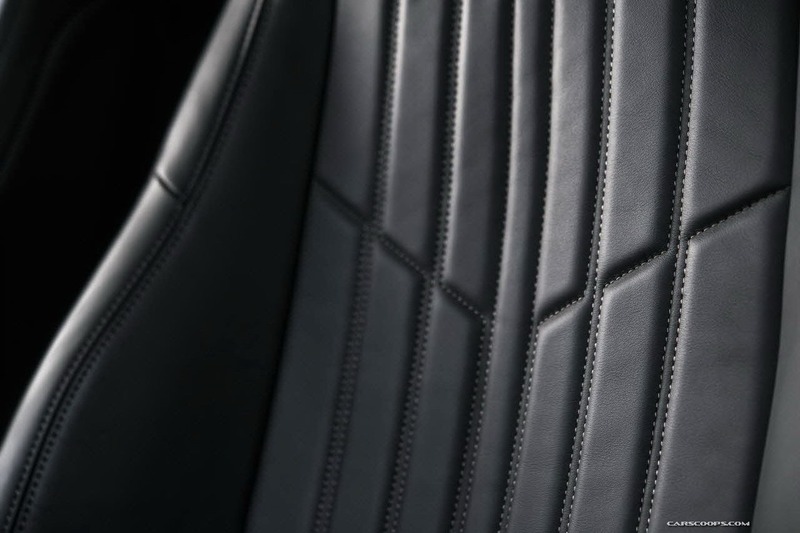 Molto interessanti gli interni minimalisti con pochissimi comandi fisici. 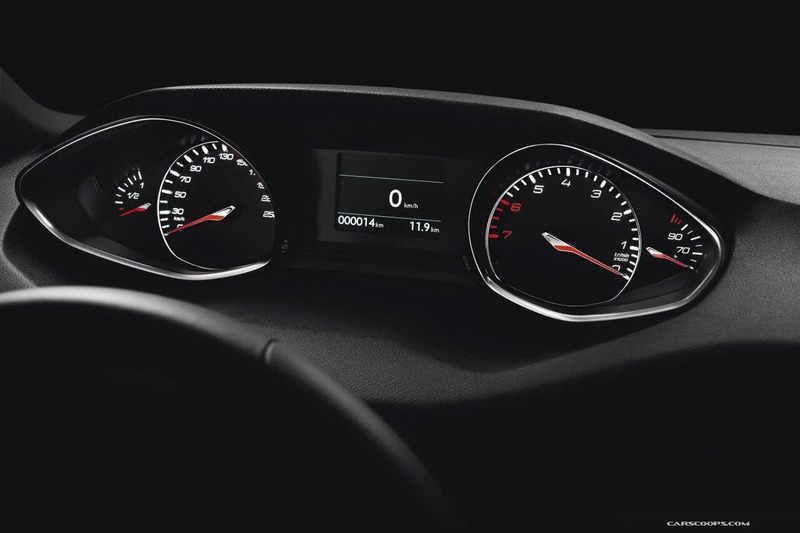 Mi piace sia dentro che fuori. 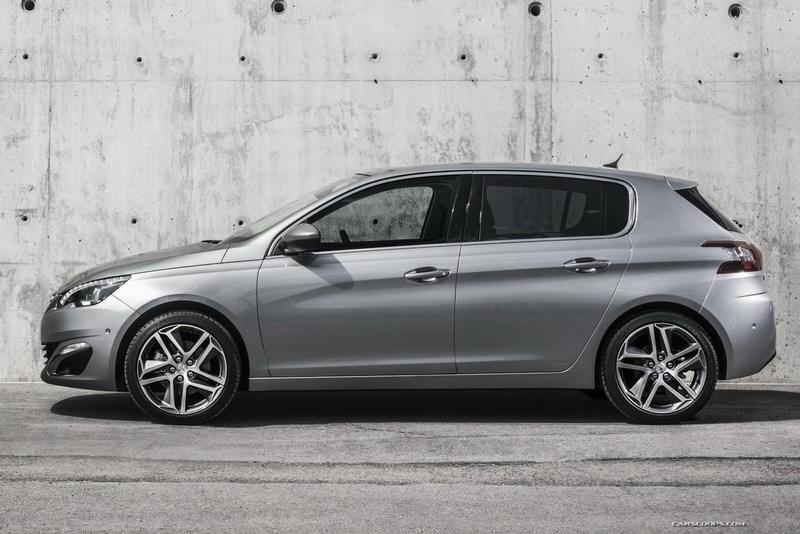 Molto proporzionata e belle linee! 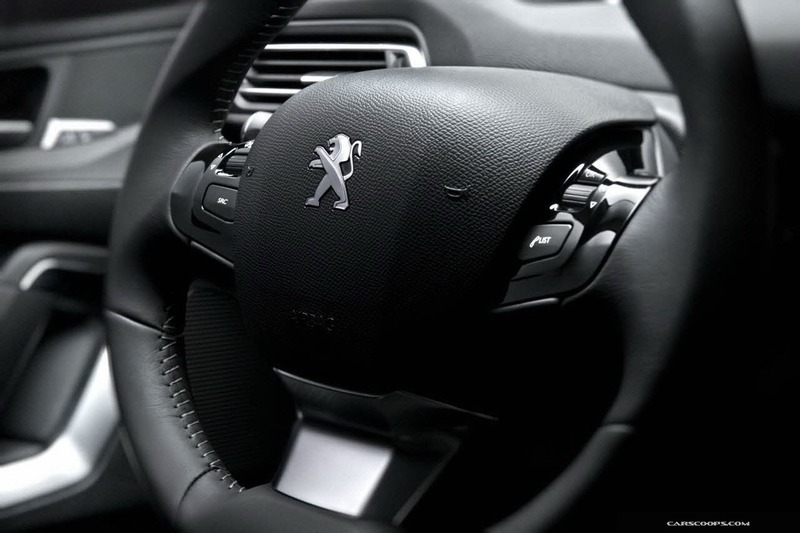 Mi piace. 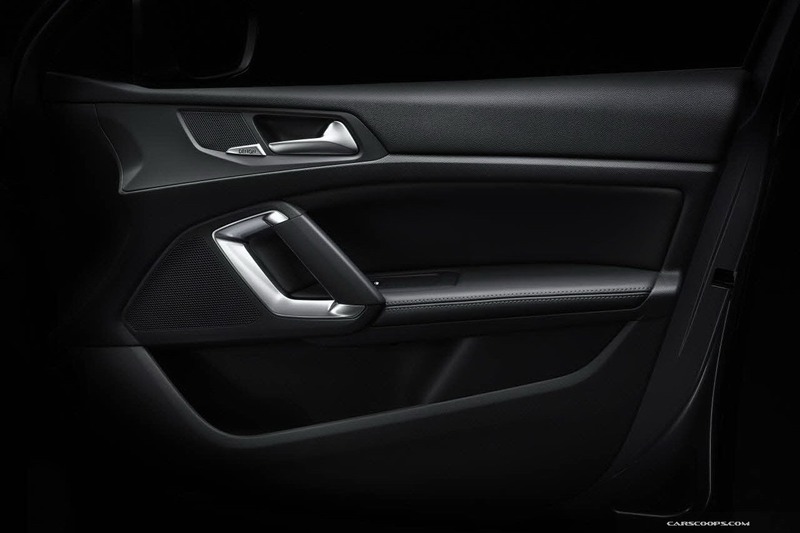 Certo che in vista laterale ricorda moltissimo la precedente versione di Audi A3 Sportback! 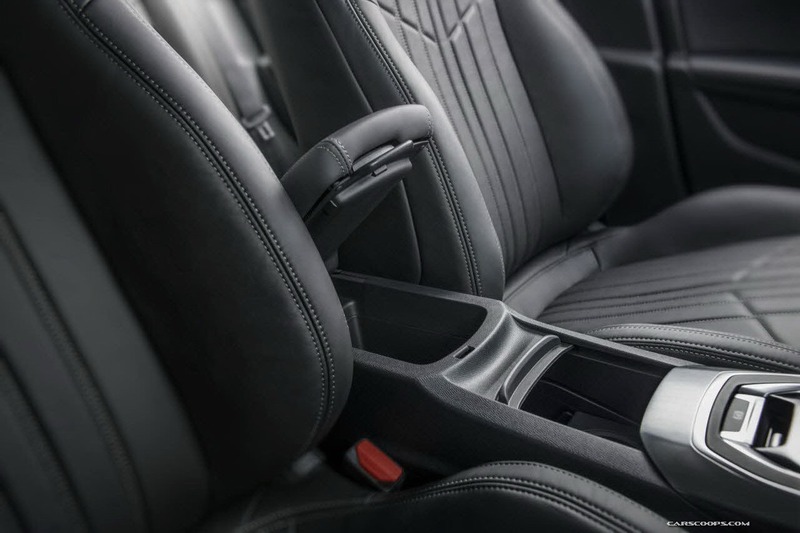 Condivido il parere già espresso sugli interni: molto piacevoli e razionali! 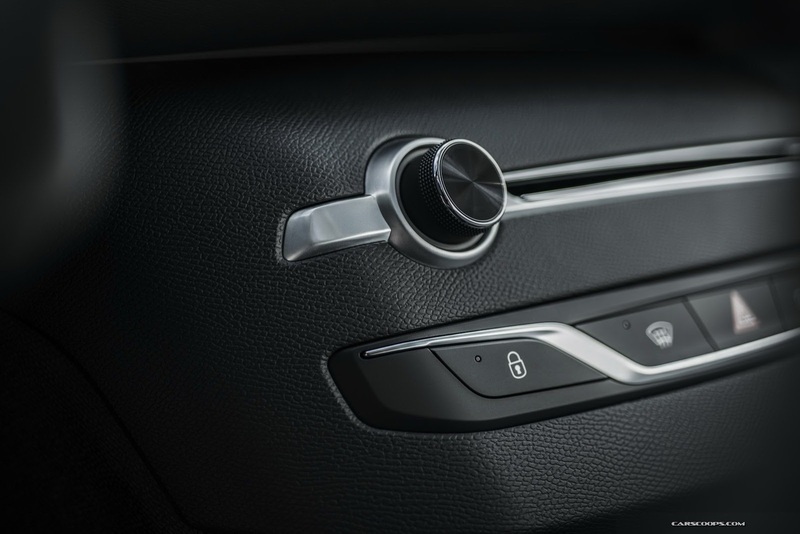 Design degli esterni fortemente ispirato dalle realizzazioni del Gruppo VW, direi alla fine persino più piacevole di Golf, anche se meno lineare (non gradisco molto il gruppo ottico posteriore "indentato"). 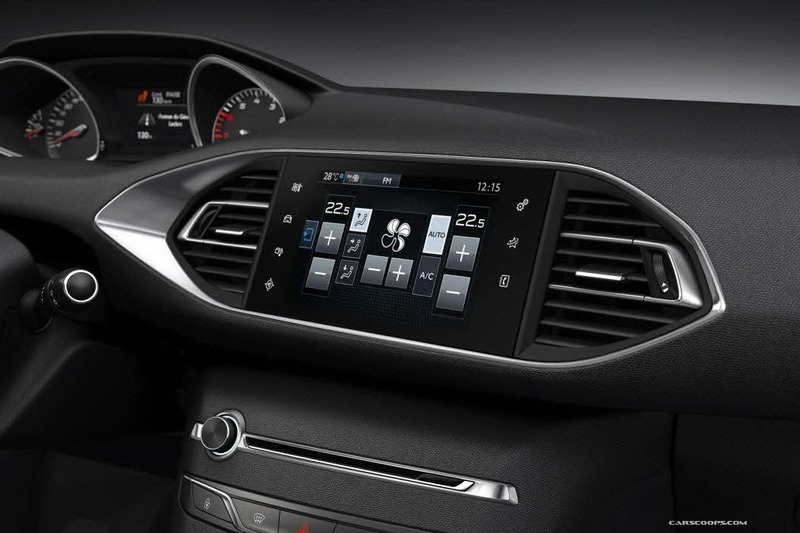 Quanto agli interni....belli da vedere, ma vi immaginate se il touchscreen inizia a dare i numeri? 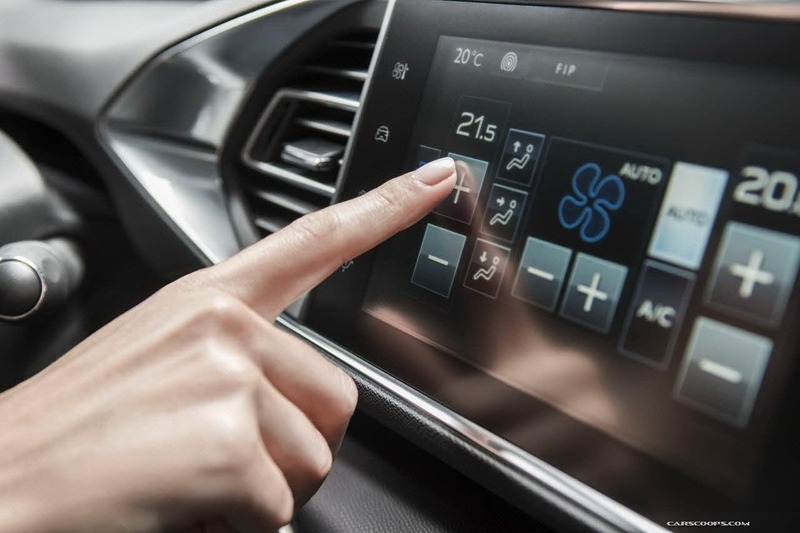 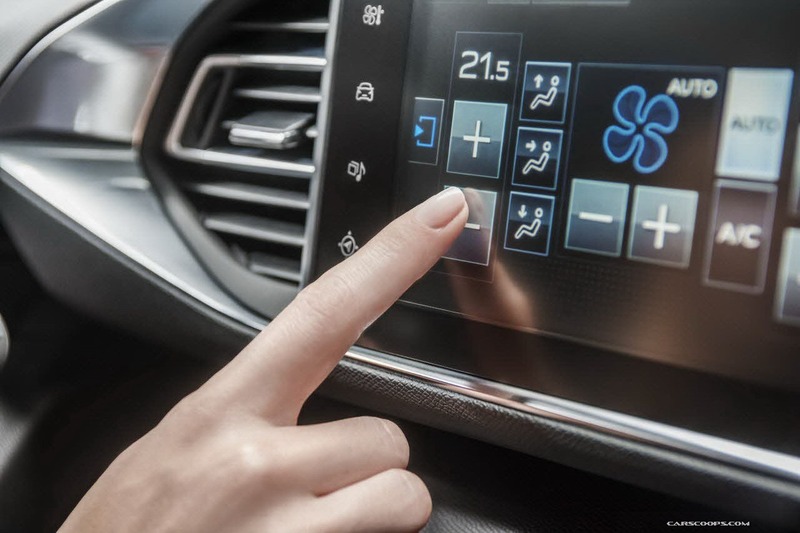 Tutti i comandi fuori d'uso....poi si sta sempre a guardare e smanettare (con ovvio impatto negativo sulla sicurezza) per cambiare la visualizzazione da clima a navi a radio e fare i relativi settaggi.....la ragione per cui tutti hanno sempre mantenuto i comandi del clima separati, anche se le regolazioni sono tutte presenti sul display. 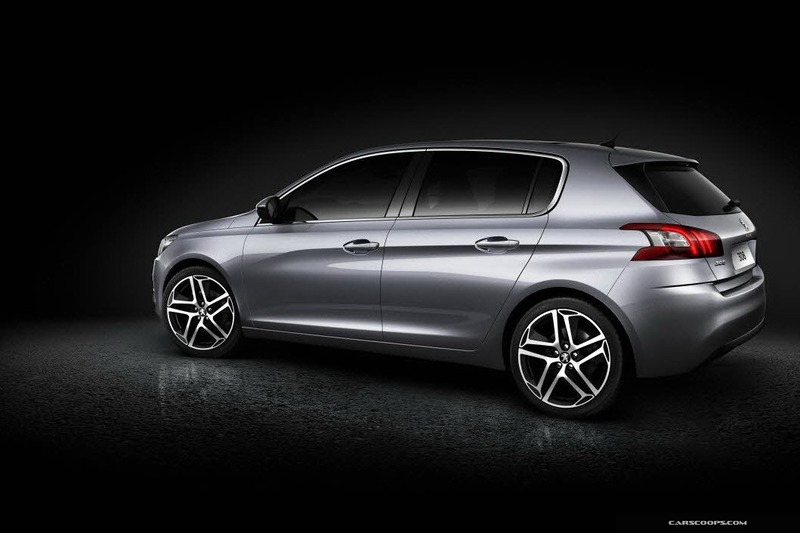 É già uscita la Golf VIII???? 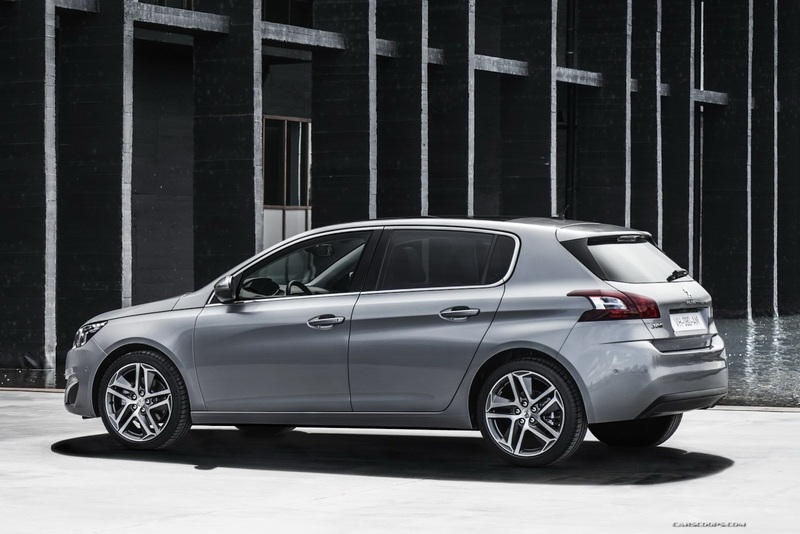 ame più che un a new 308 sembra un restyling di c4 comunque bella.